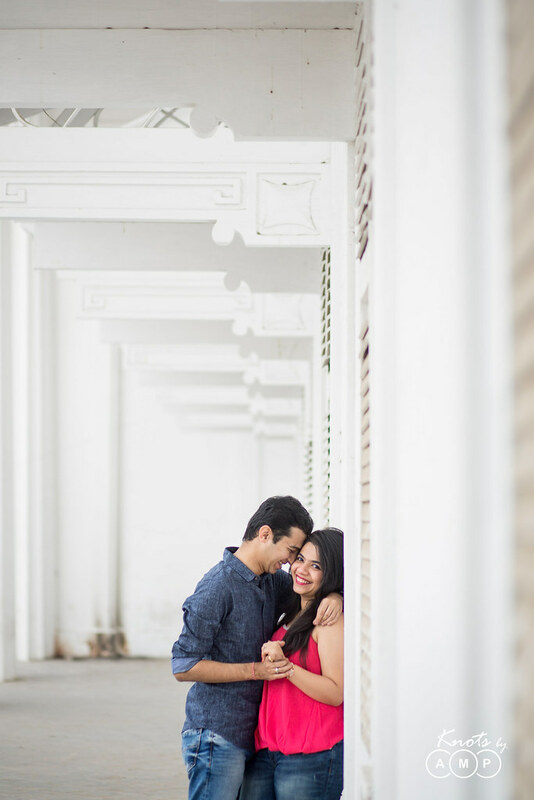 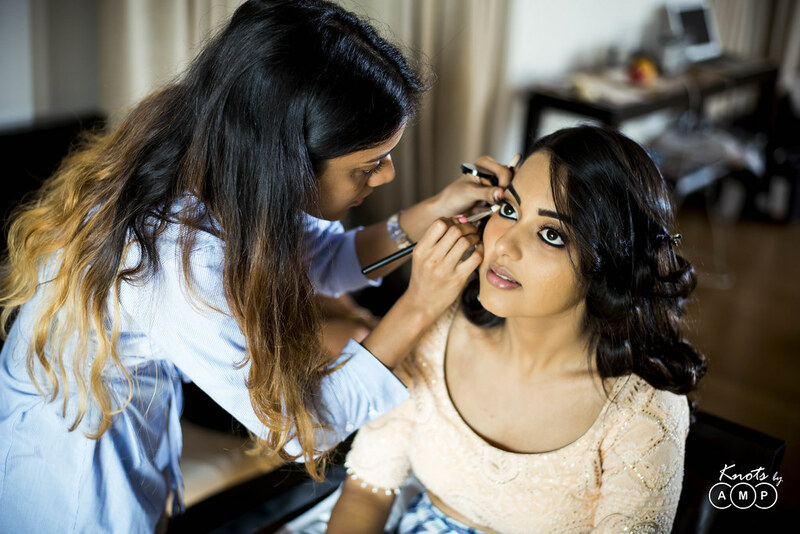 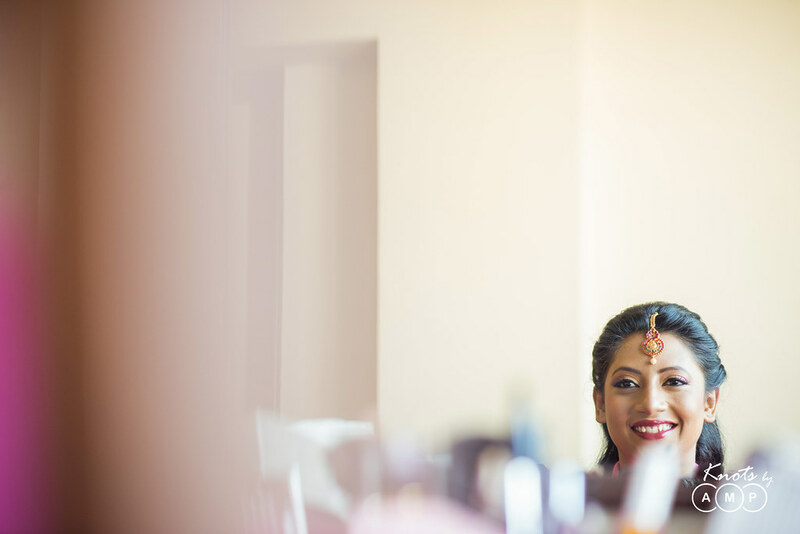 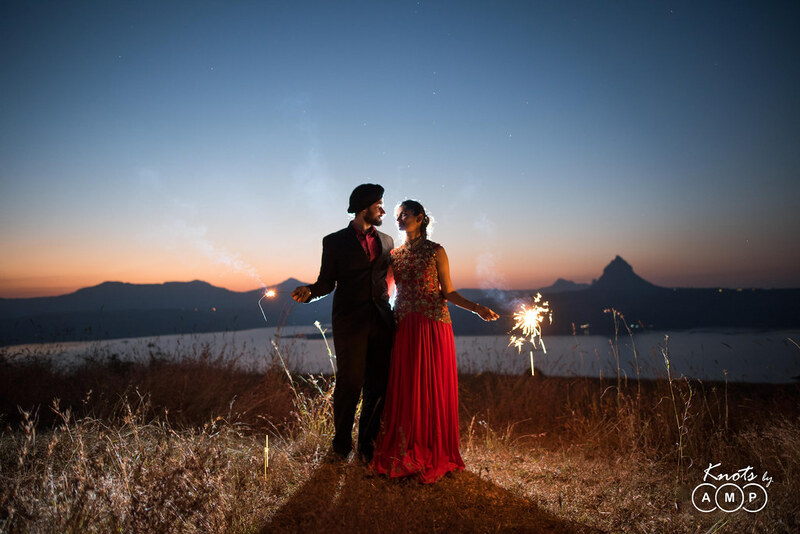 If you loved the beautiful church wedding in the previous blog story of Megh & Jive, you have something more to see! 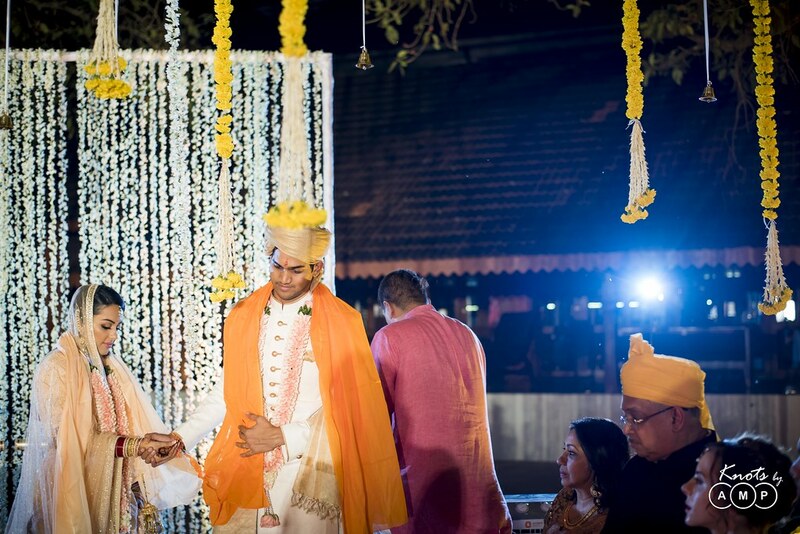 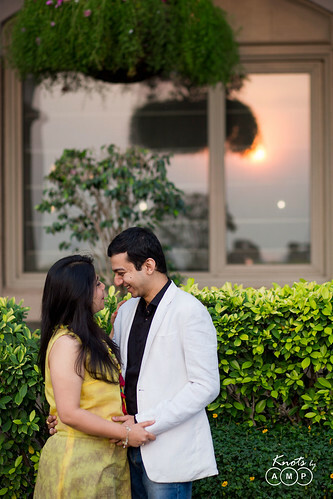 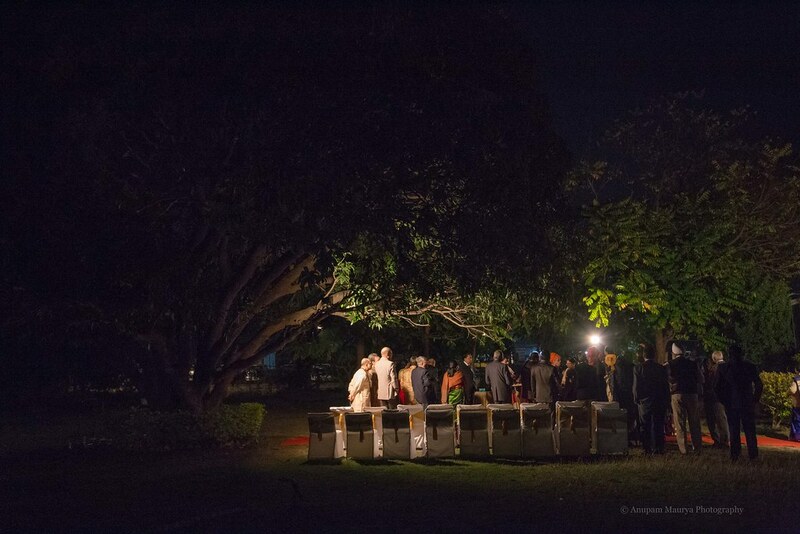 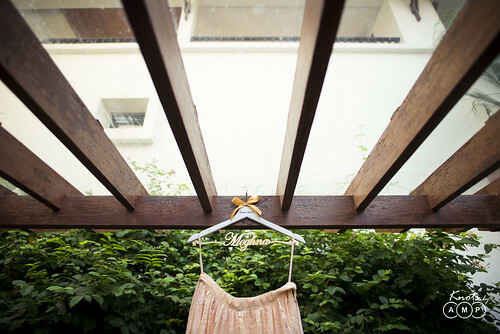 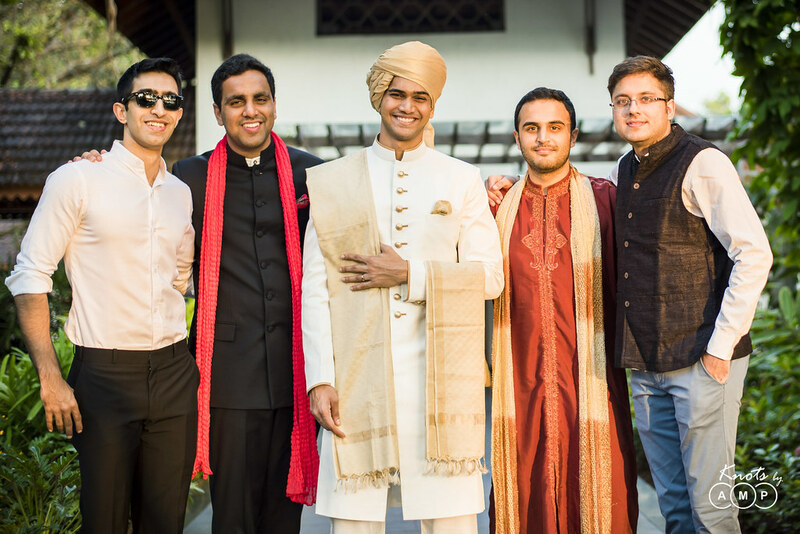 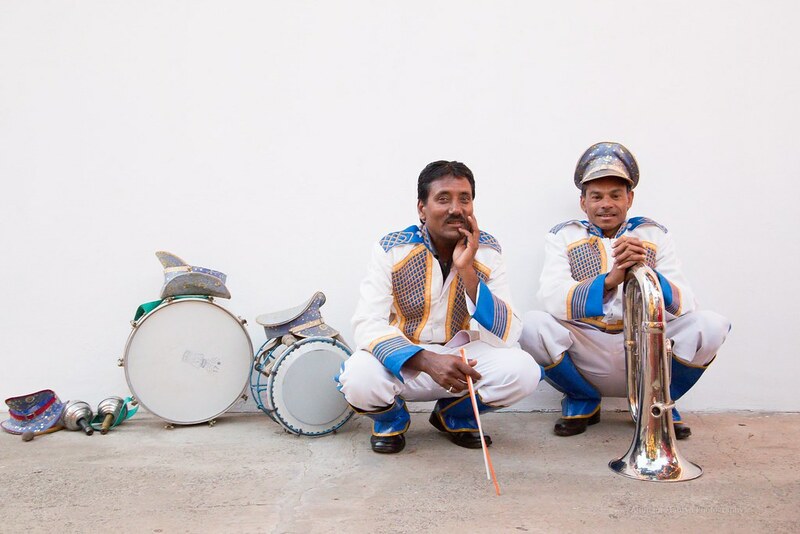 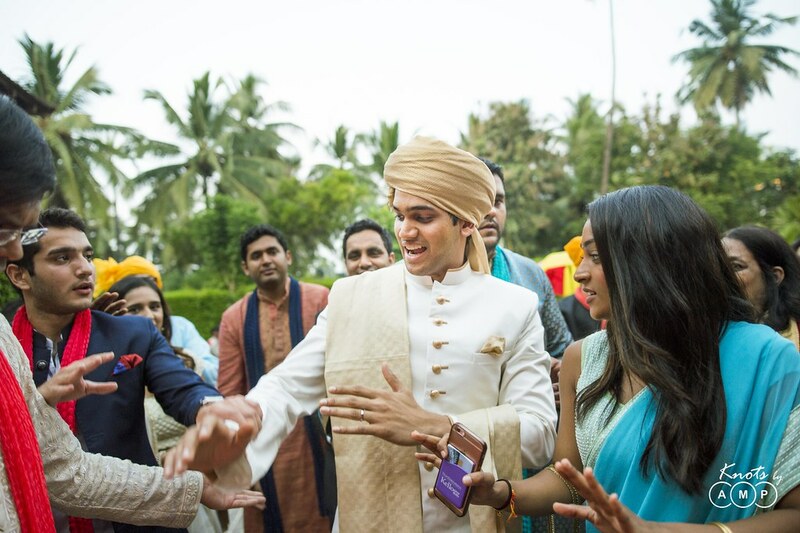 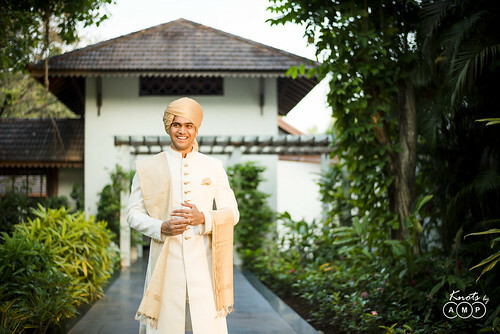 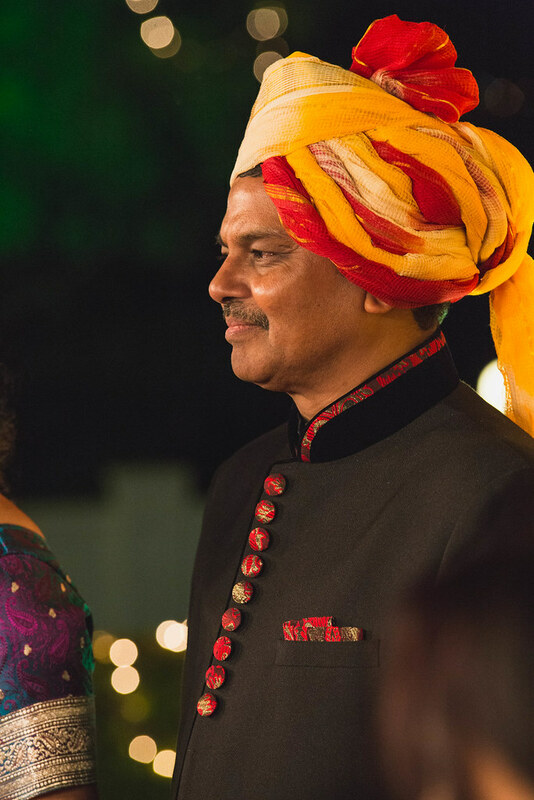 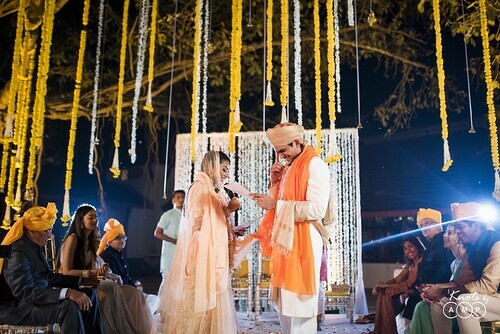 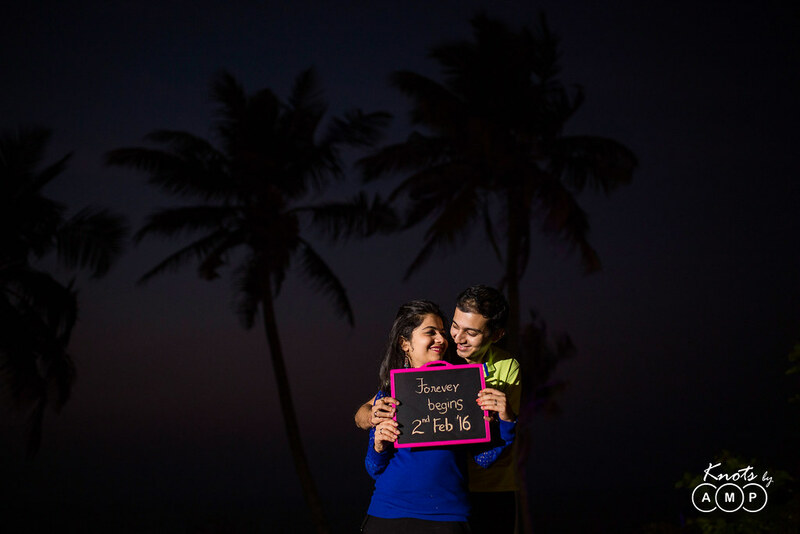 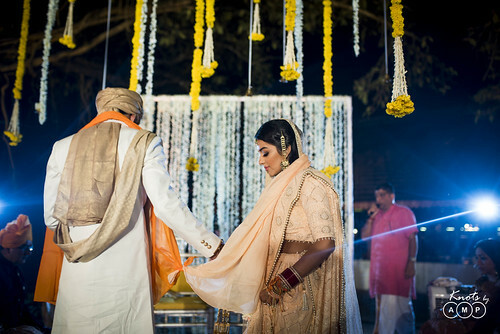 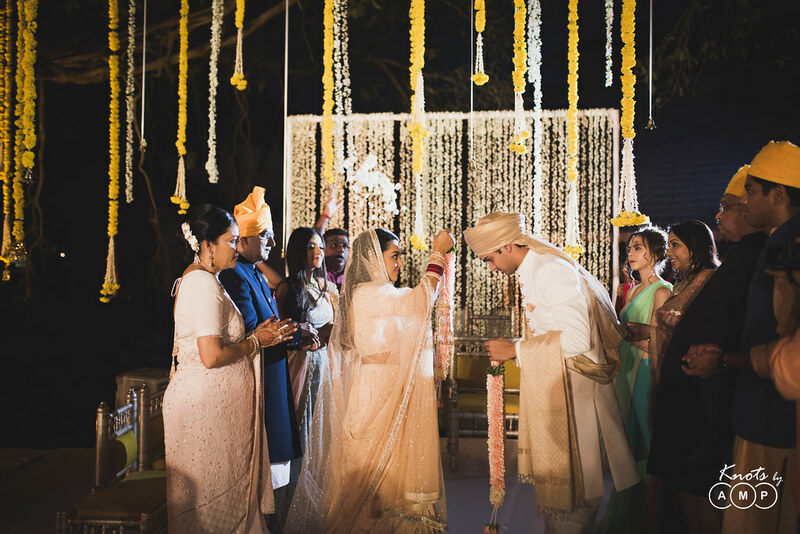 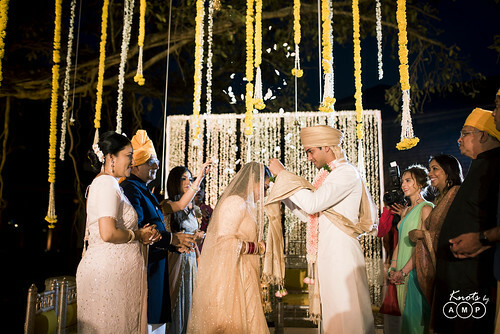 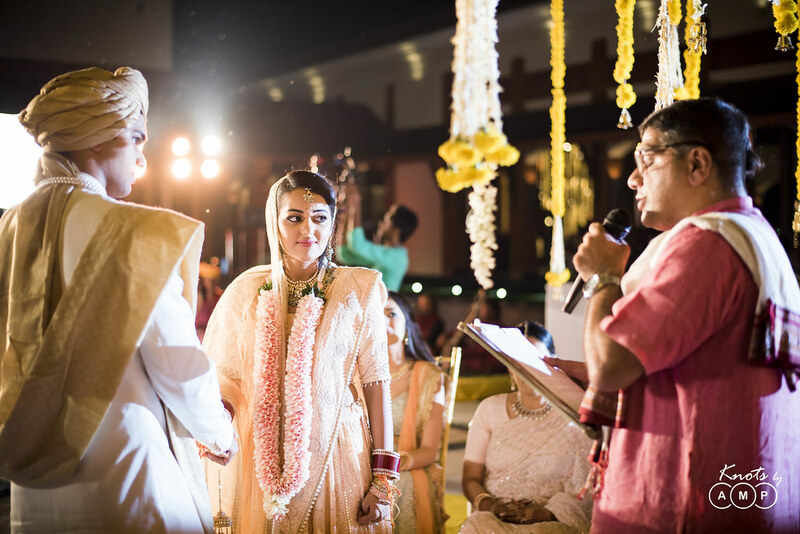 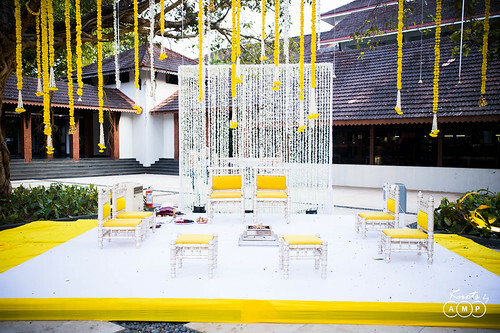 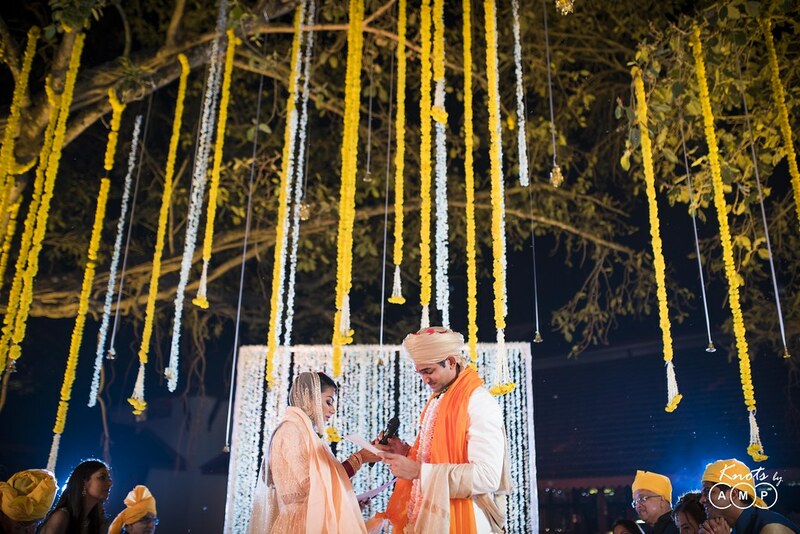 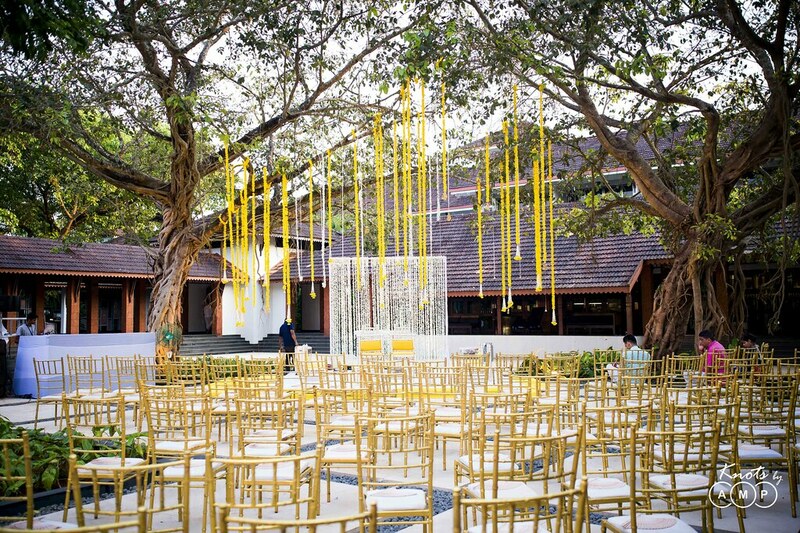 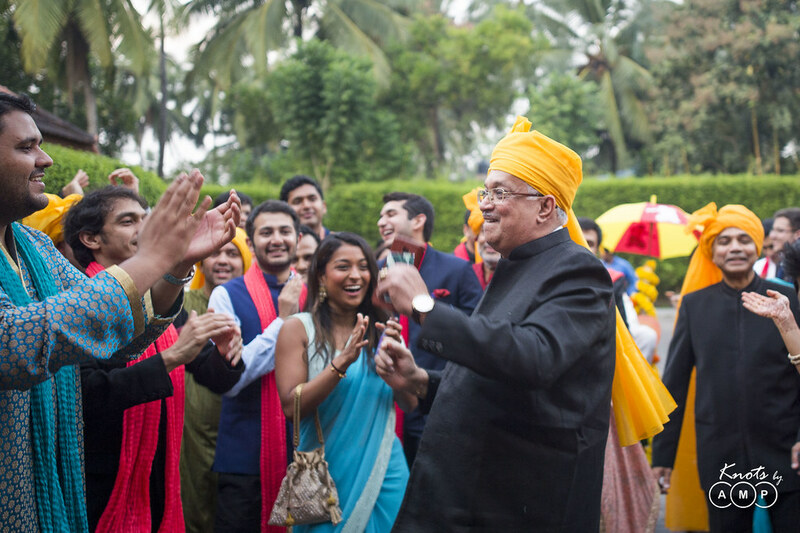 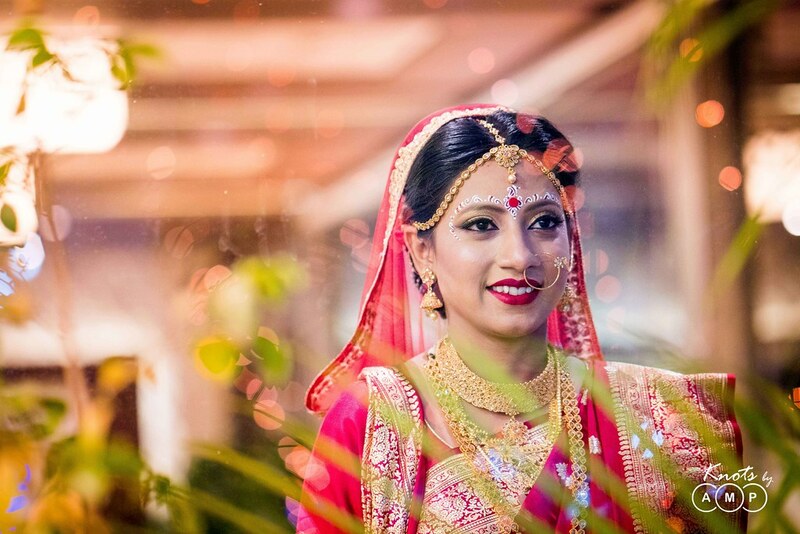 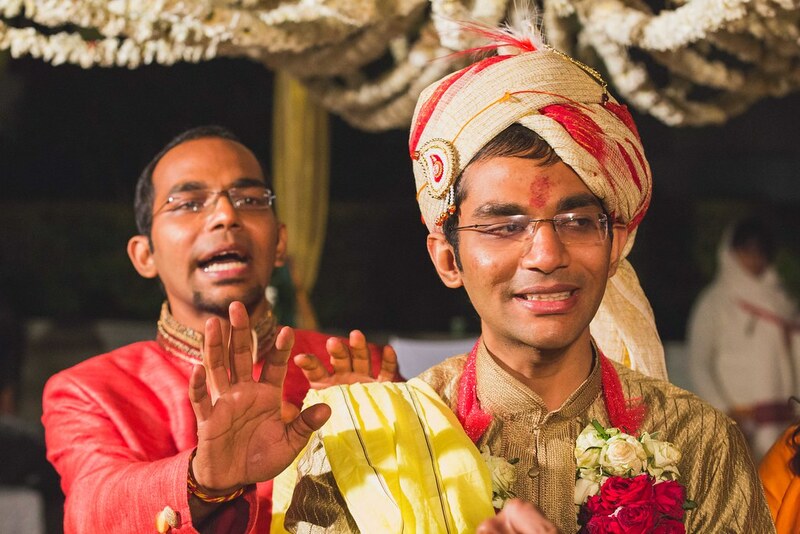 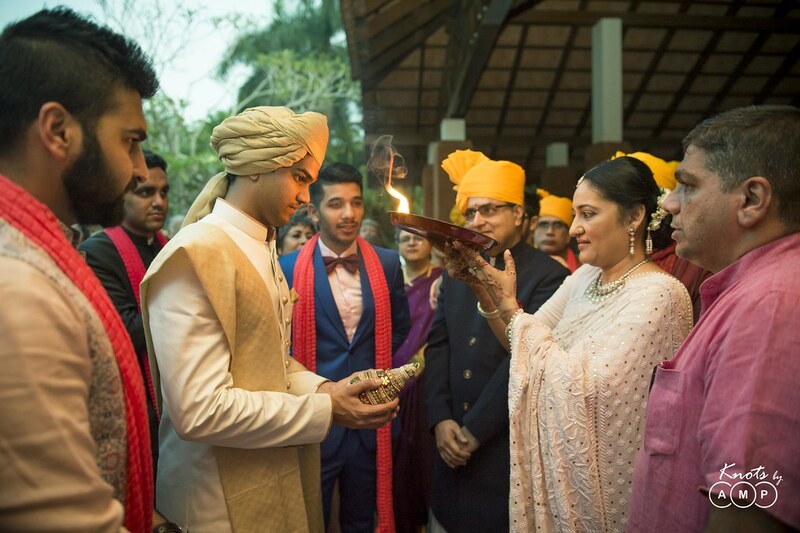 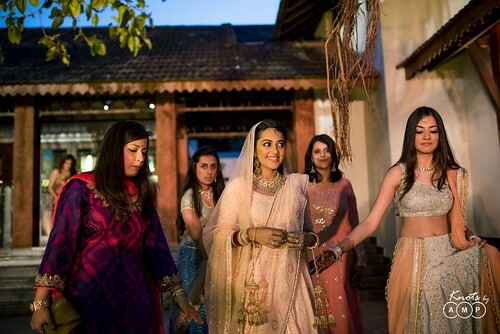 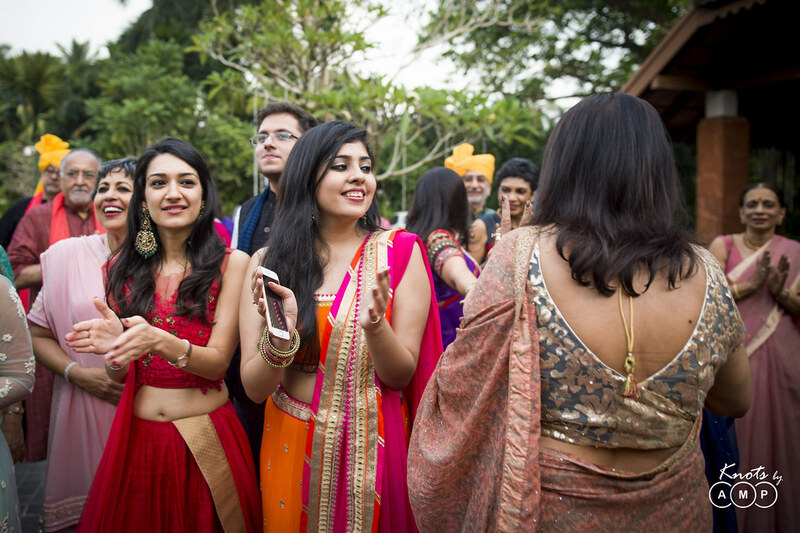 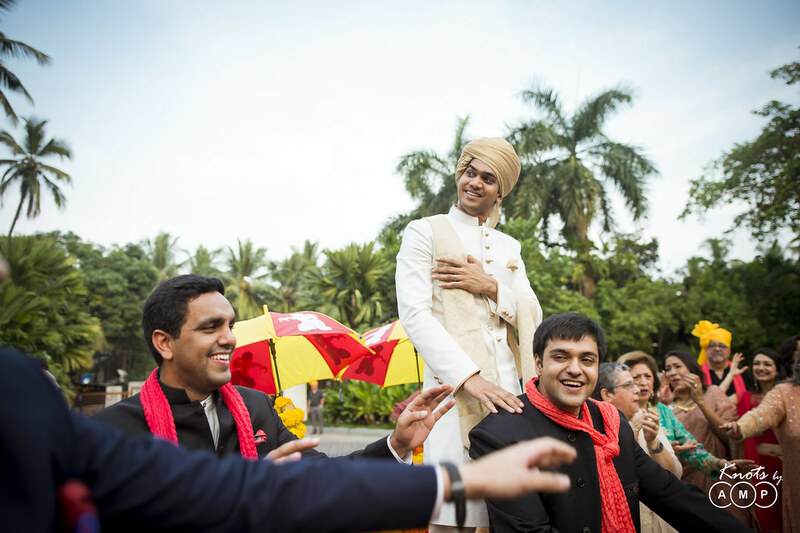 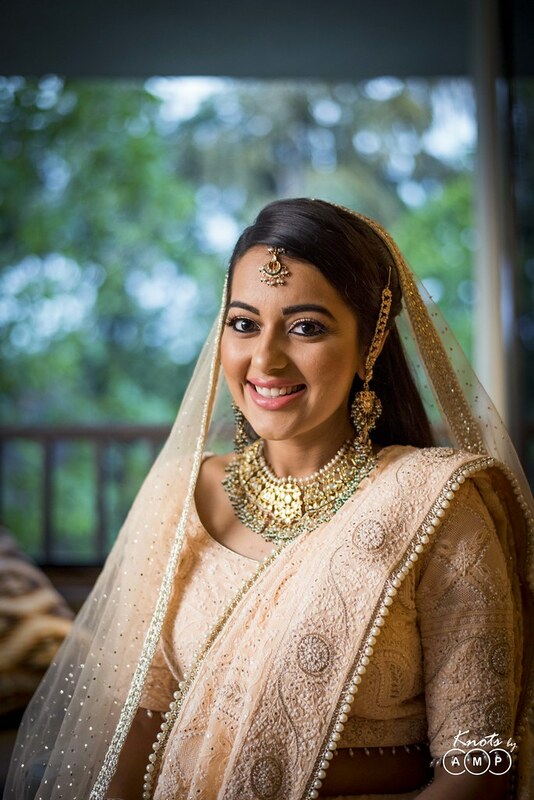 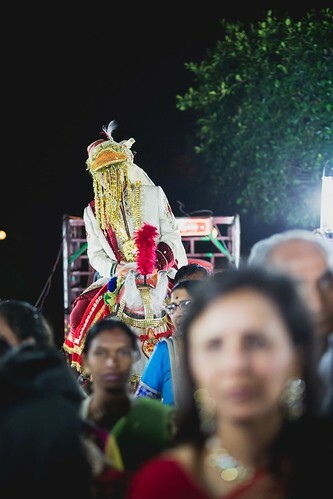 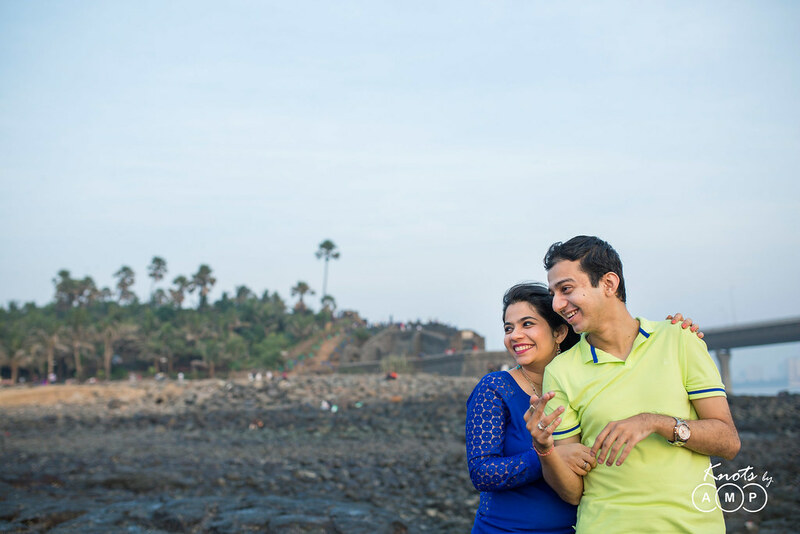 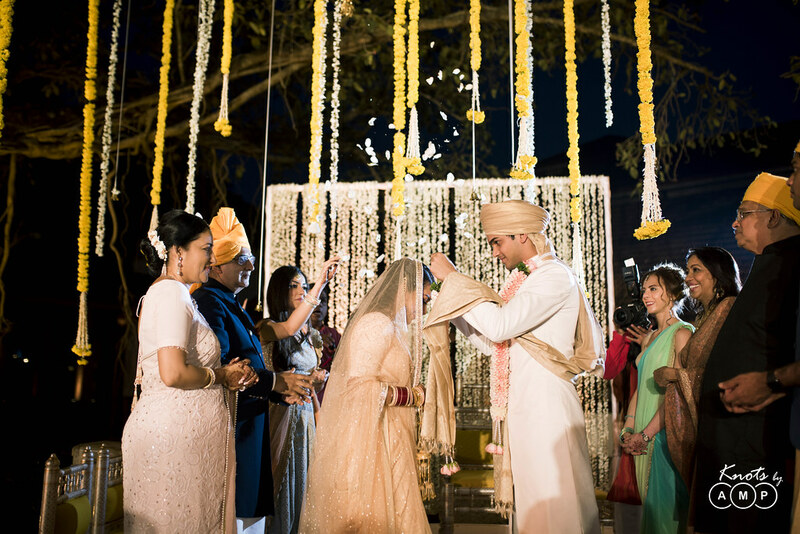 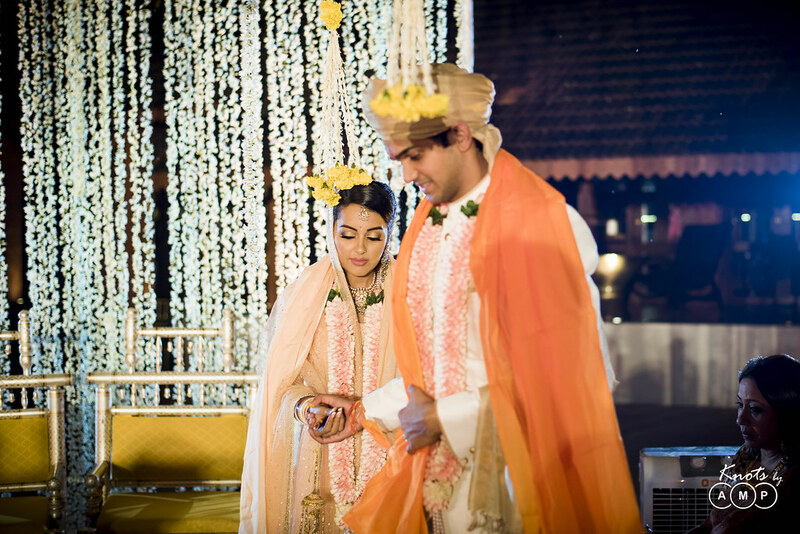 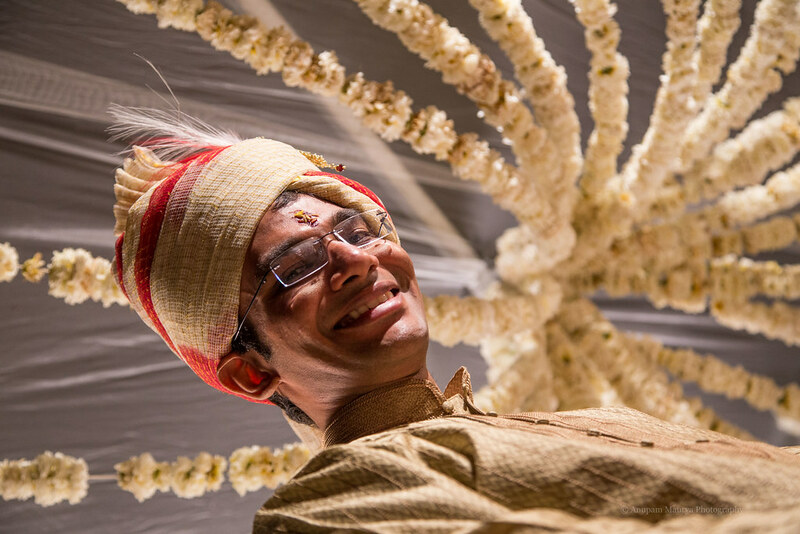 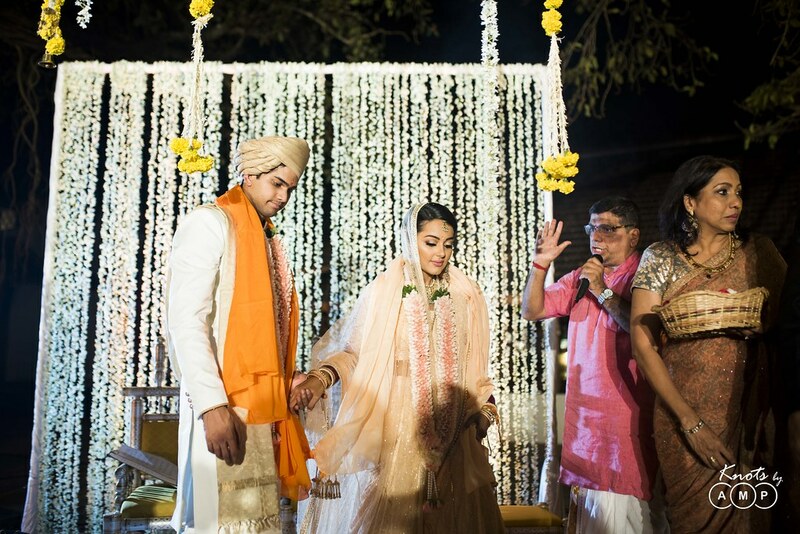 This time its the beautiful Indian wedding at Alila Diwa, Goa! 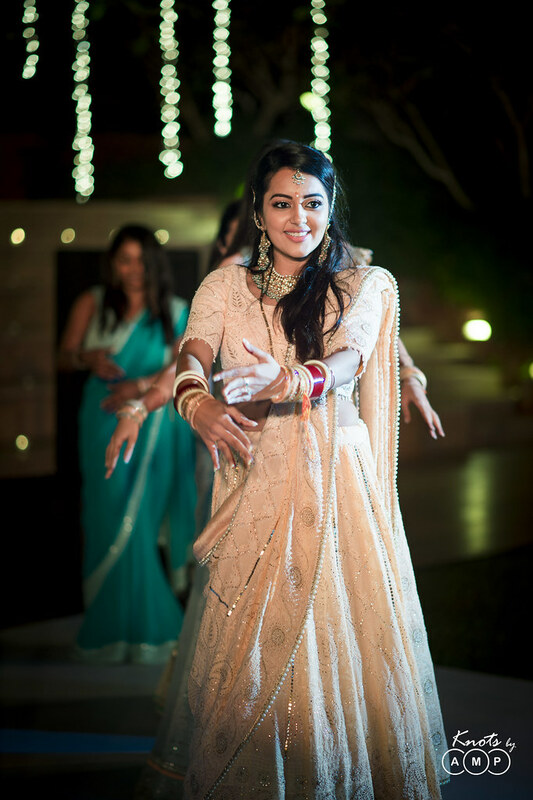 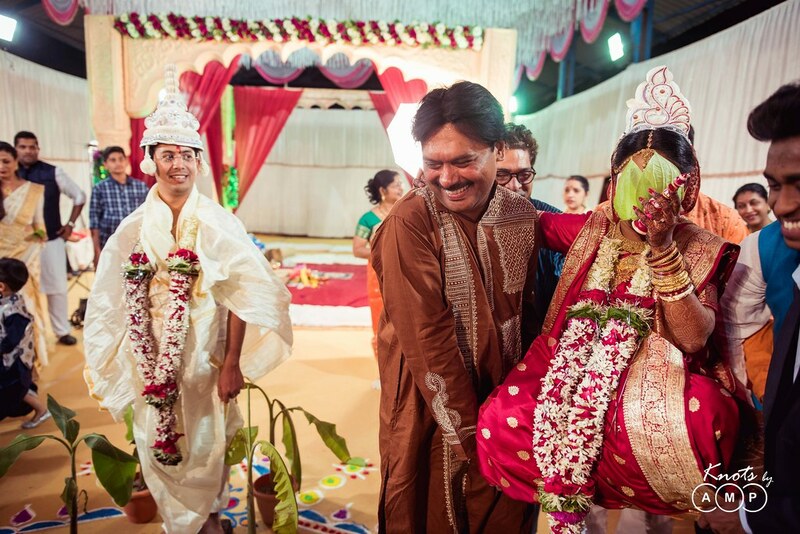 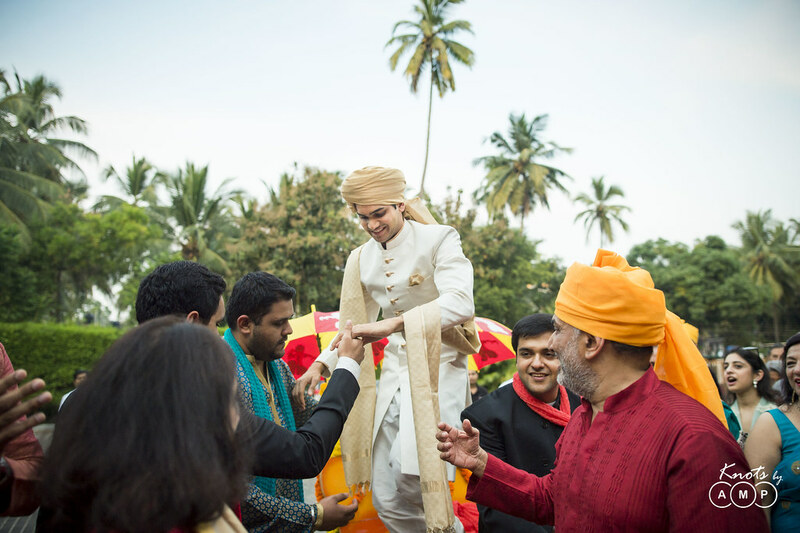 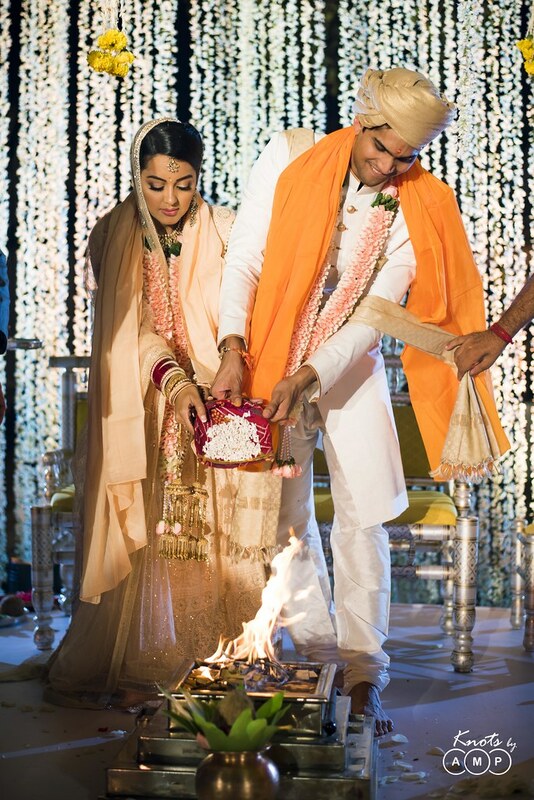 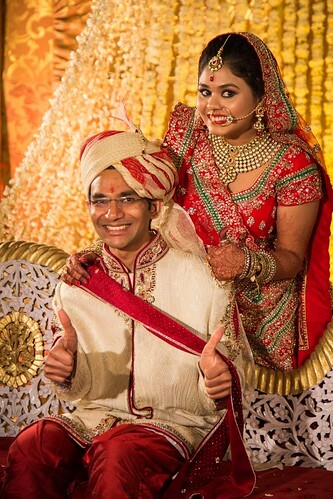 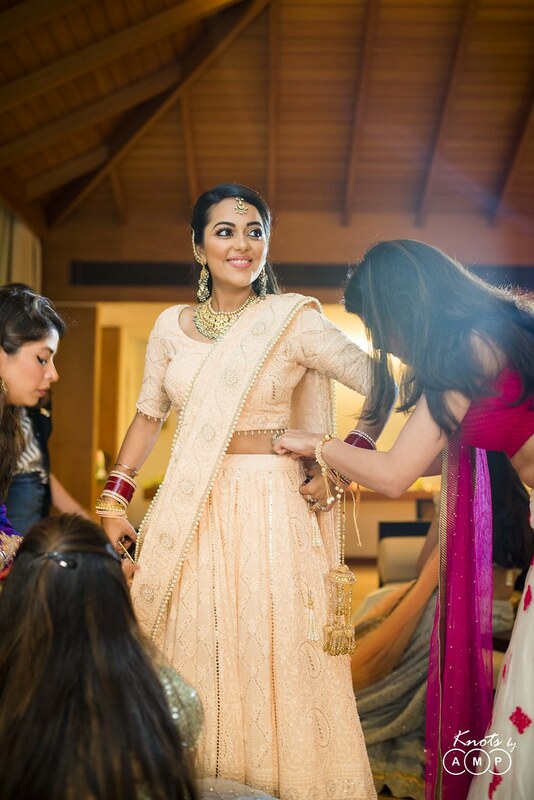 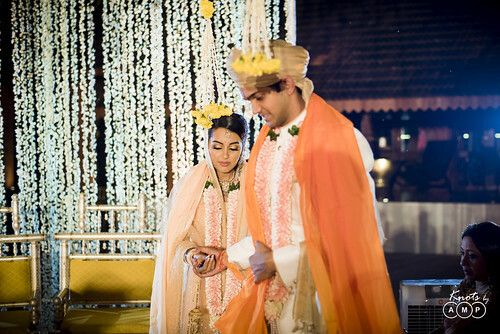 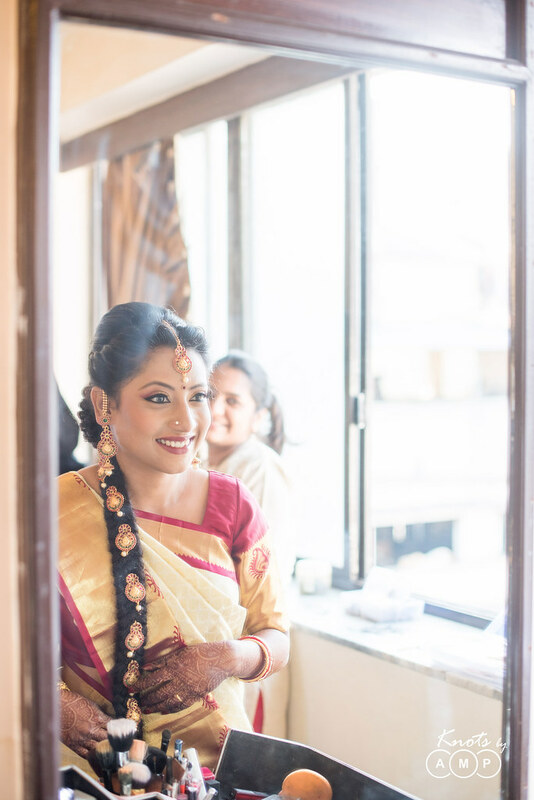 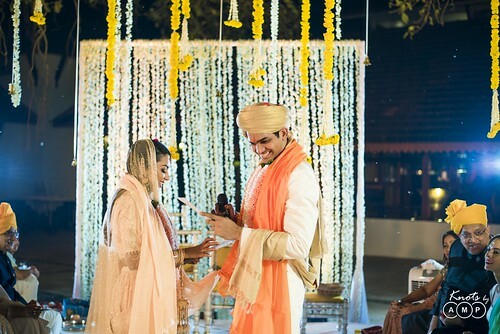 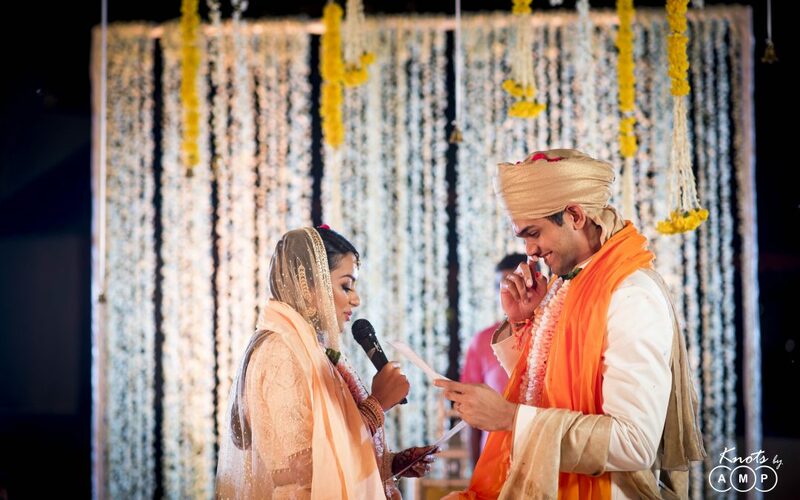 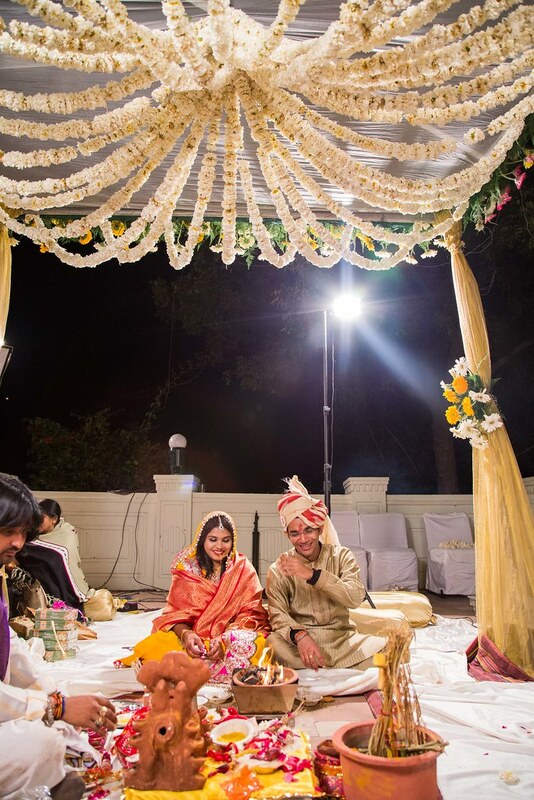 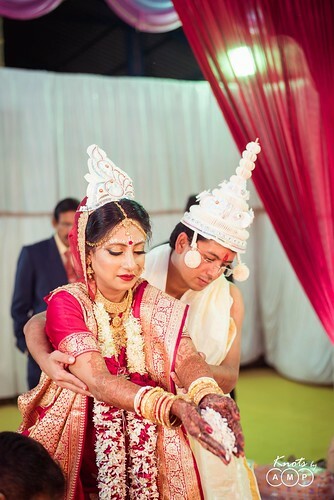 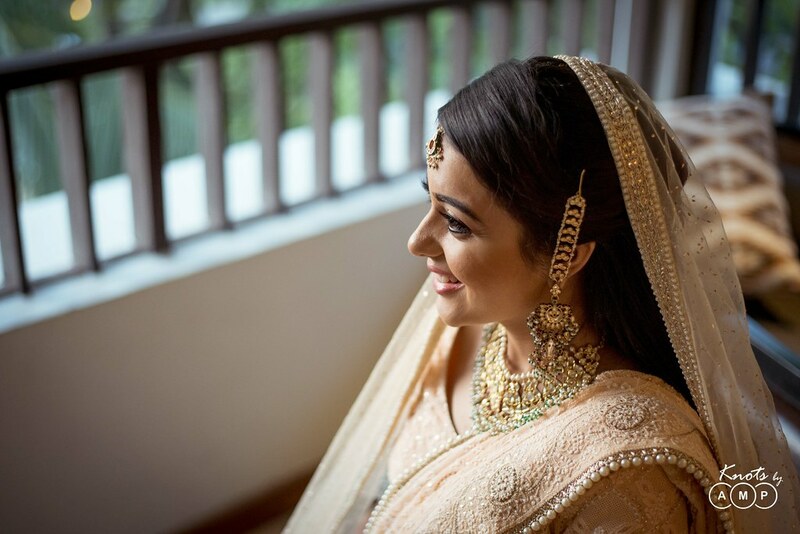 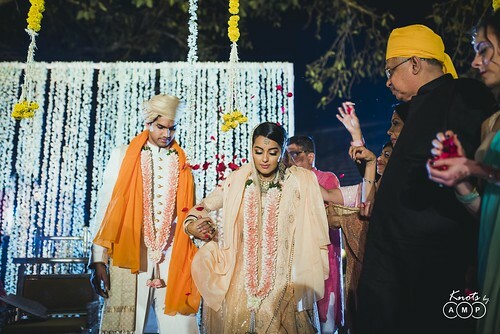 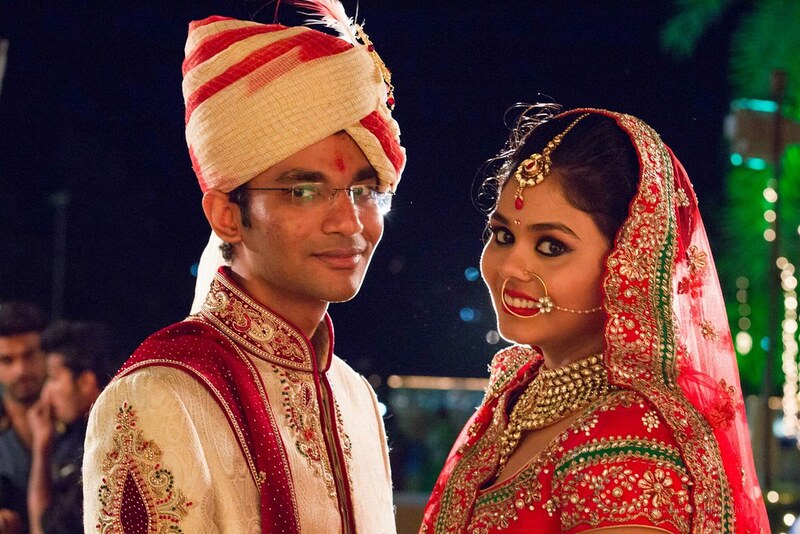 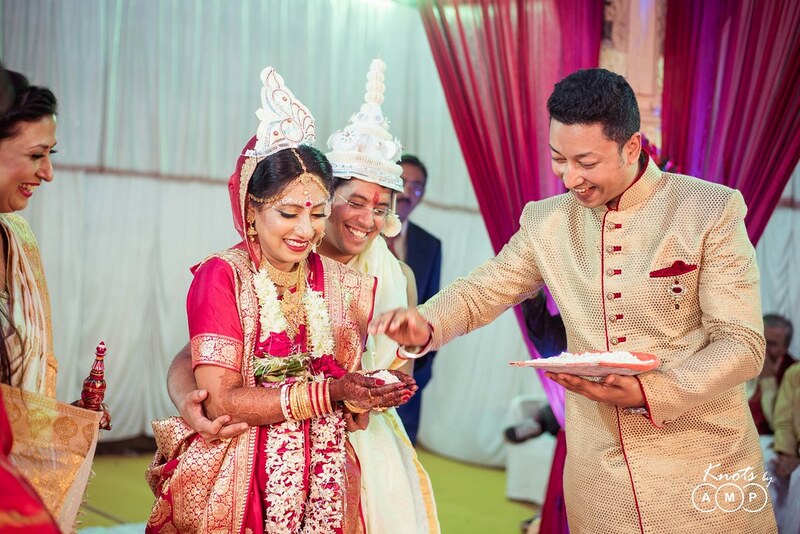 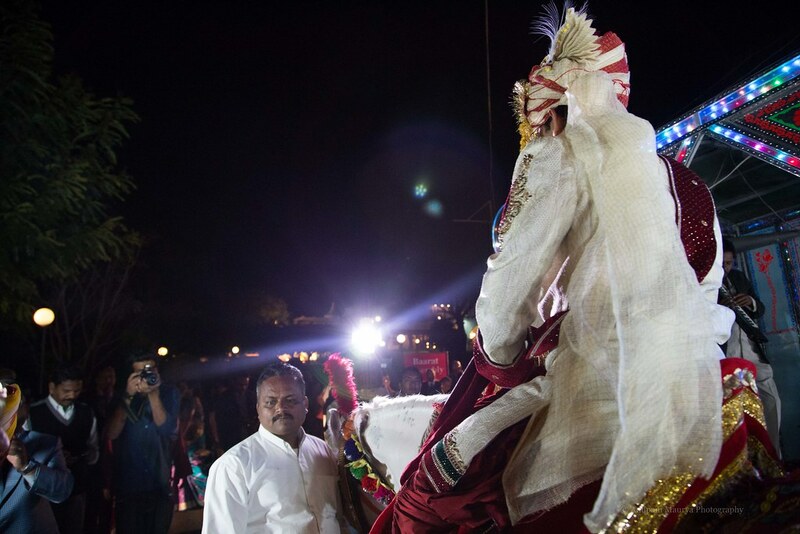 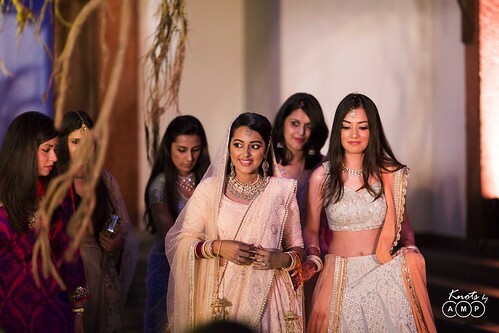 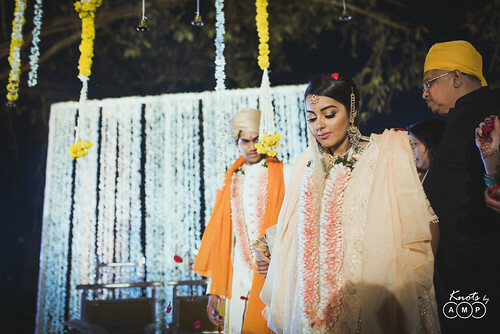 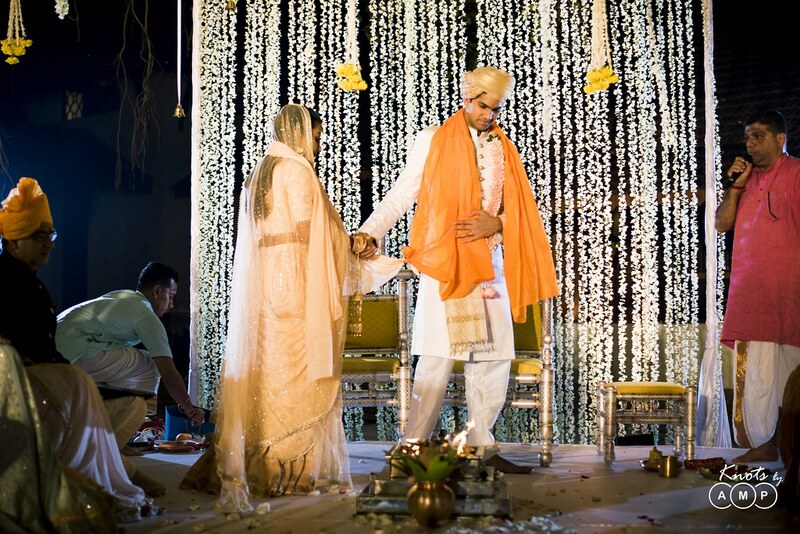 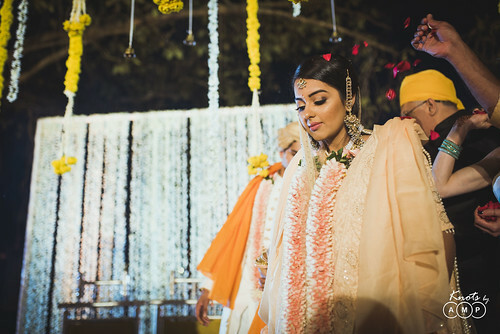 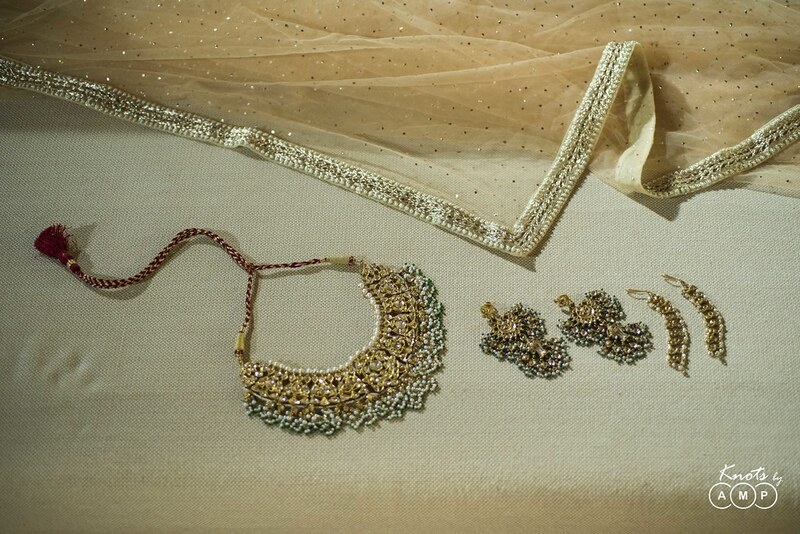 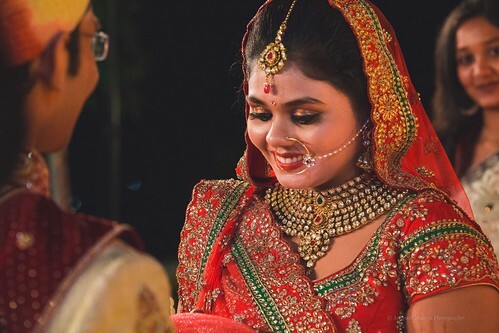 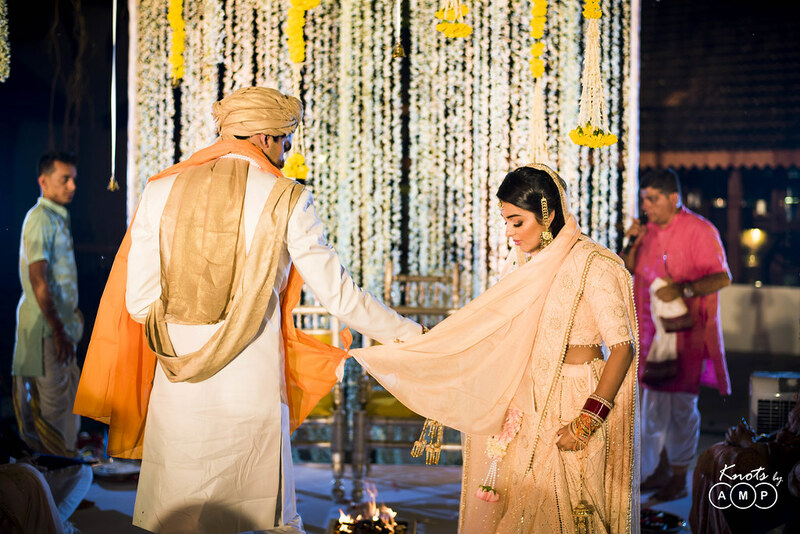 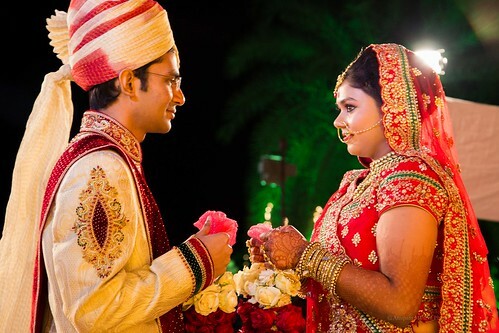 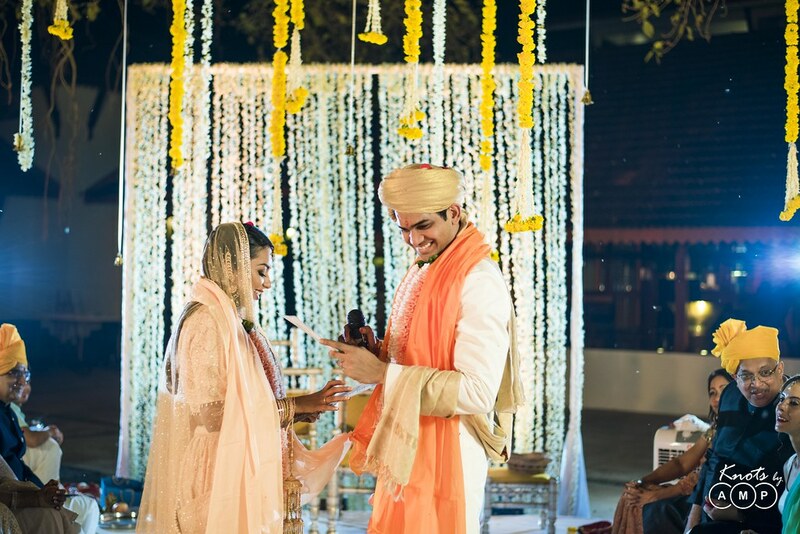 The beautiful bride was dressed in a beige chikankari lehenga, and the groom was looking ravishing a white sherwani. 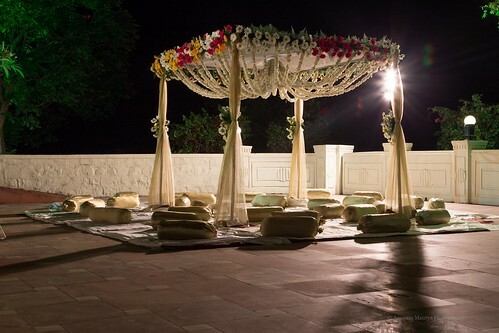 And a equally beautiful mandap decor with flowers to host the indian wedding. 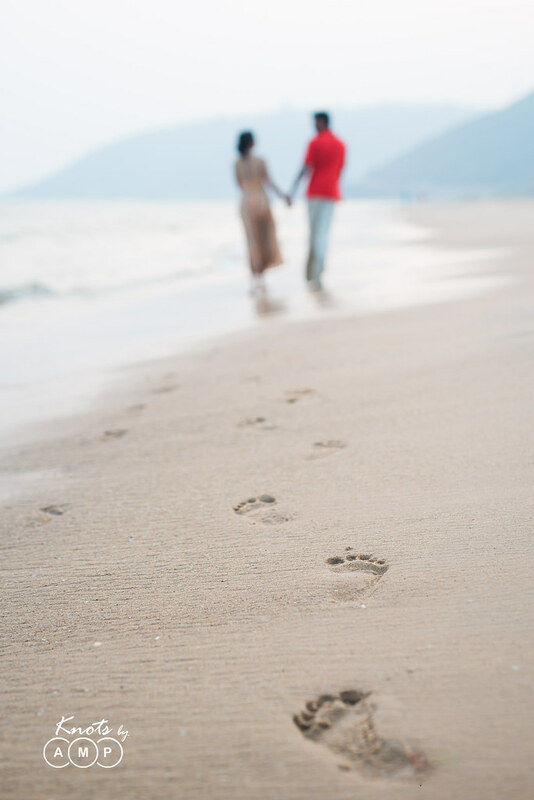 Everything was so beautiful and as the couple read over the vows & promises to each, they started their new journey with all – love, trust & understanding! 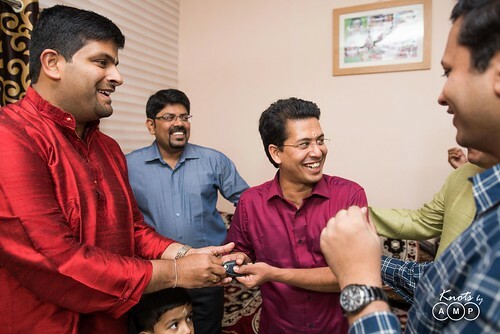 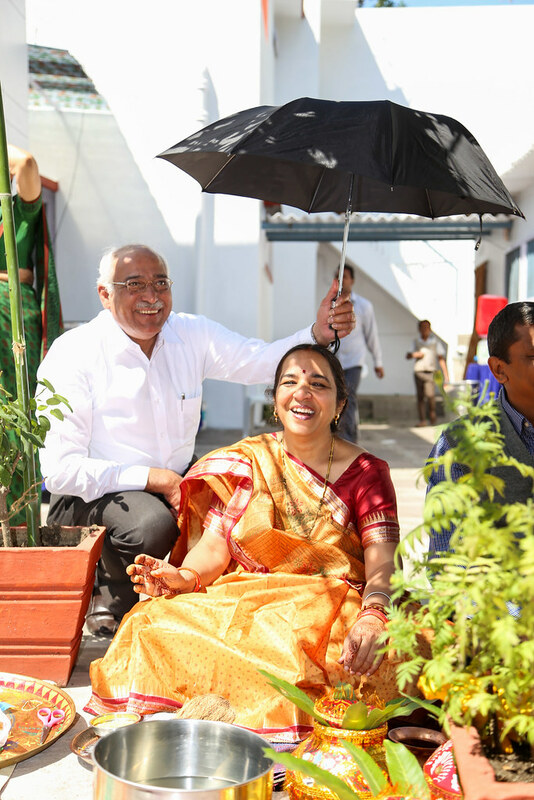 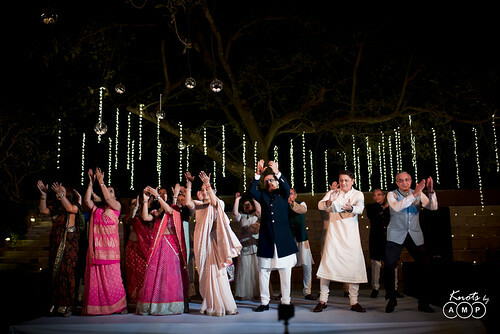 And the happiness was infectious & spread all around, right from their familes, friends and all the guests present. 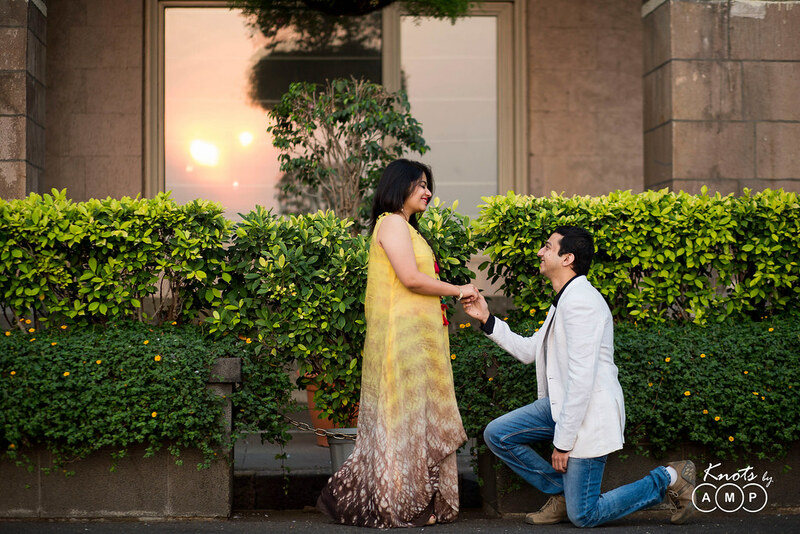 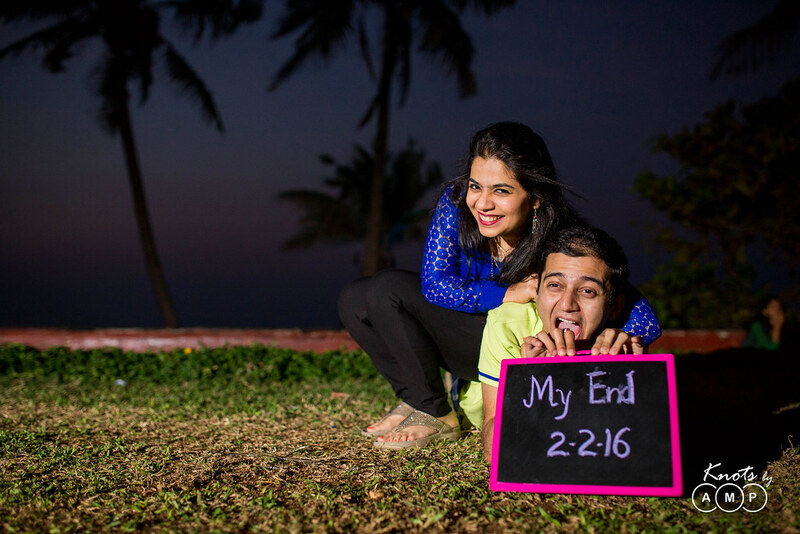 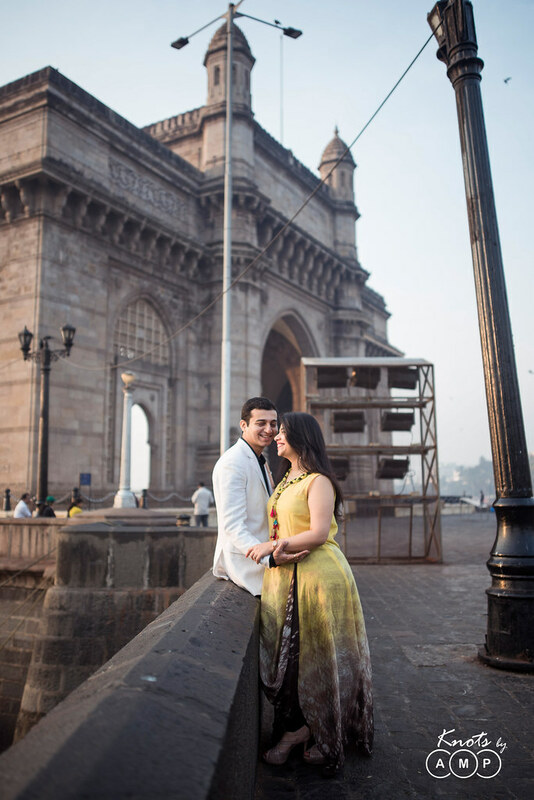 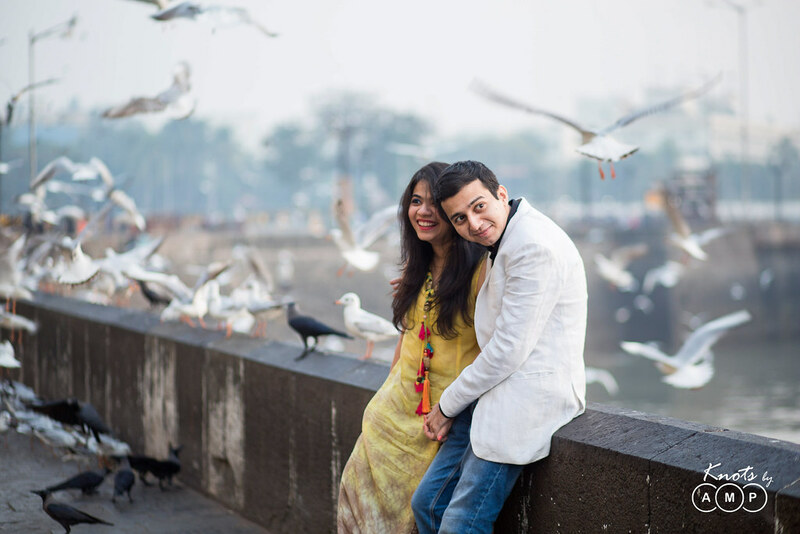 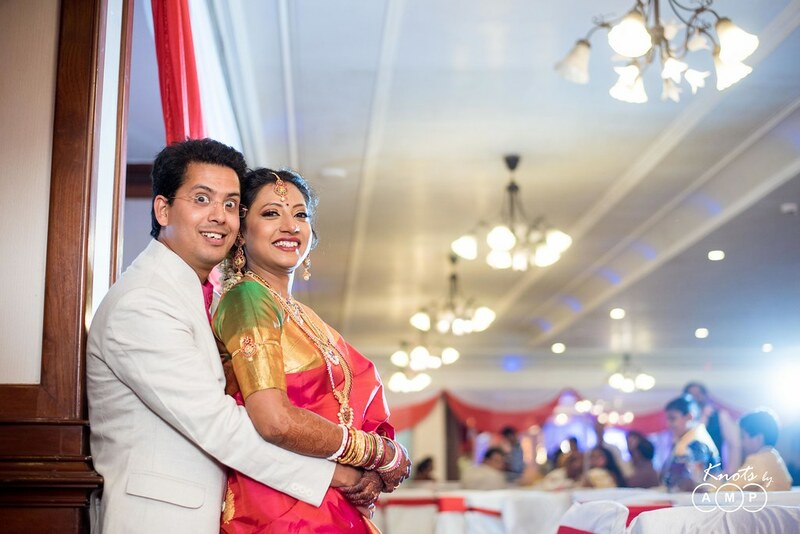 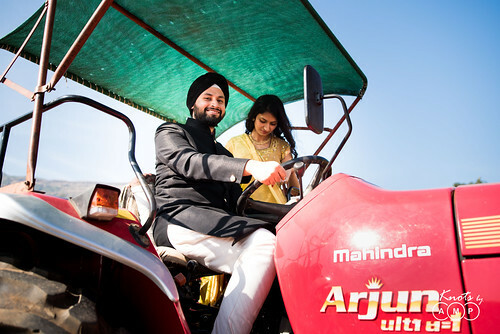 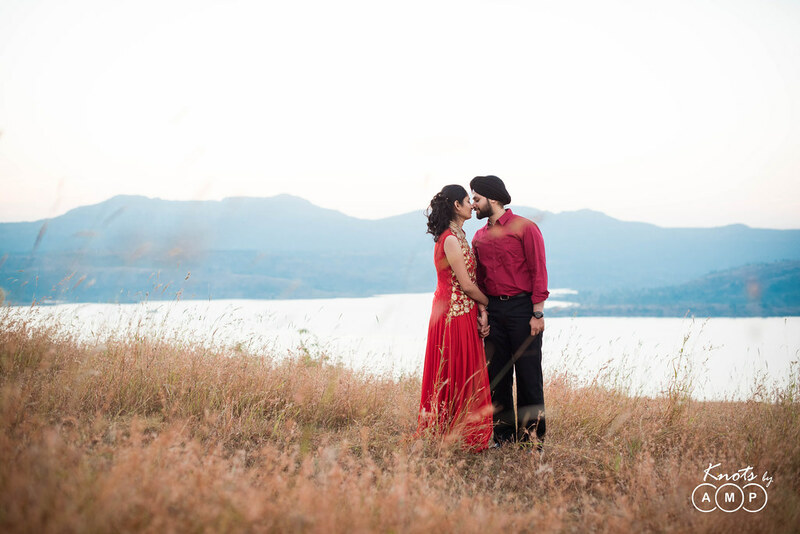 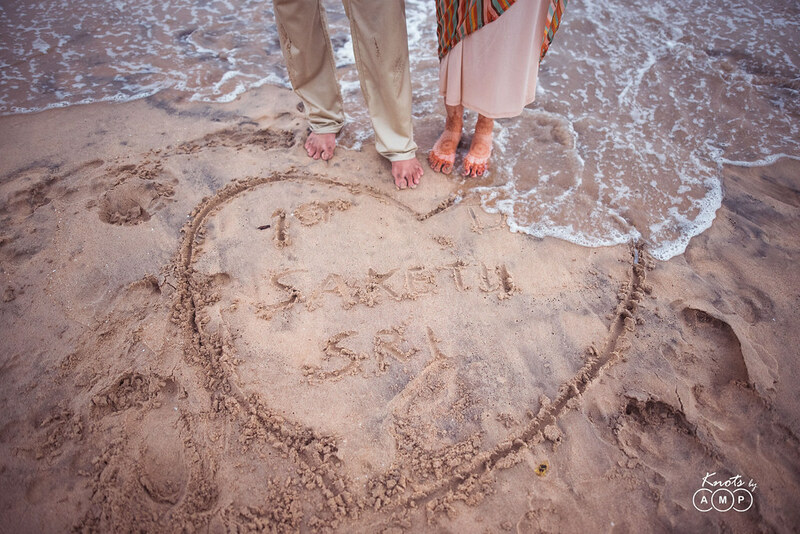 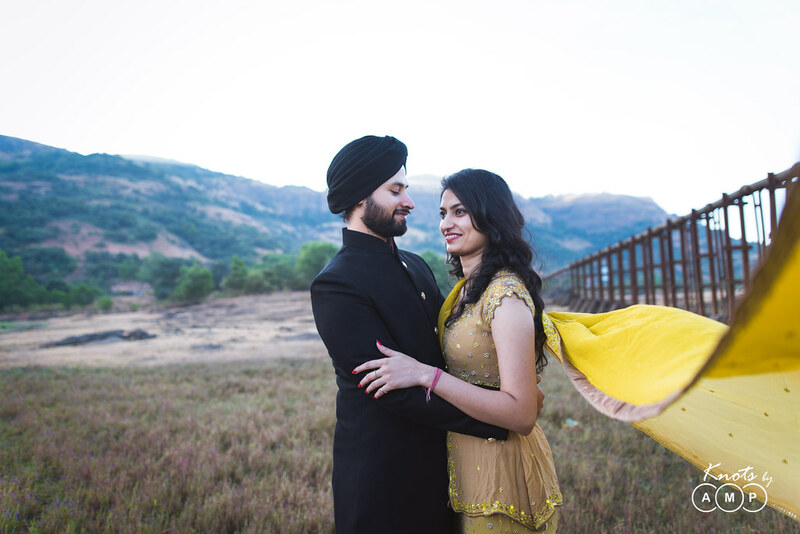 Even to us, and we thank the couple for trusting us to capture the memories of their precious day! And now its time to go through the photos. It is not everyday you get a chance to cover a destination wedding and when it happens in a palace, the excitement is through the roof. 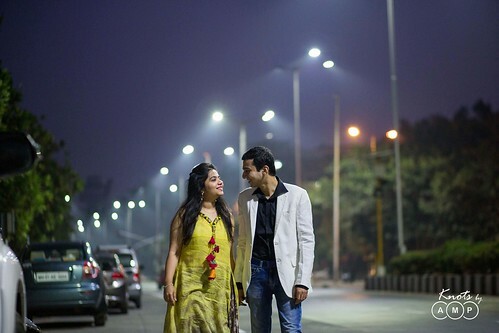 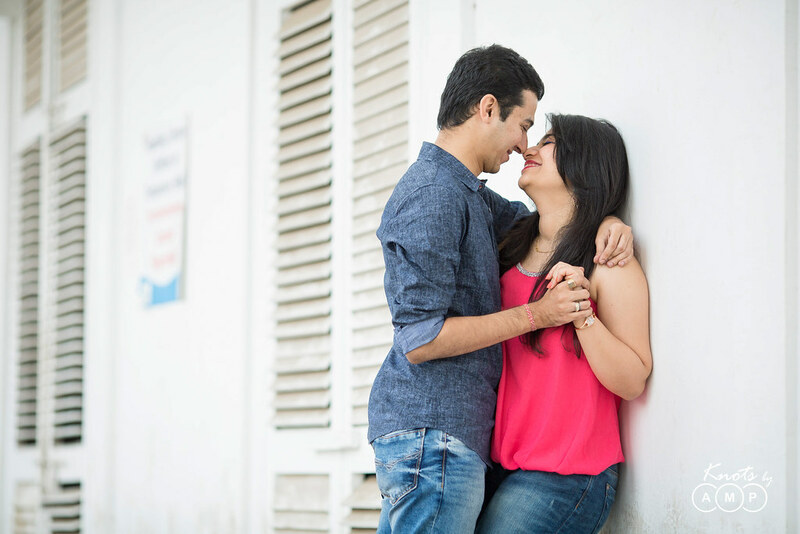 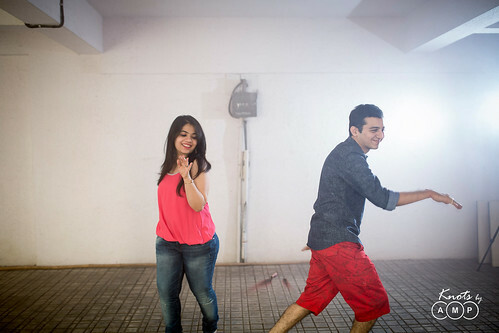 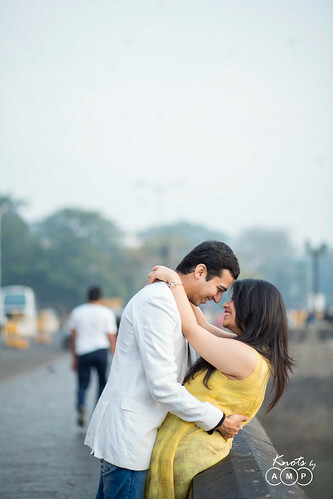 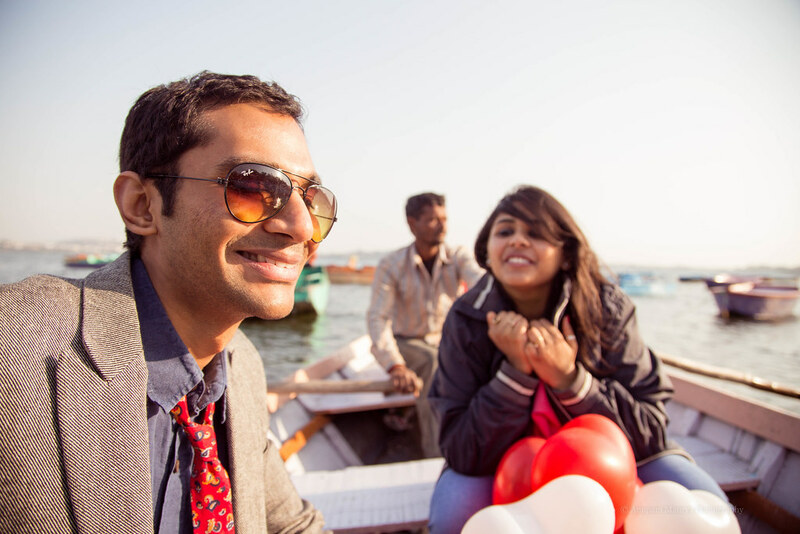 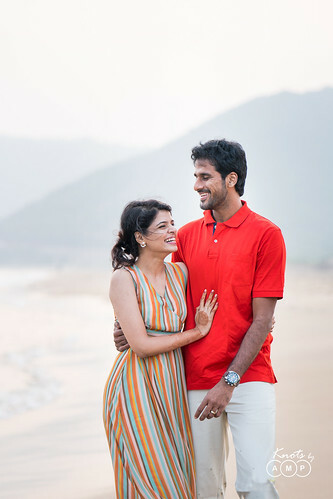 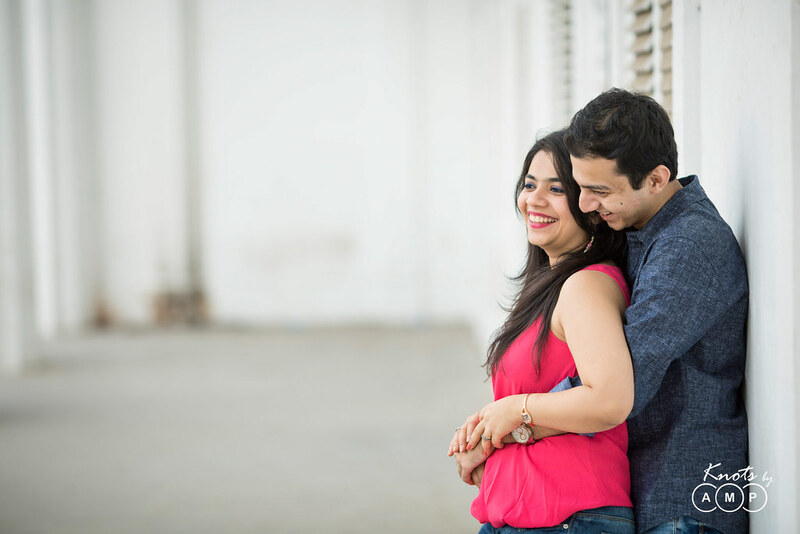 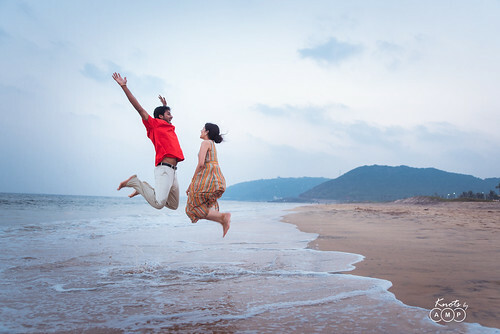 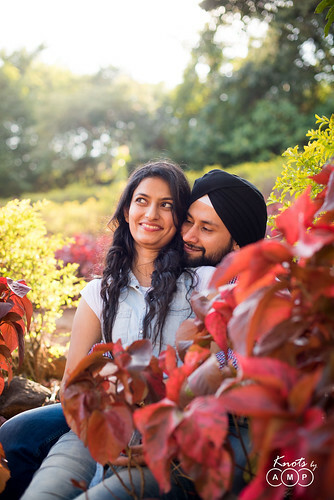 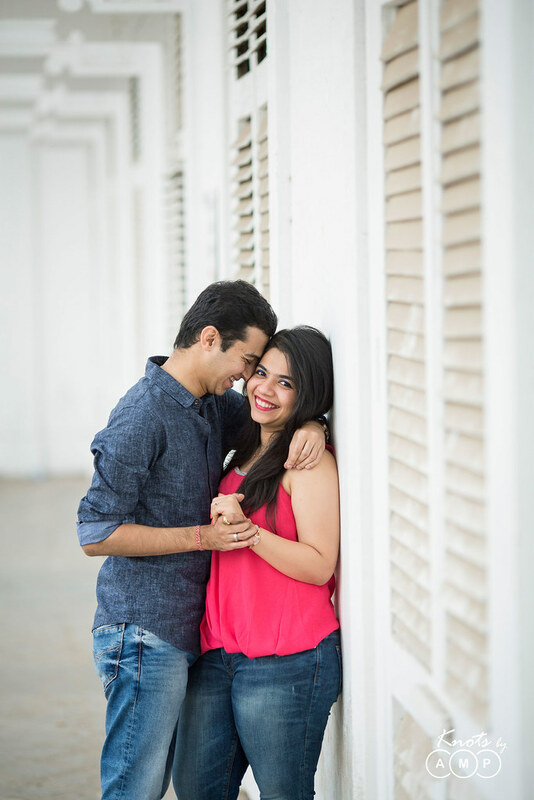 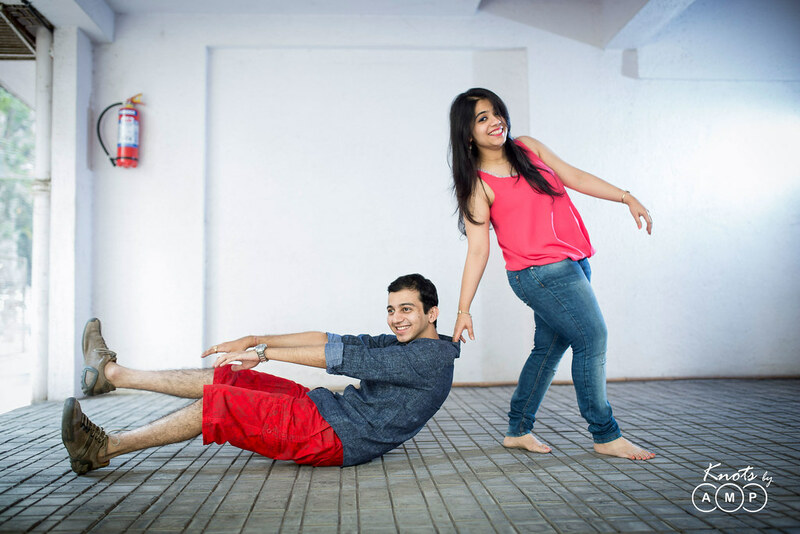 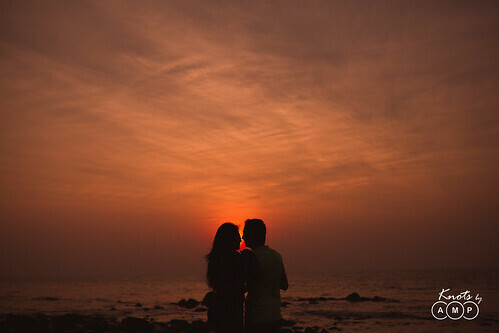 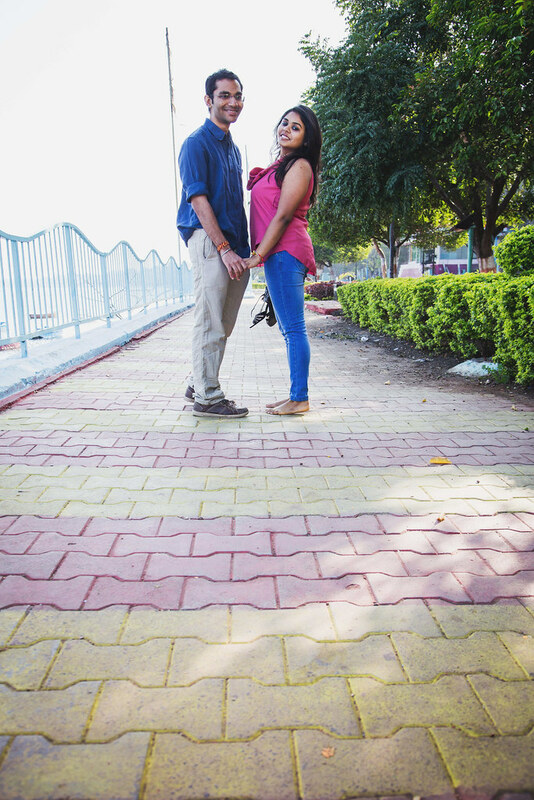 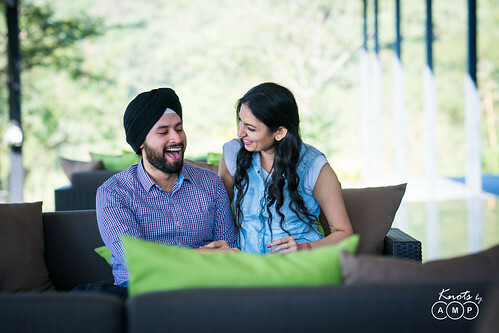 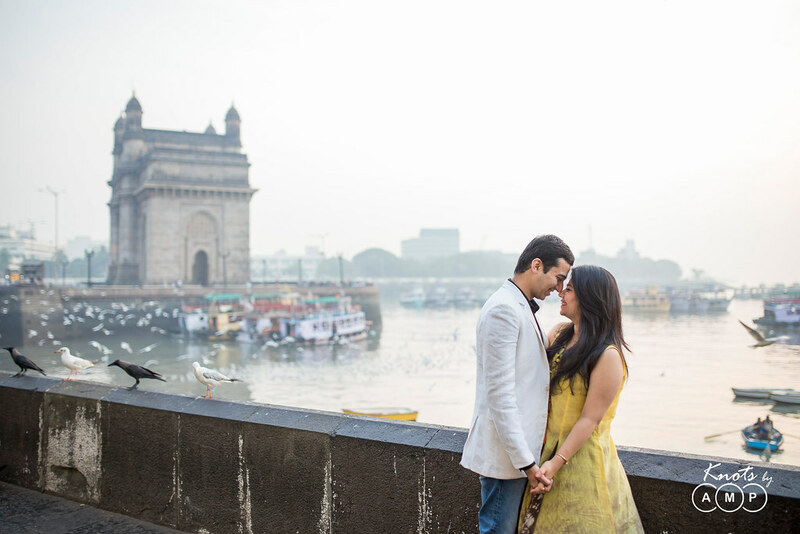 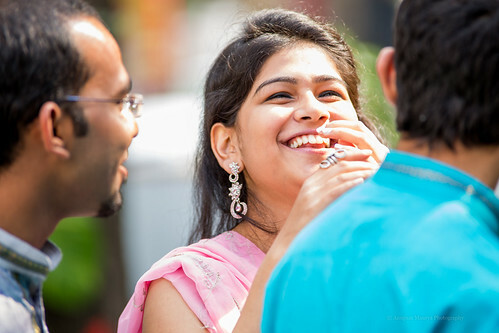 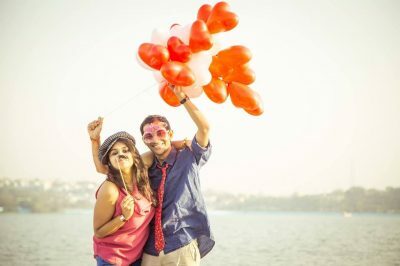 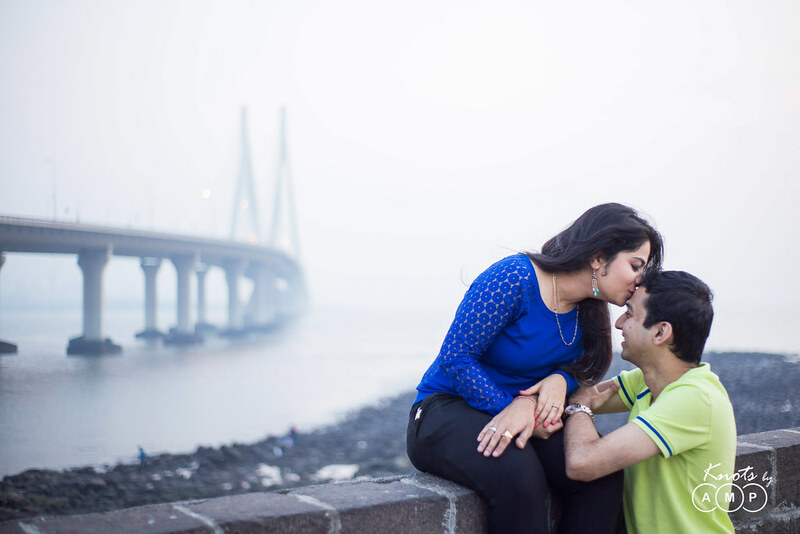 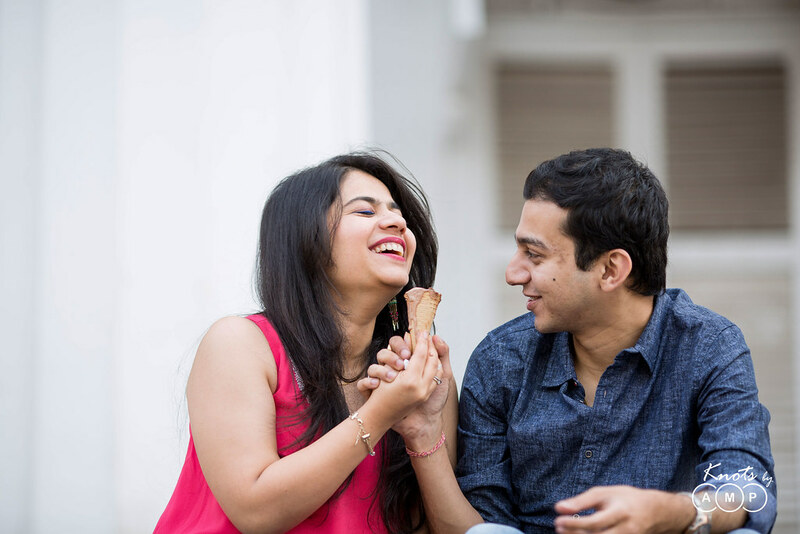 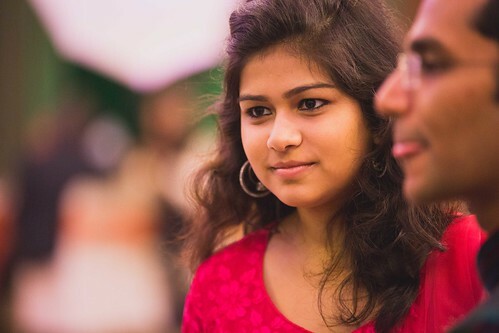 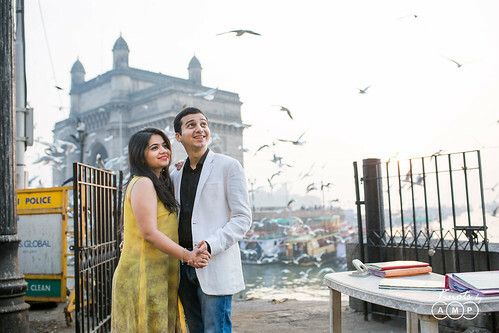 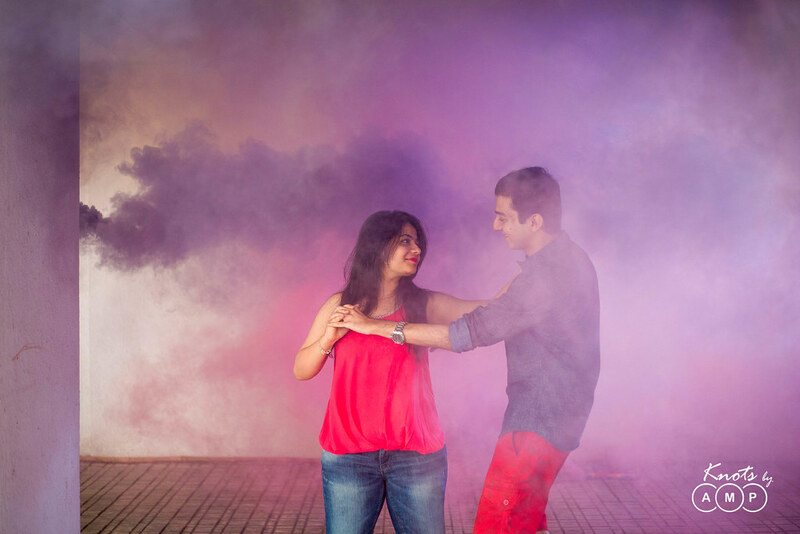 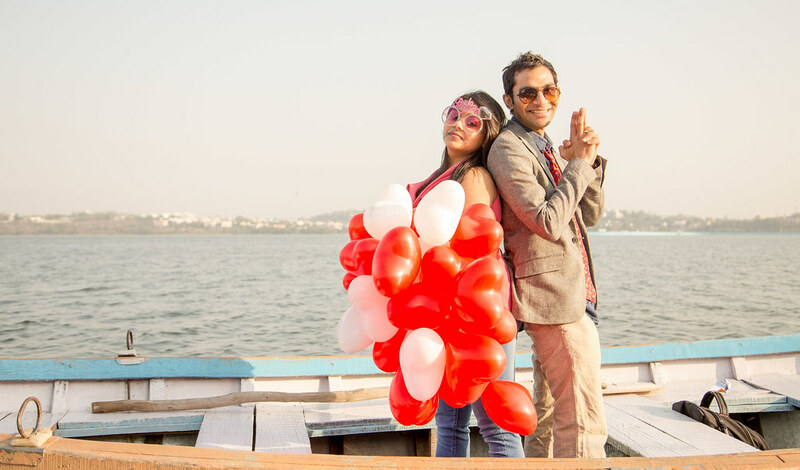 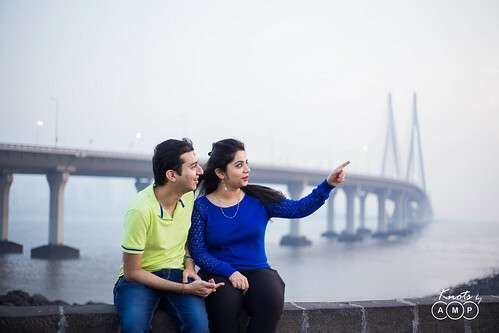 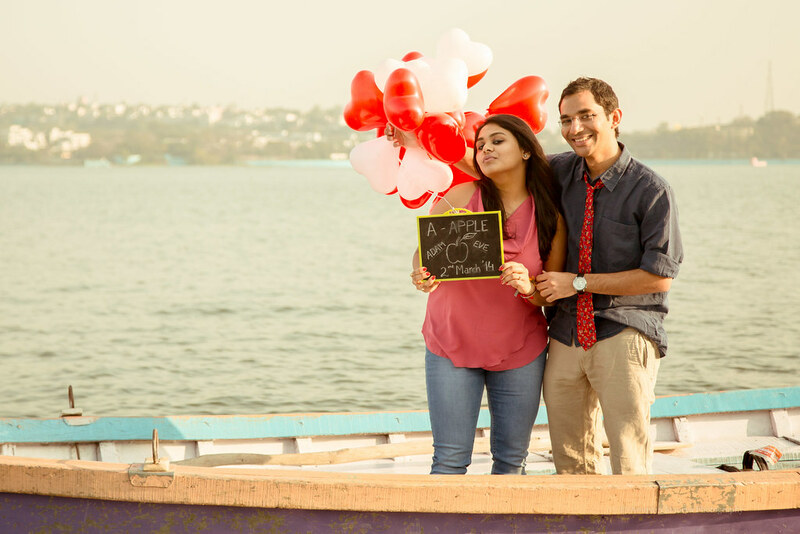 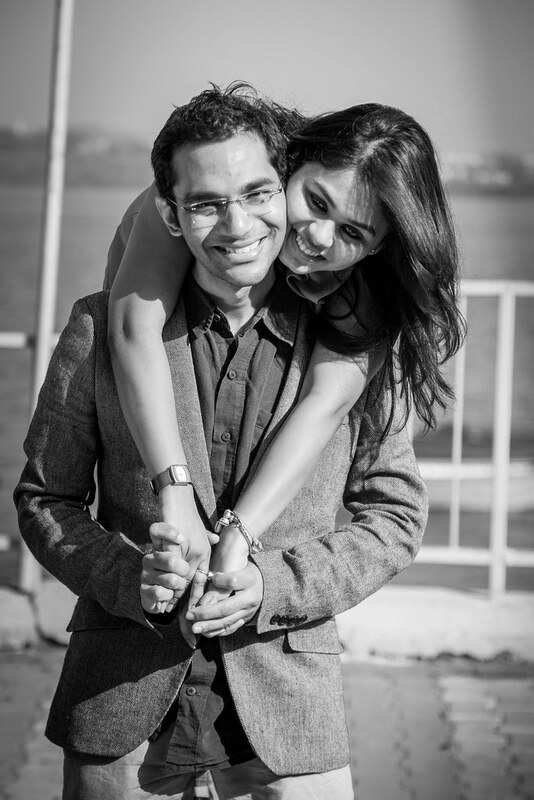 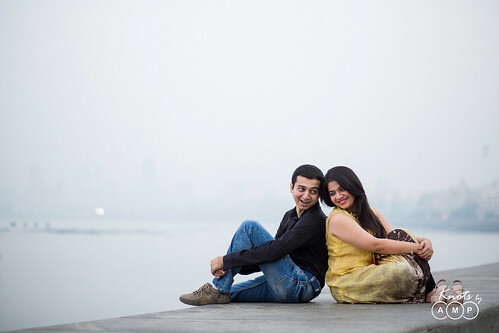 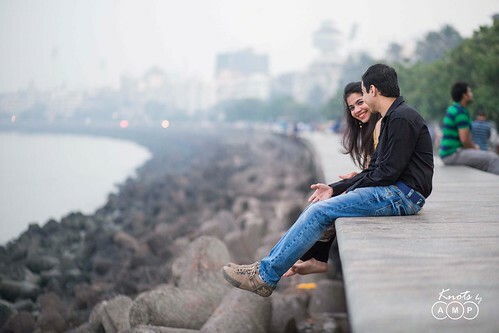 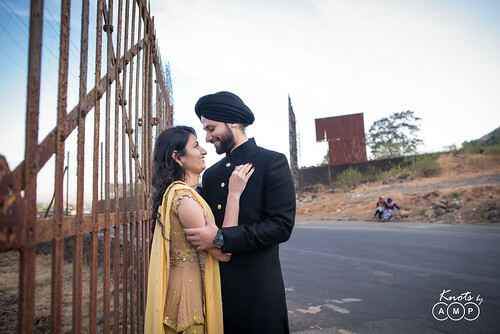 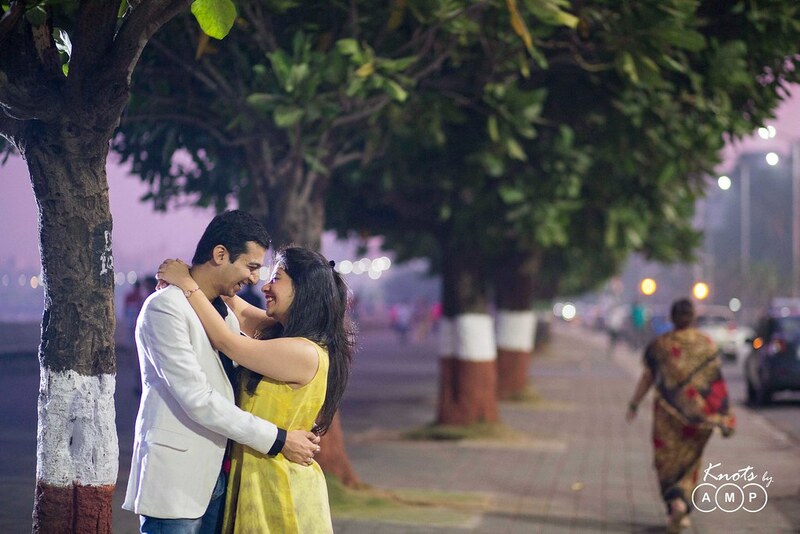 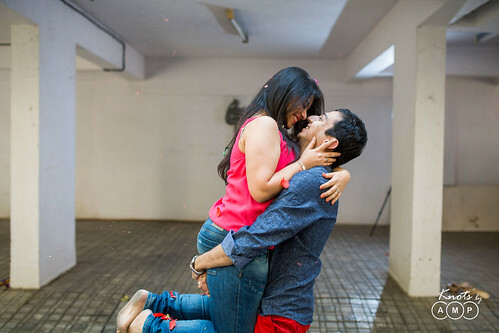 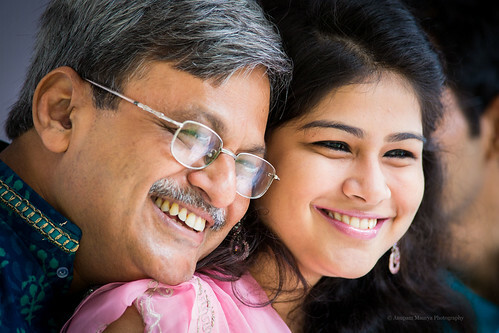 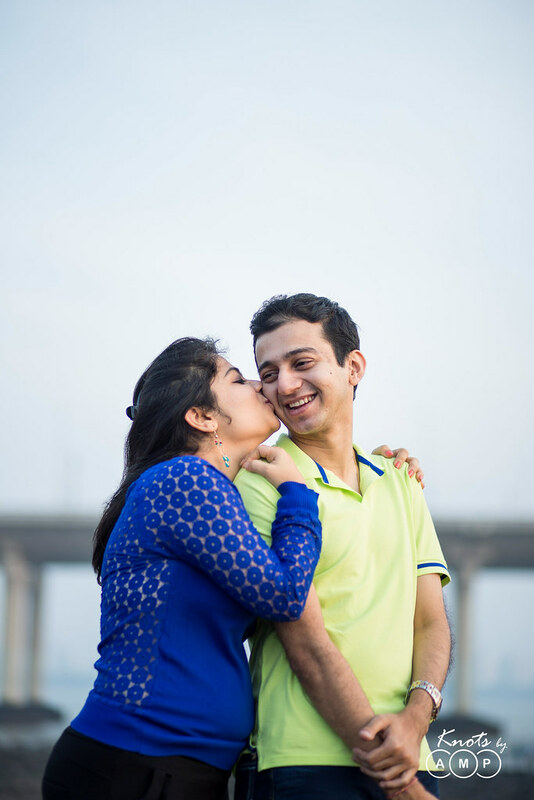 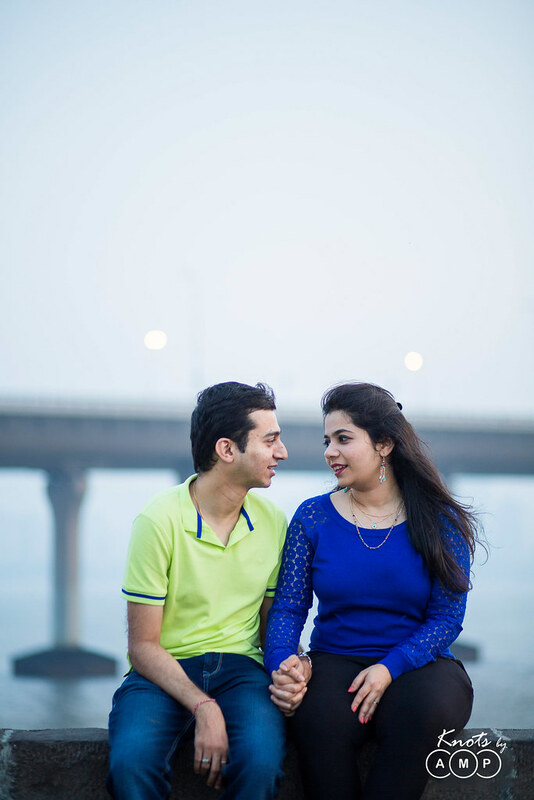 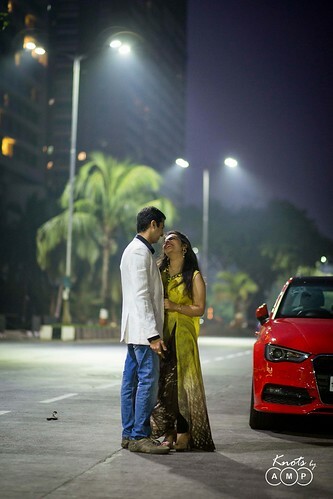 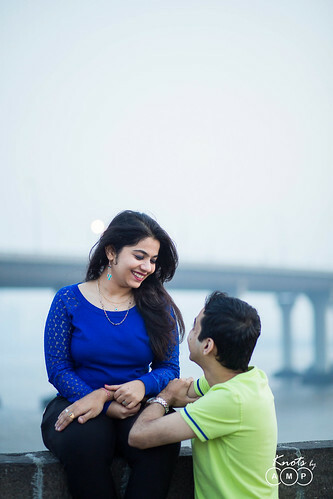 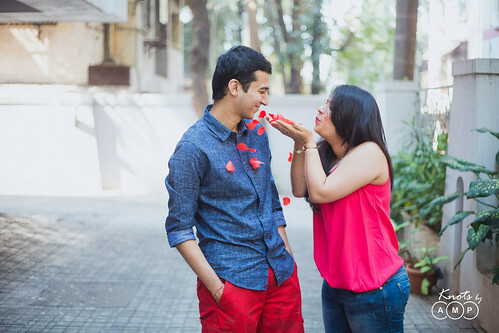 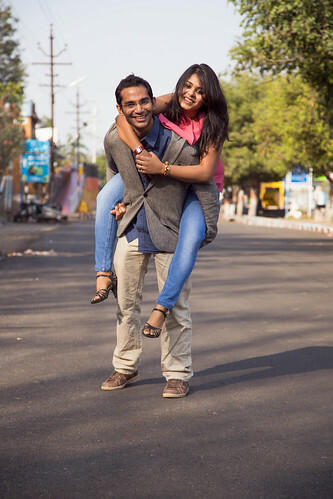 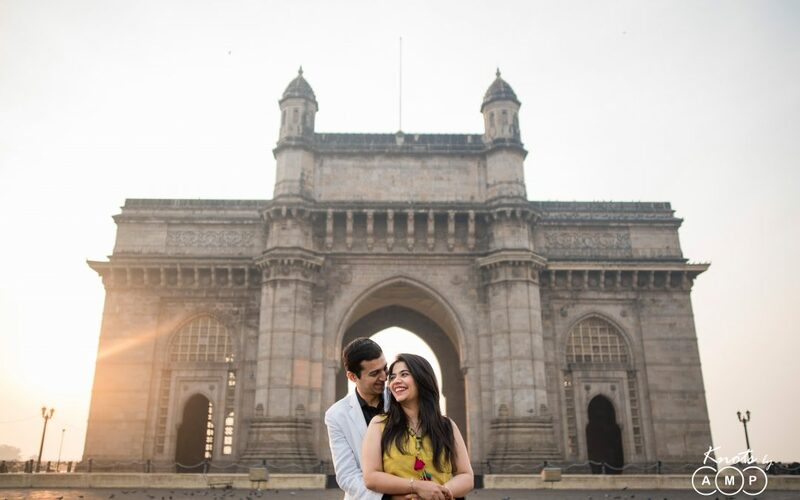 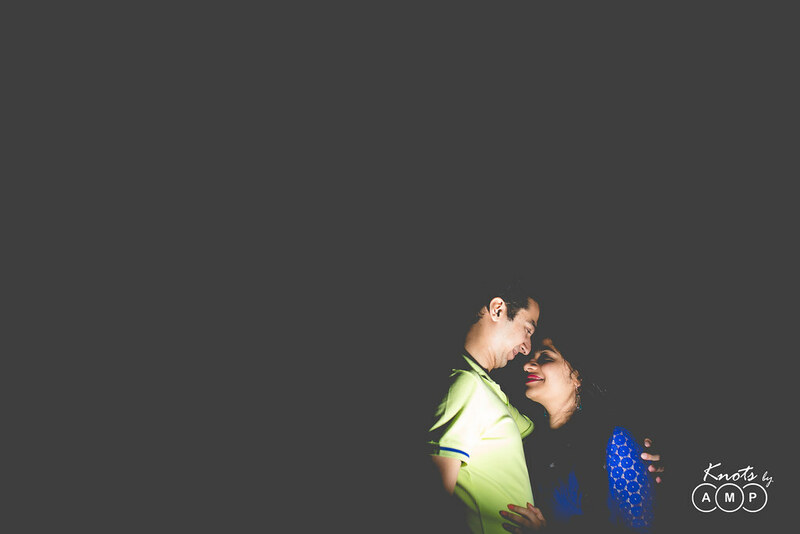 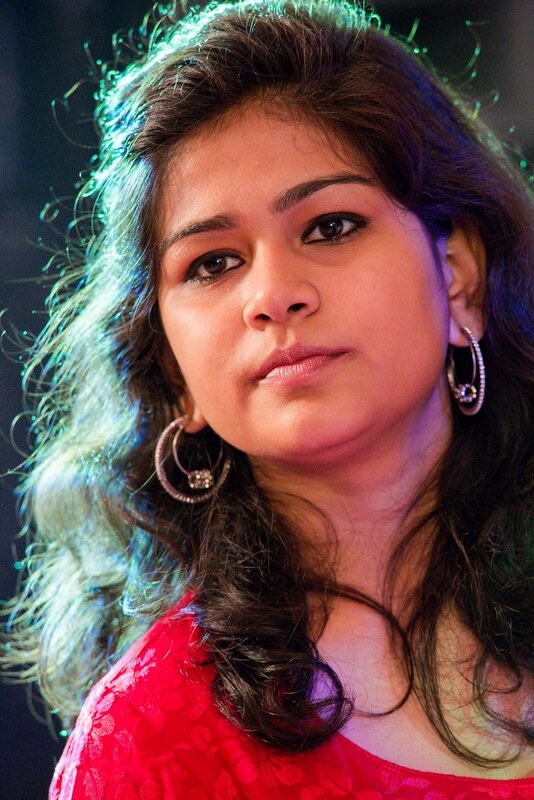 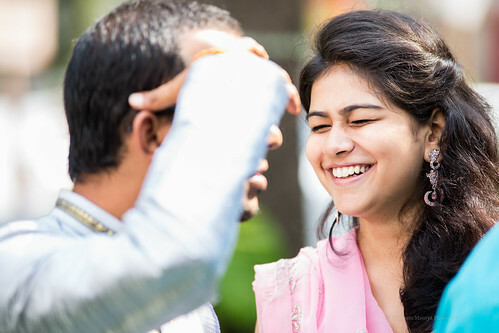 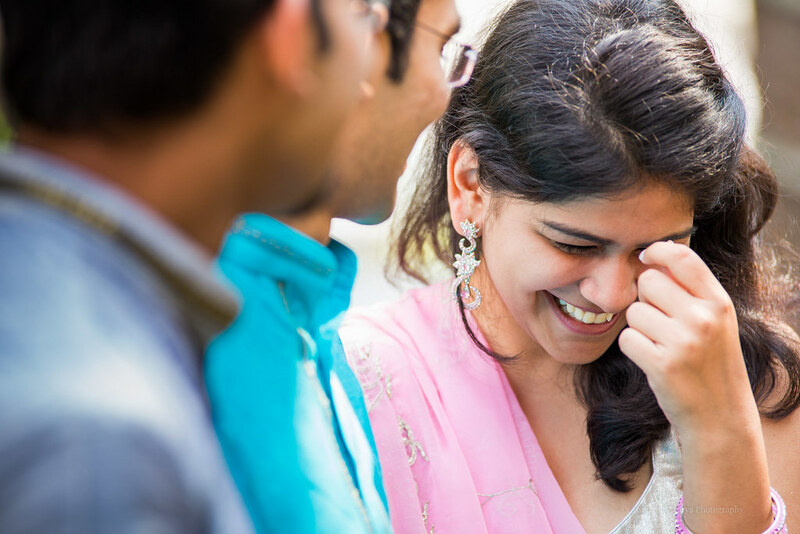 Isha a copywriter with an advertising agency in Delhi was set to marry Rachit, who was pursuing PhD in Sweden. 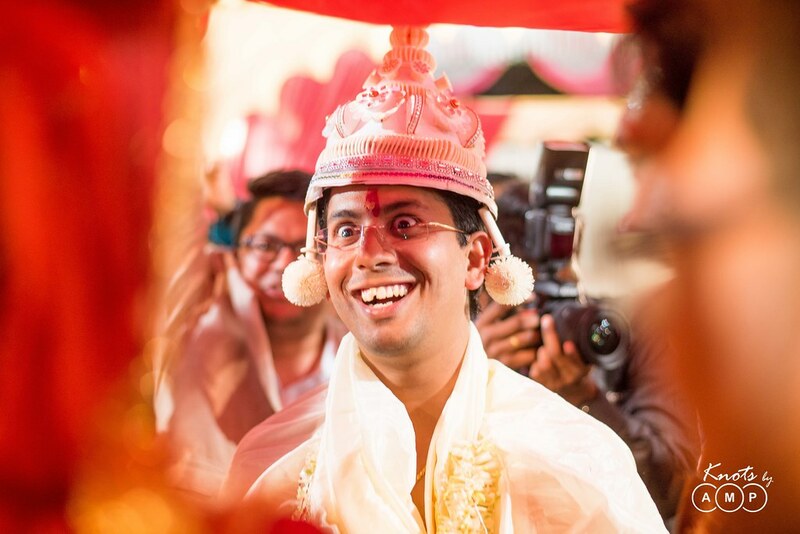 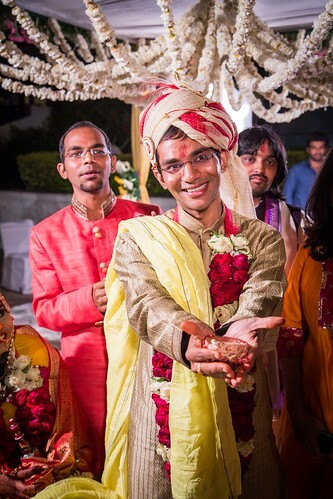 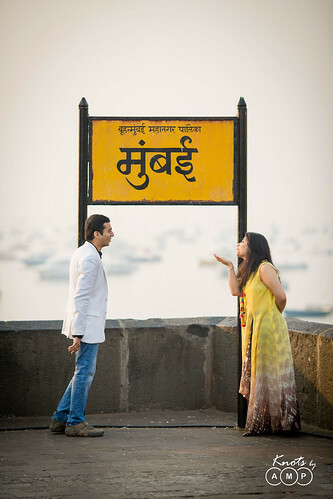 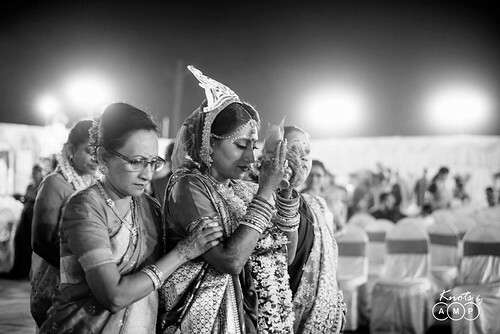 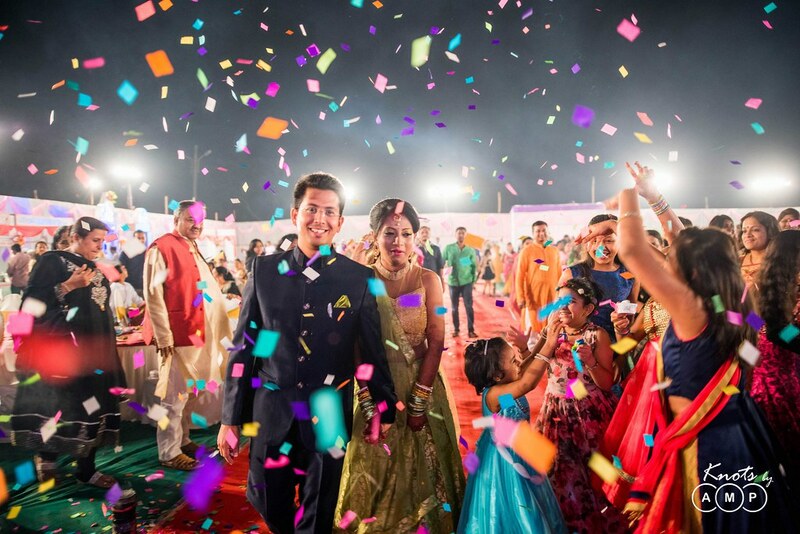 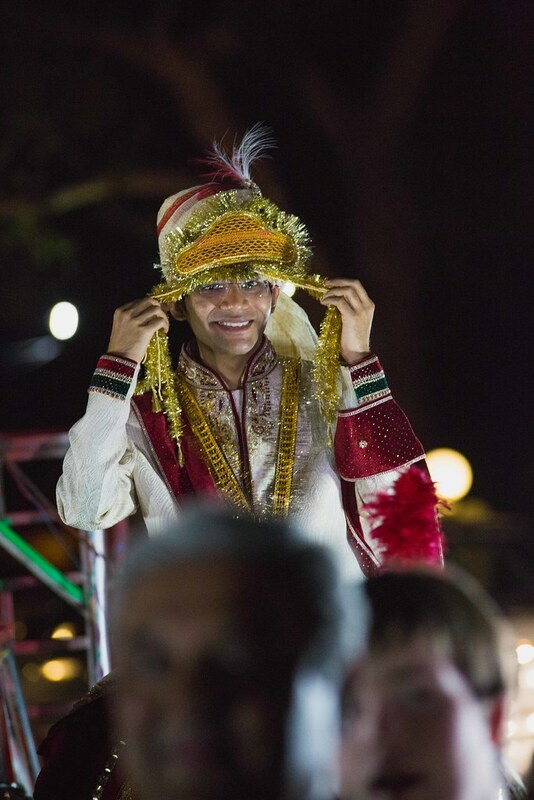 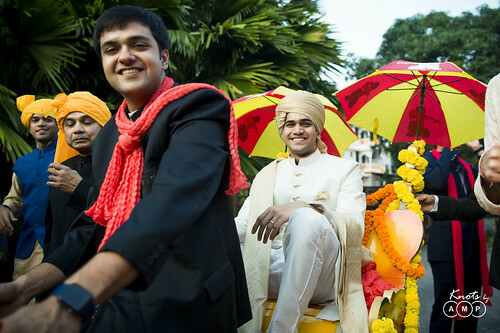 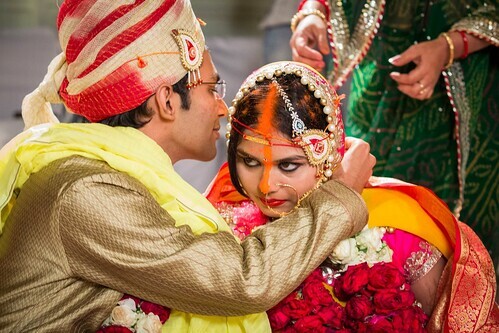 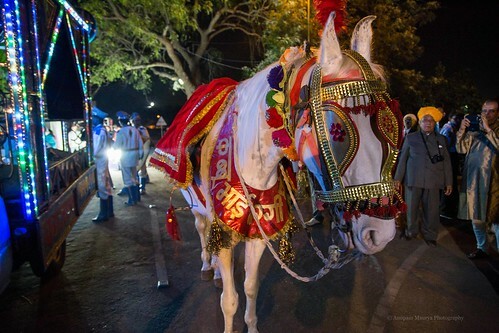 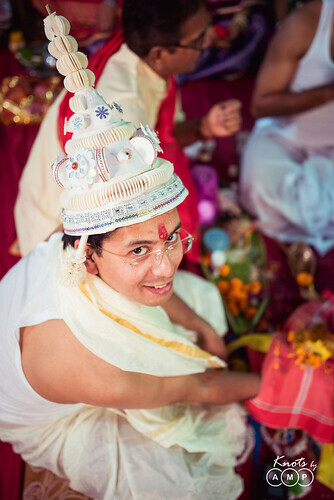 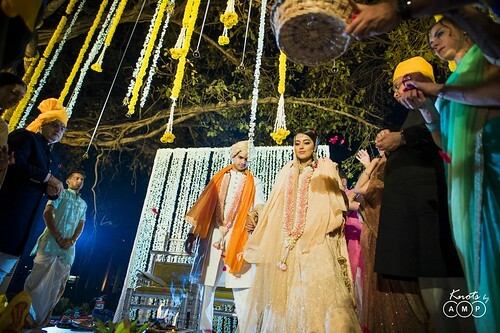 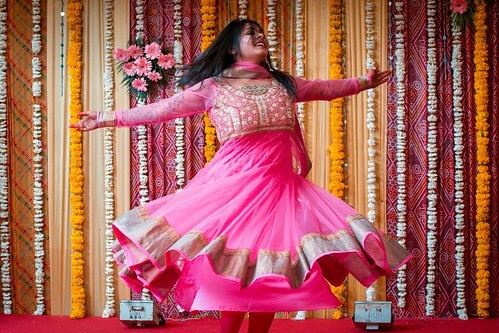 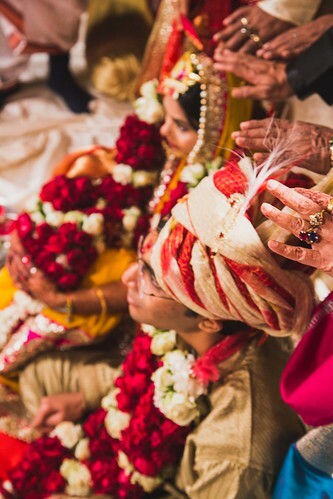 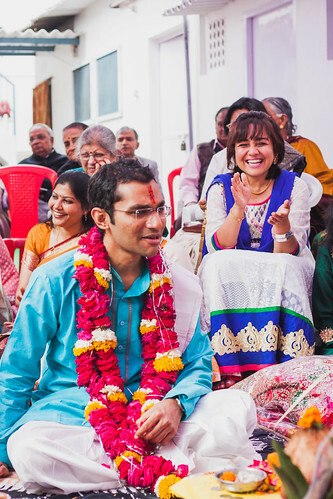 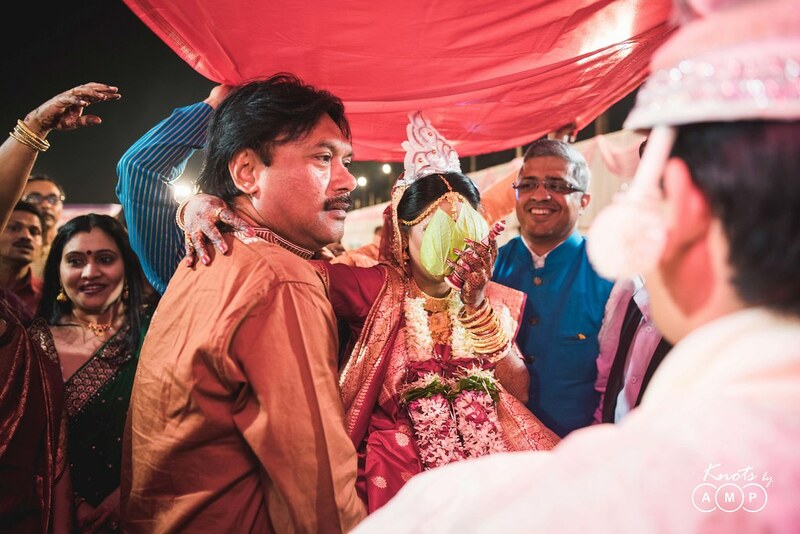 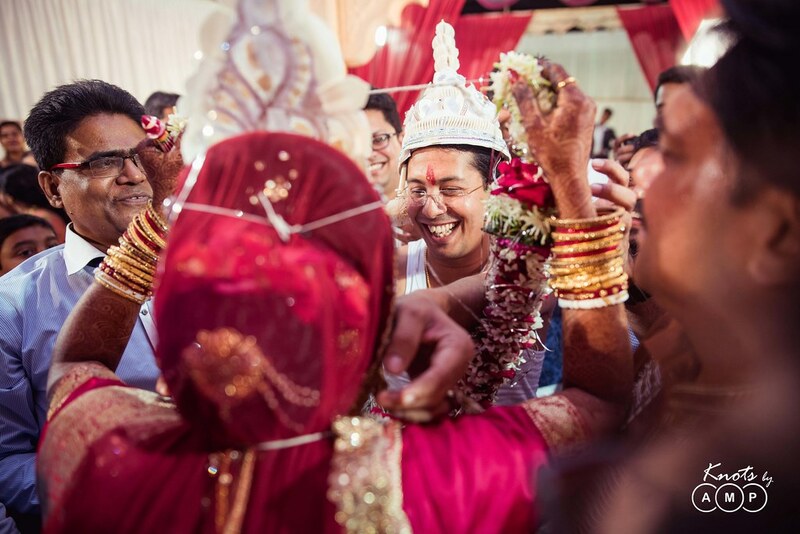 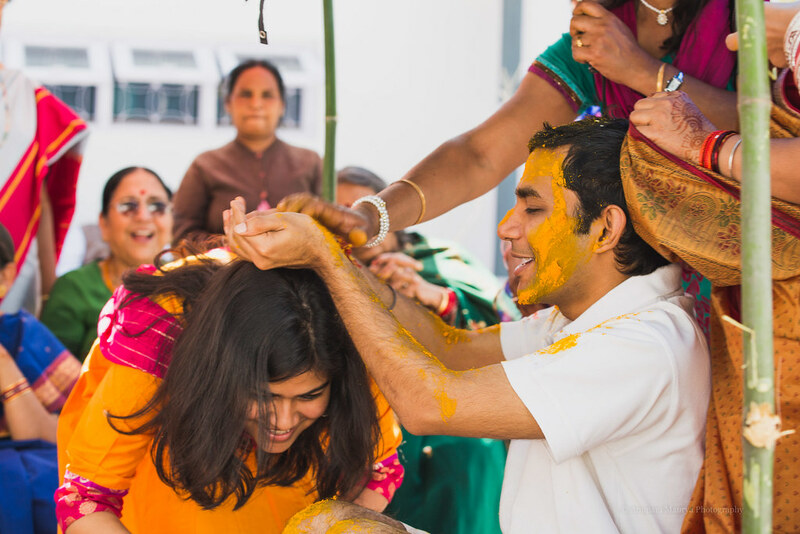 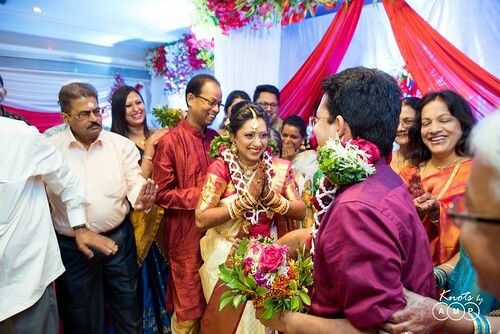 There wedding was to take place in Bhopal, the capital city of Madhya Pradesh. 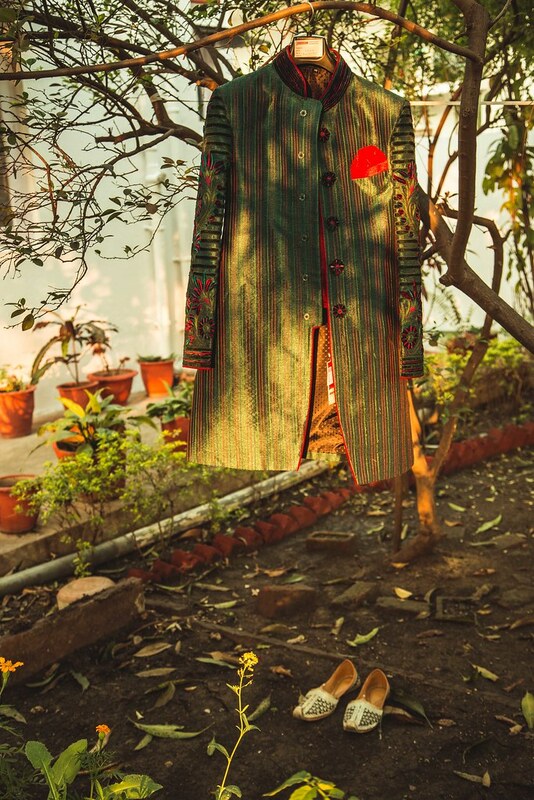 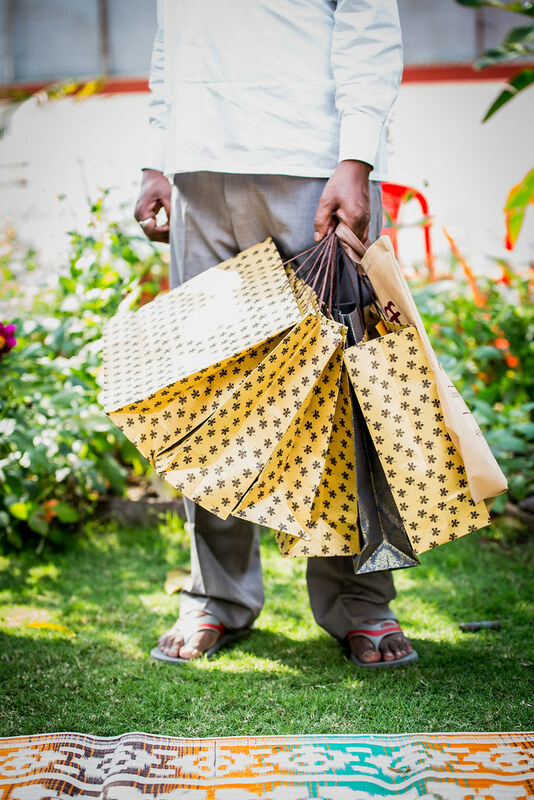 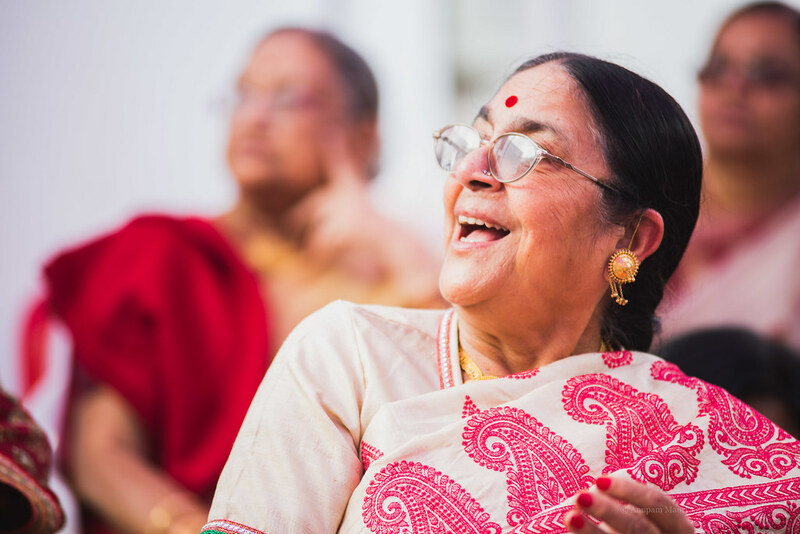 As beautiful and old the city is, its culture and traditions are the quintessential representative of the Hindustani culture. 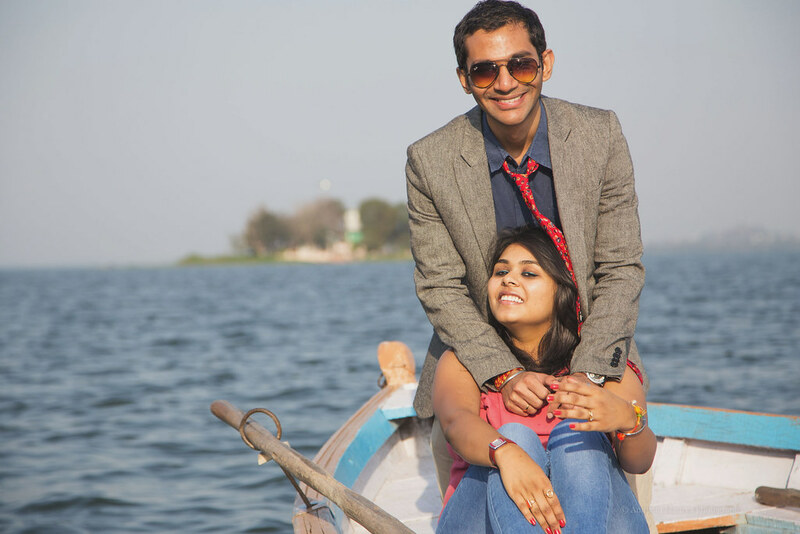 It’s Mughal heritage, evident in its cuisine and iconic dwellings and places of worship in Old Bhopal like Taj-al-Masajid; and one of the largest man-made lakes the Bhojtal built by Parmara Raja Bhoj in 11th century along with various Palaces of the Nawab era, lend it a surreal charm. 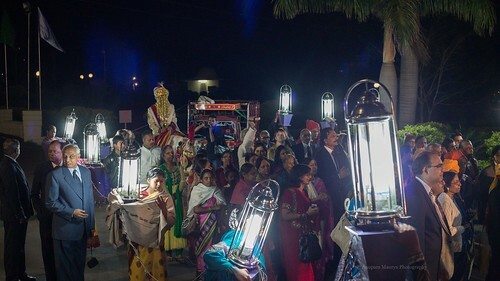 This beautiful city continuing its rich traditions is now a great centre of arts and literature and a premiere hub for education in Madhya Pradesh. If you ever visit this peaceful city, a walk uphill the Shamla Hills and down the Upper-lake along the Boating club is a must. 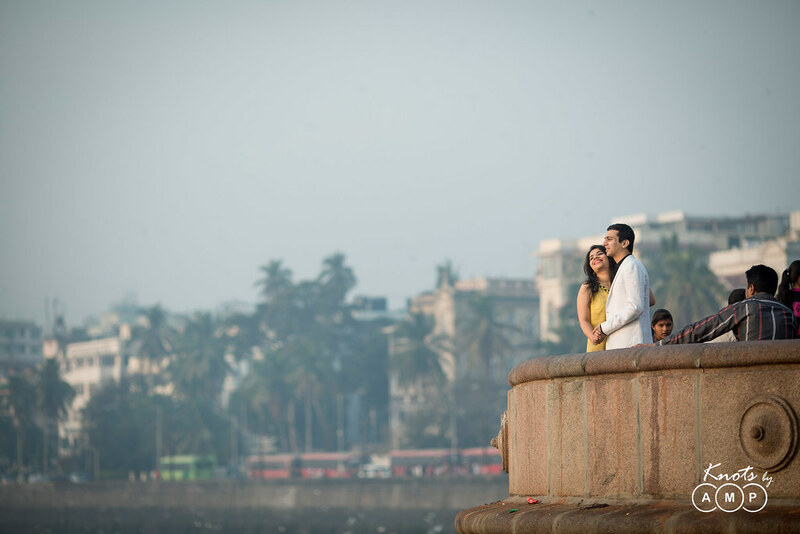 Here you can enjoy a majestic and serene view of the city skyline with small hillocks adorning the skyline with their curves. 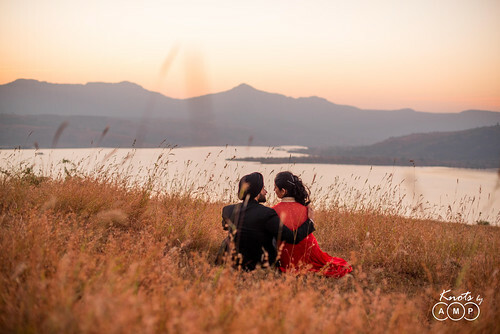 You can pass hours sipping tea at the beautiful high-garden of Noor-us-Sabah Palace enjoying a majestic view of the lake with a picture-perfect sunset. 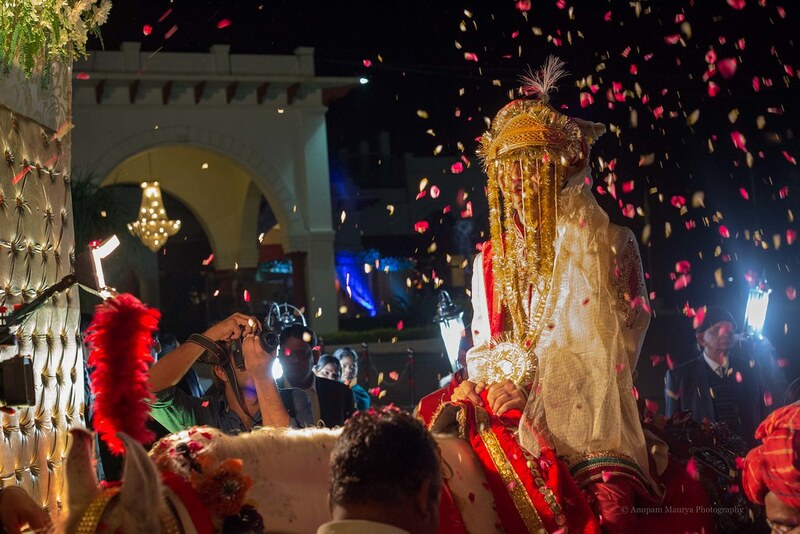 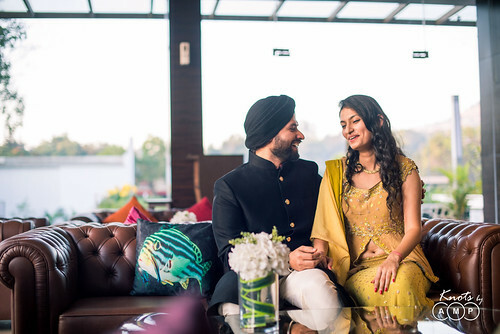 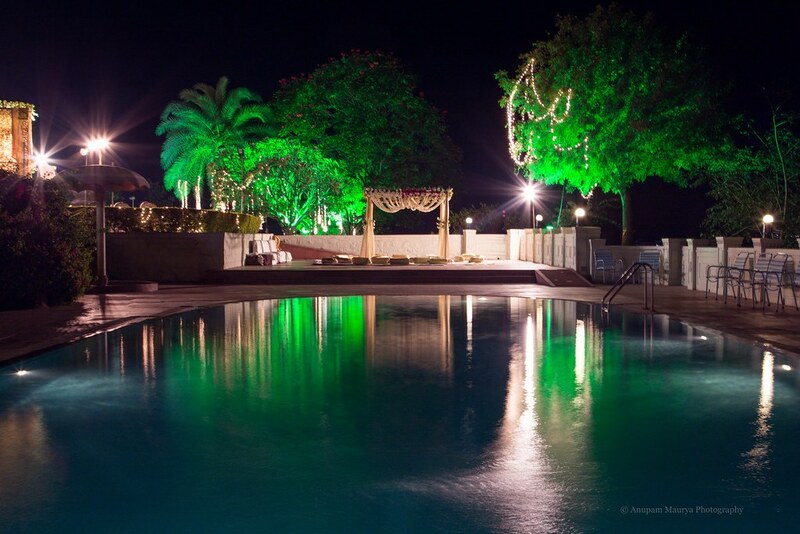 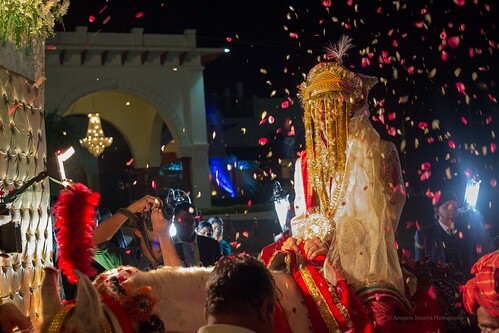 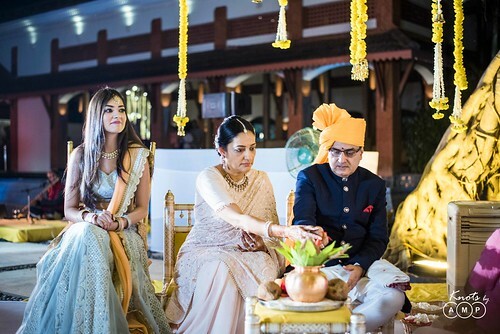 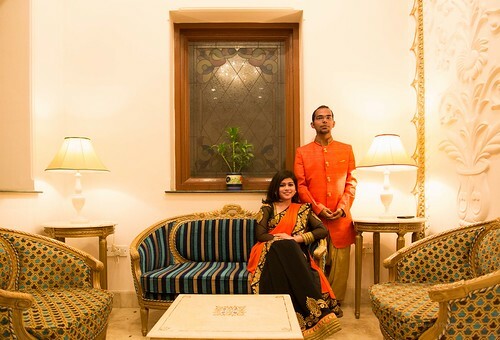 You may not have heard of Bhopal as destination for weddings but it is a beautifully charming place to be with plenty of options of great in-expensive hotels for your guest and royal palaces like Noor-us-sabah or Jehan Numa Palace as the ideal venue for your wedding! 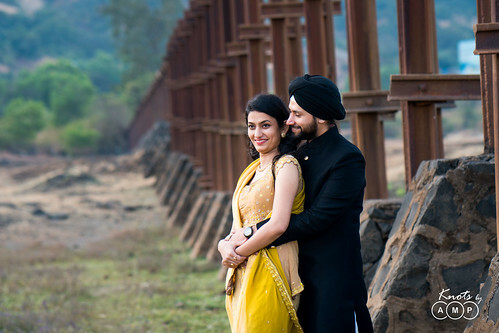 Not to mention Bhopal is well connected with every part of India and its central location makes it all the more lucrative and convenient. So you get our drift, don’t you? 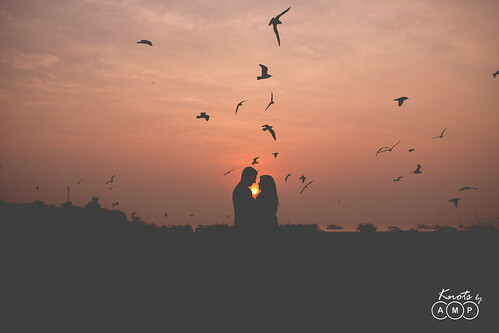 We love Bhopal! 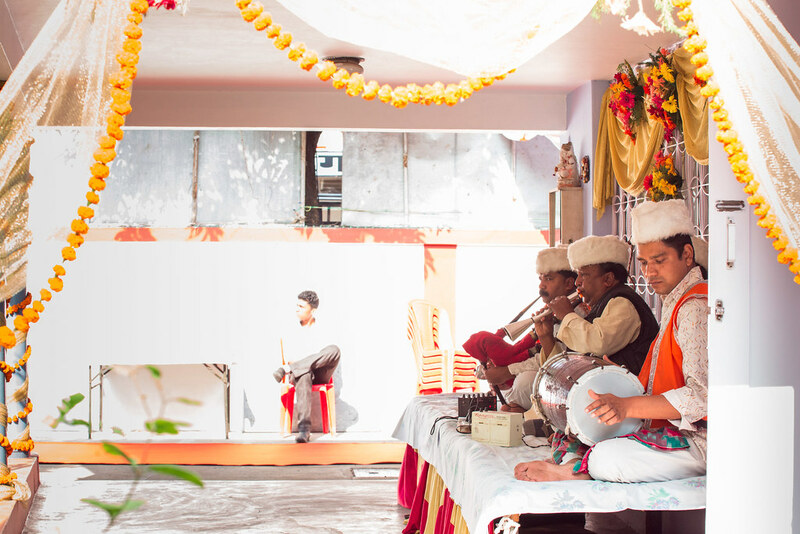 Our first stop was Rachit’s grandparent’s bunglow where we were welcomed by the melodious Shehnai musicians who sat on the front porch. 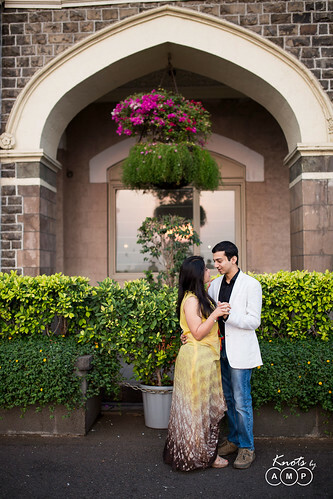 With white walls and a lovely garden with a mango tree, it was a house straight from the story-books. As we entered it where Rachit’s brother Arpit was practicing dance with women folks for one of the performances for the next day’s Sangeet night. 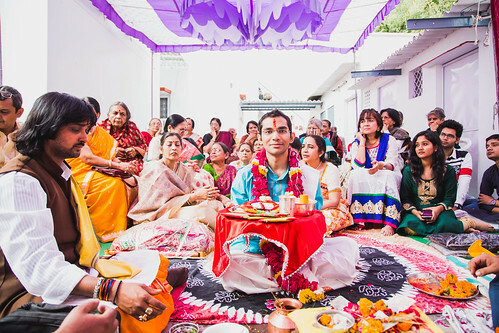 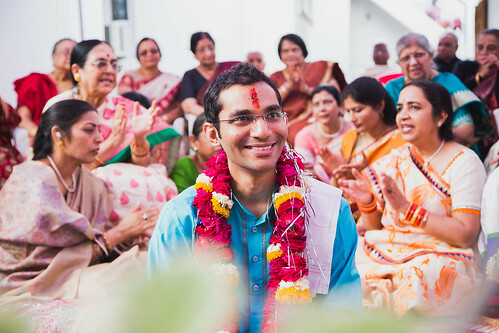 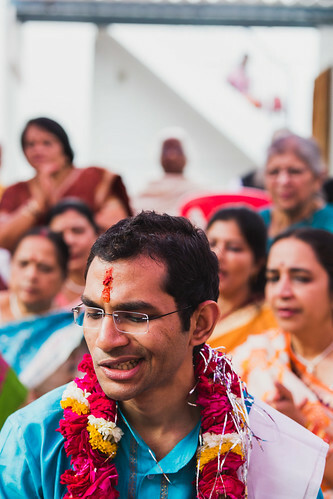 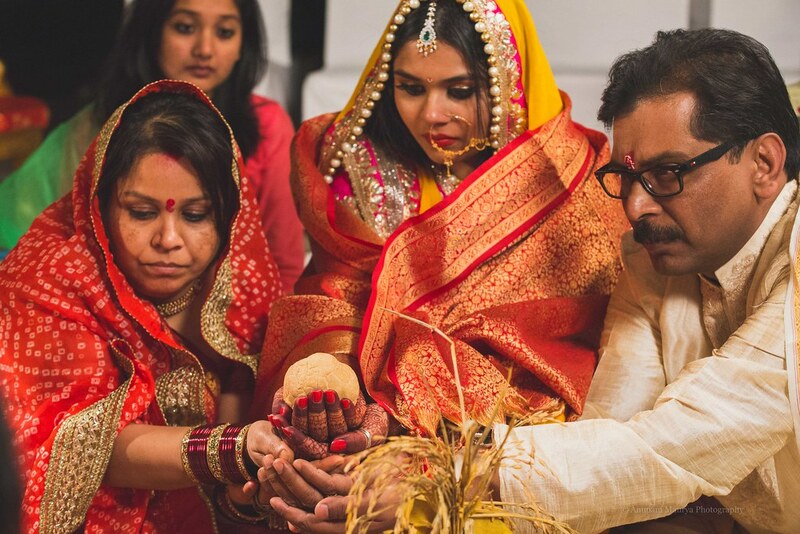 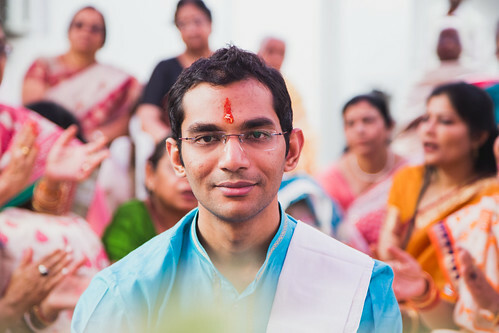 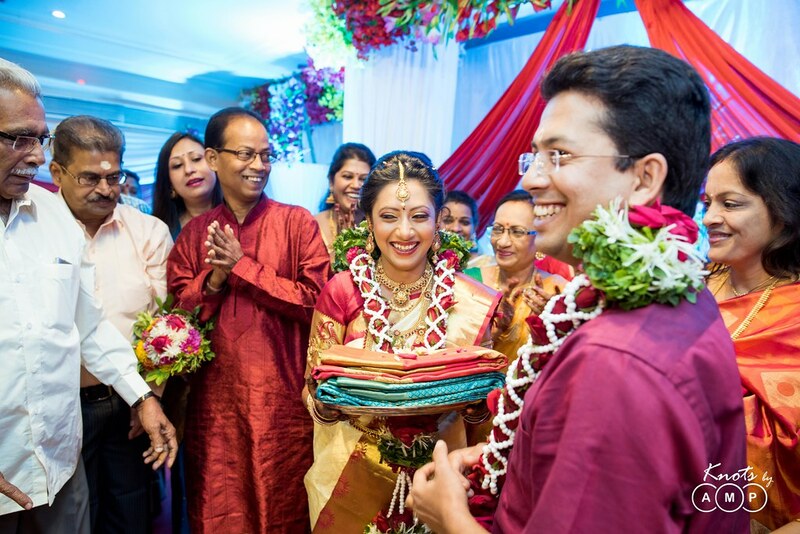 The next day early morning started with the Tilak ceremony where the bride’s brother came with gifts and the two families bonded well, there was also a small pooja. 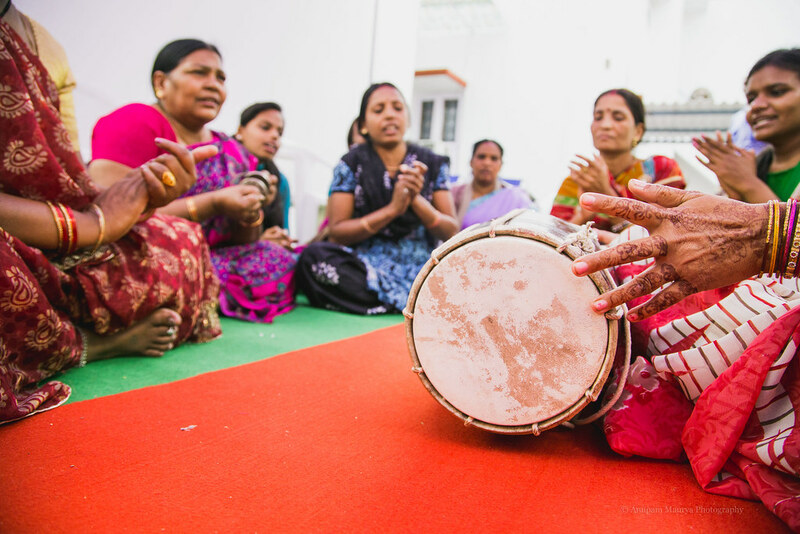 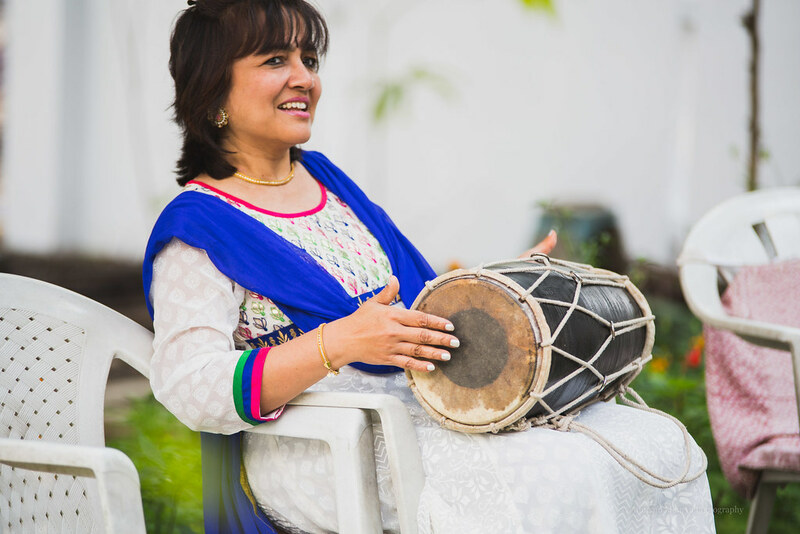 The women folk sat singing and playing the dholak. The afternoon light filtered through the white and blue pandal with many candid moments made for some compelling photographs. 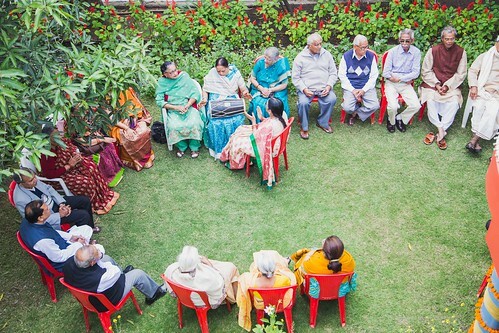 After the ceremony, everyone assembled in the garden and we captured group photos of the family. 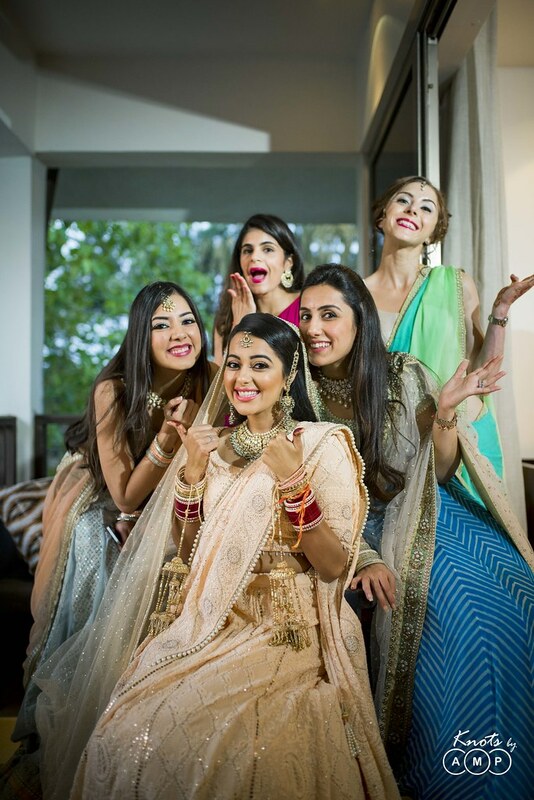 You can only say one word when you look at the group photos — picture perfect family! After a quick time-out and a lazy afternoon of a short nap the sun set down, the sky turned darker and a night of great revelry began. 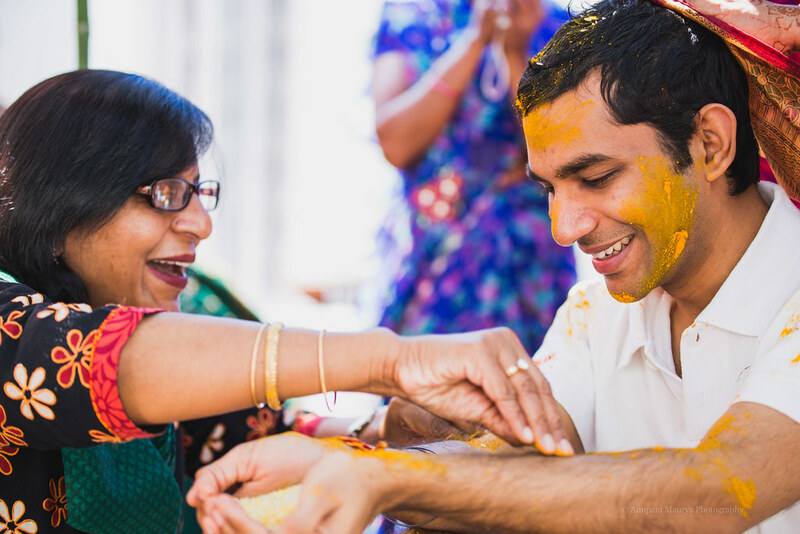 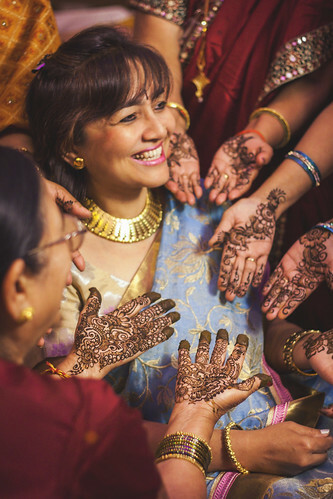 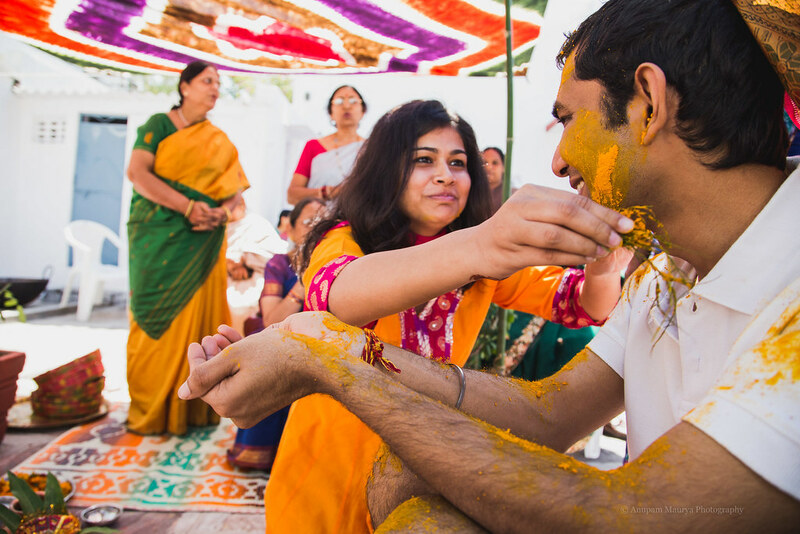 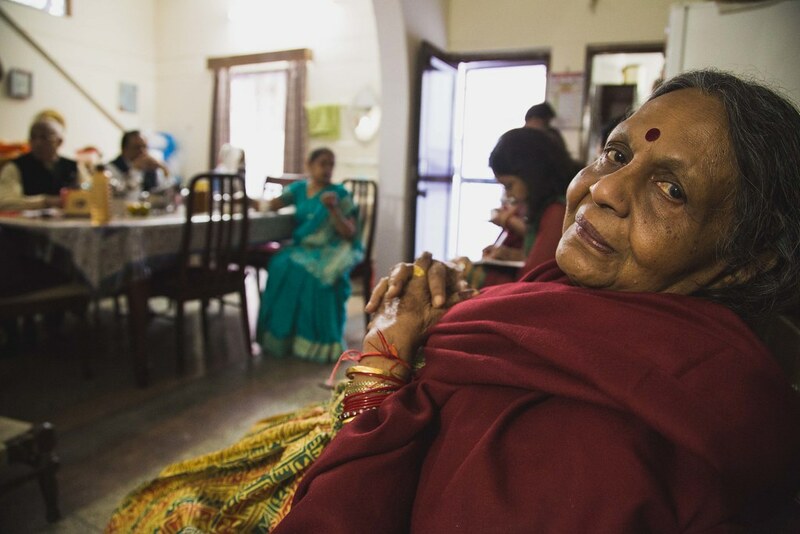 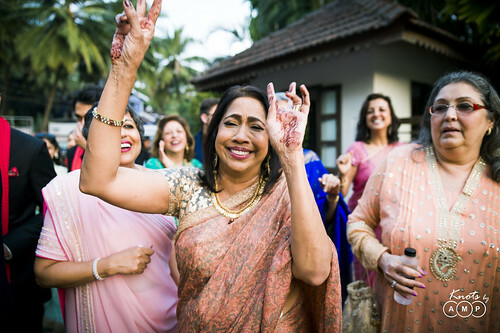 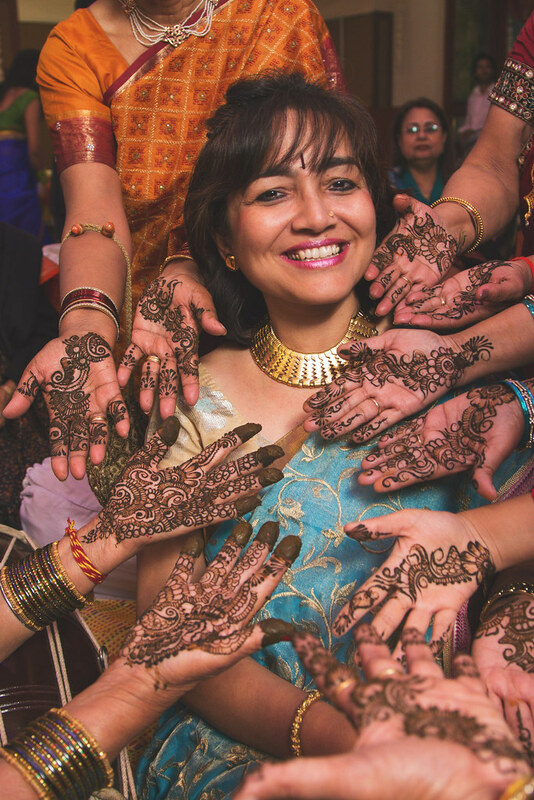 Lovely women huddled up in groups to get their hands colored with Heena while the men cracked jokes and cherished old friendships over drinks and food. With the arrival of the bride and groom the cousins sprung up into action and they took centre-stage. 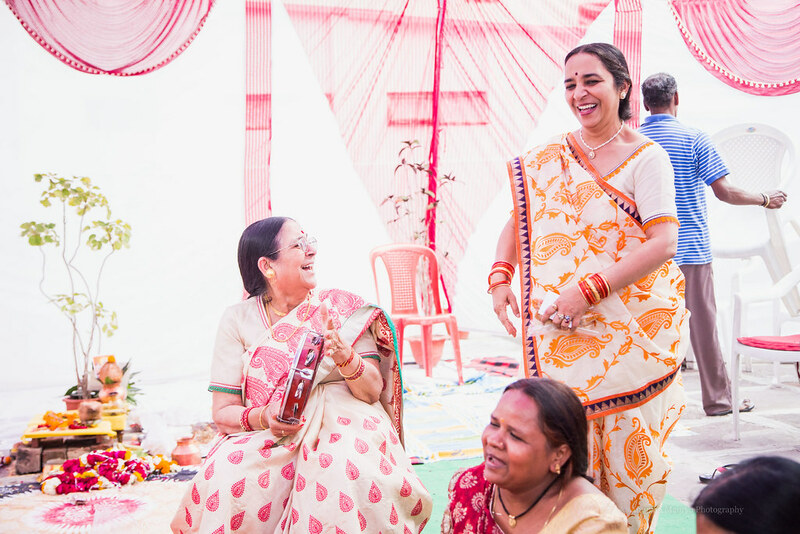 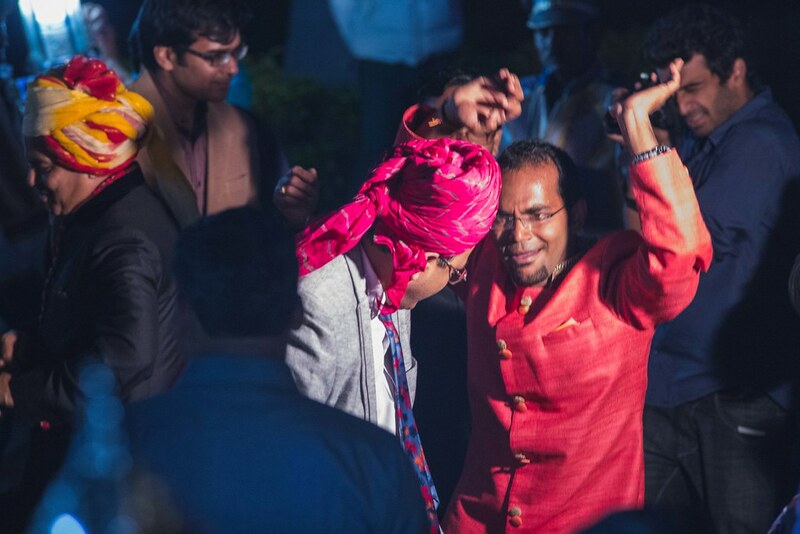 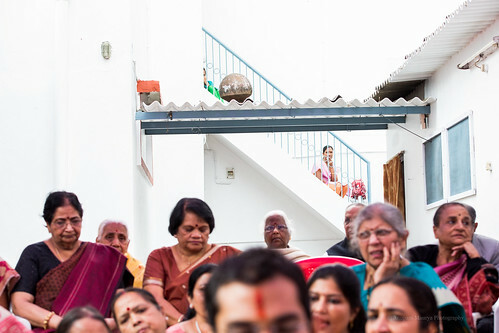 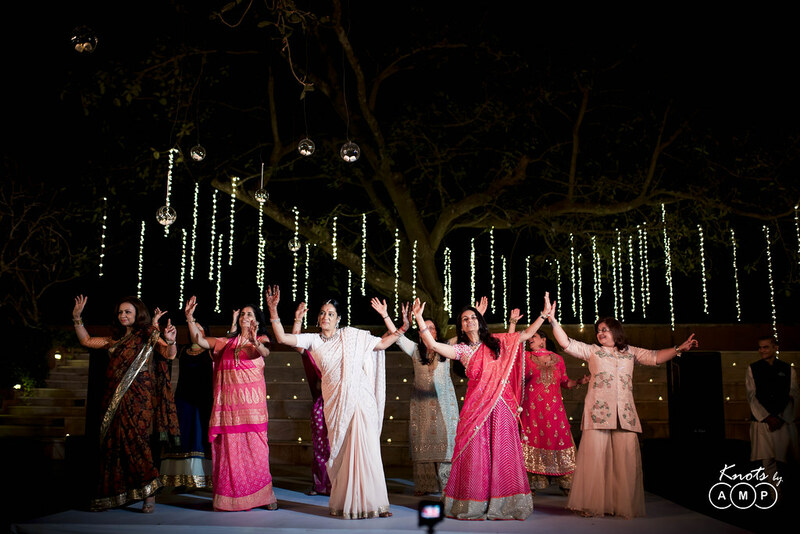 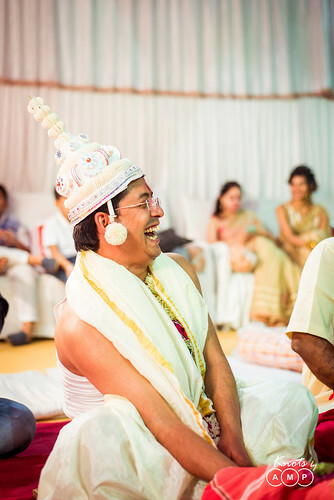 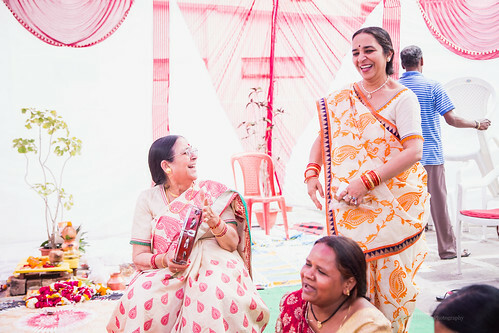 Everyone from masiji to grandparents, from friends to chachaji and even parents danced and sang through the night. 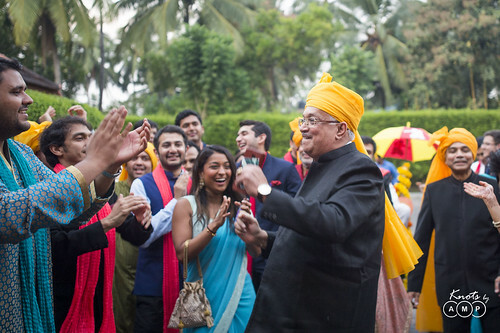 The highlight of the event being Arpit’s Dadaji’s poem and his words of wisdom. 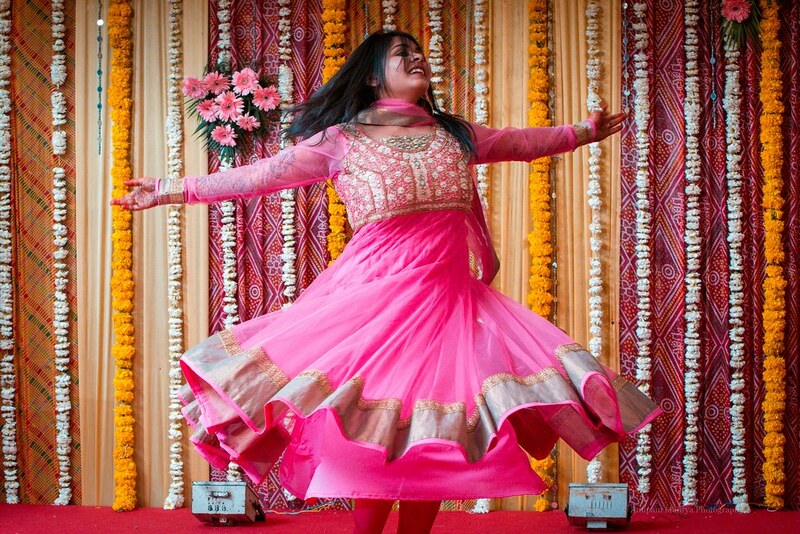 Isha being an expert Kathak dancer delivered a captivating and enthralling performance. Words will fall short but the photographs will truly tell the tale of this beautiful night. The next day early in the morning we headed out to Bhojtal, the grand lake for a small photo-session exclusively with the bride and groom. 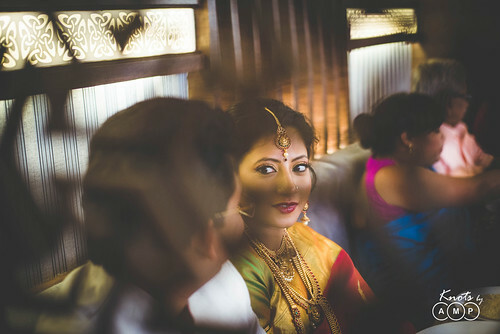 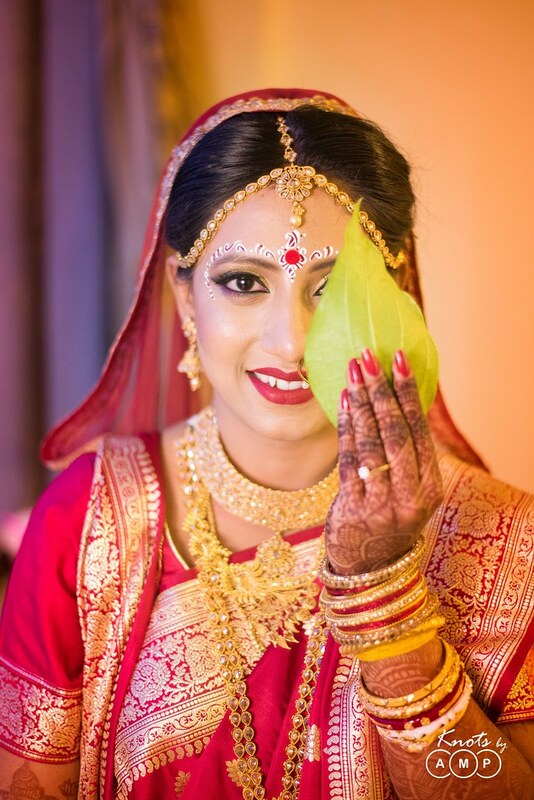 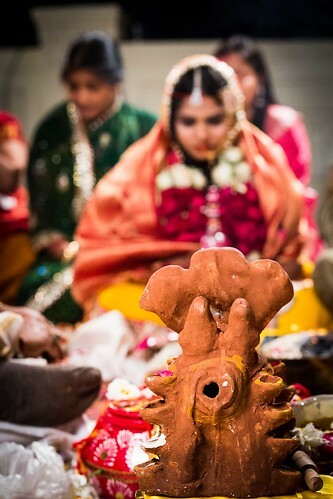 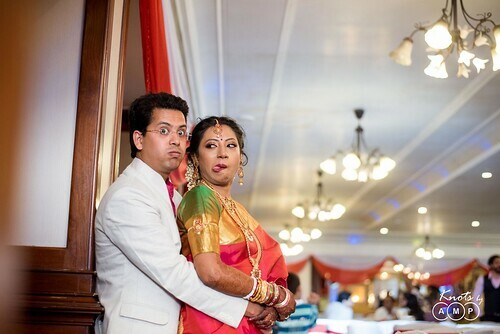 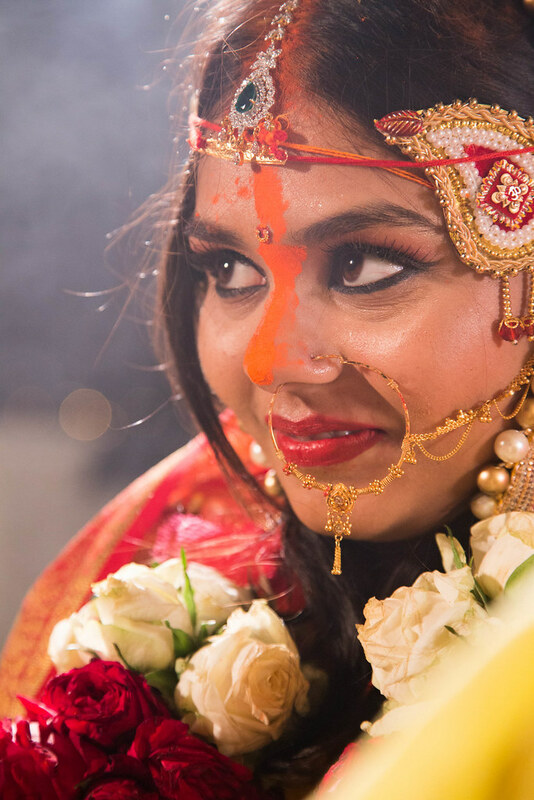 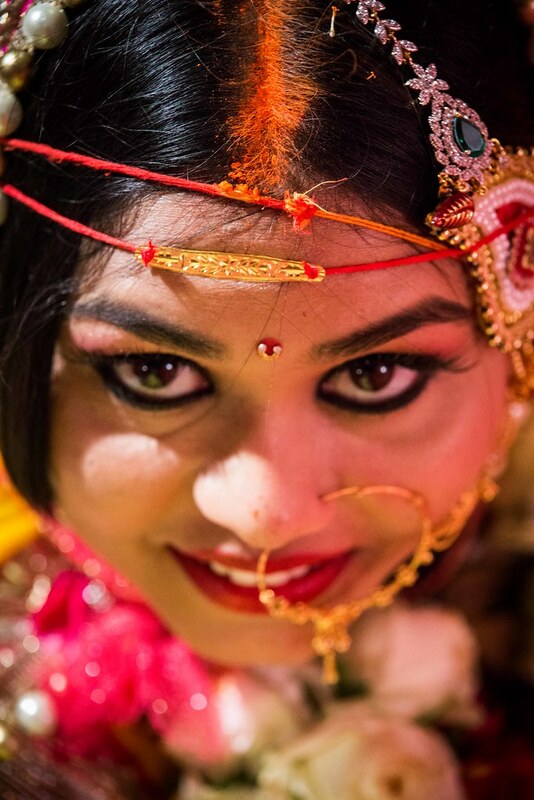 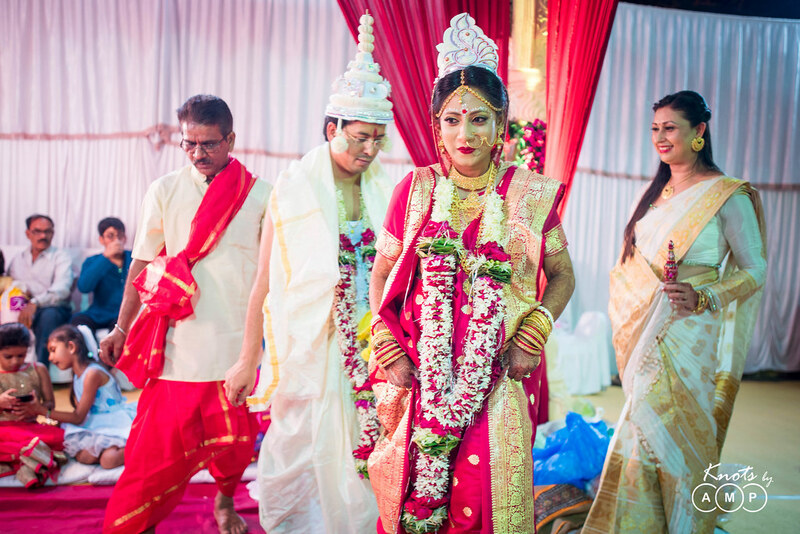 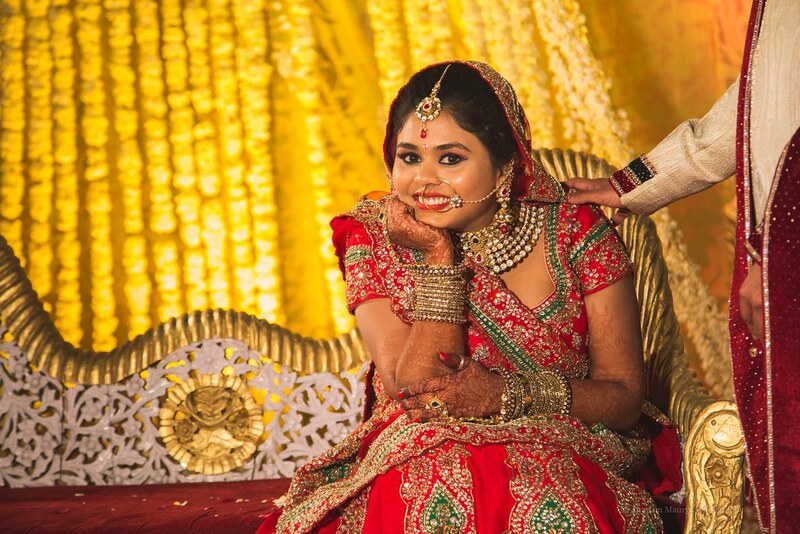 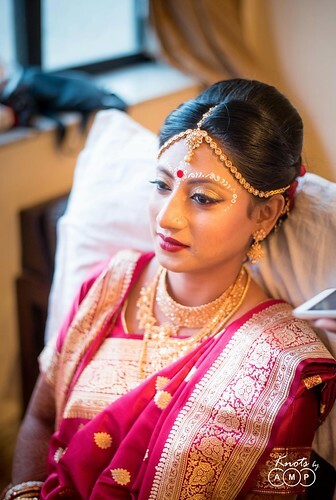 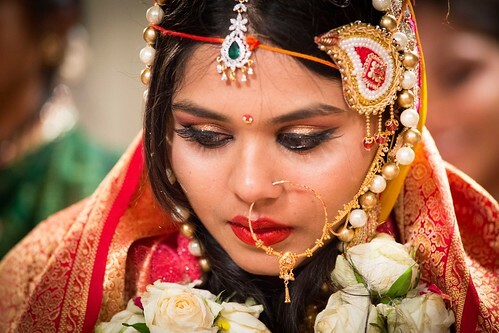 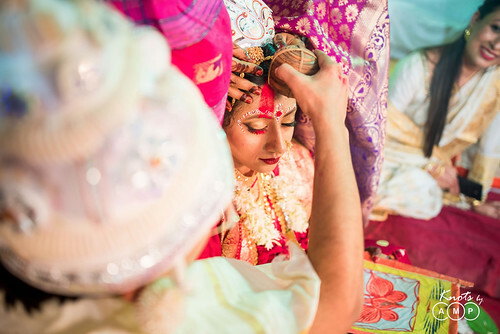 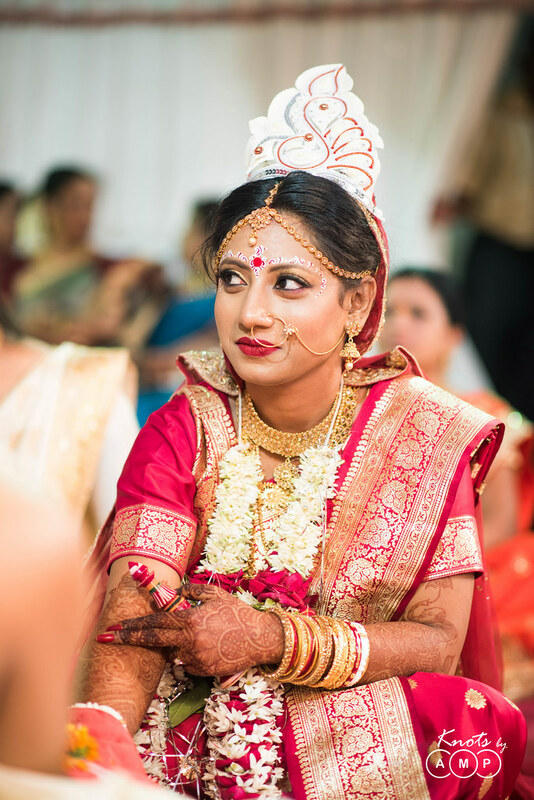 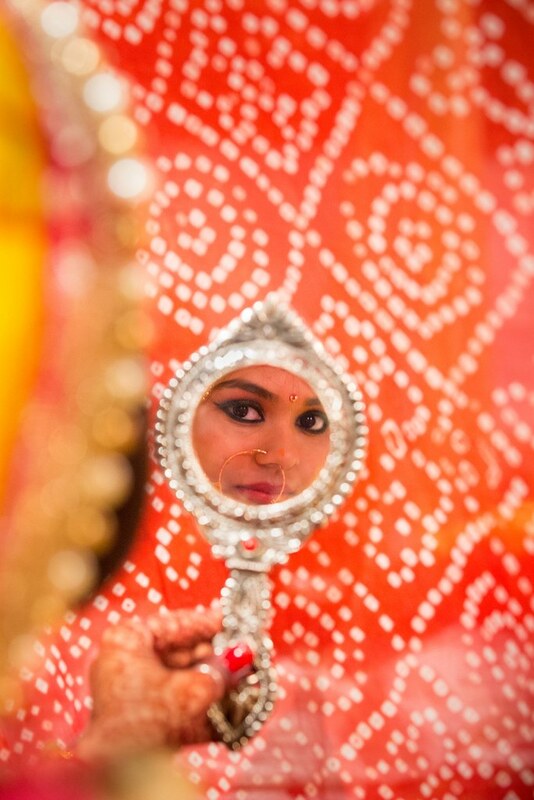 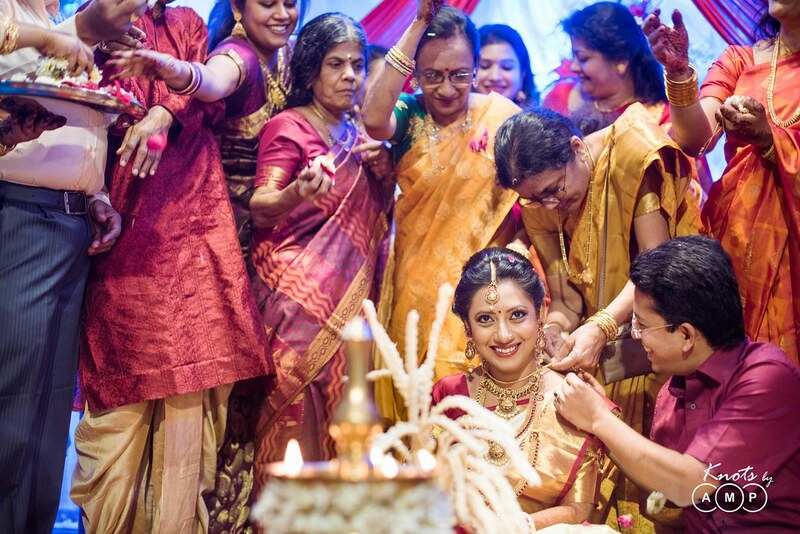 The bride was still half asleep as she barely had any sleep after the eventful Sangeet night. 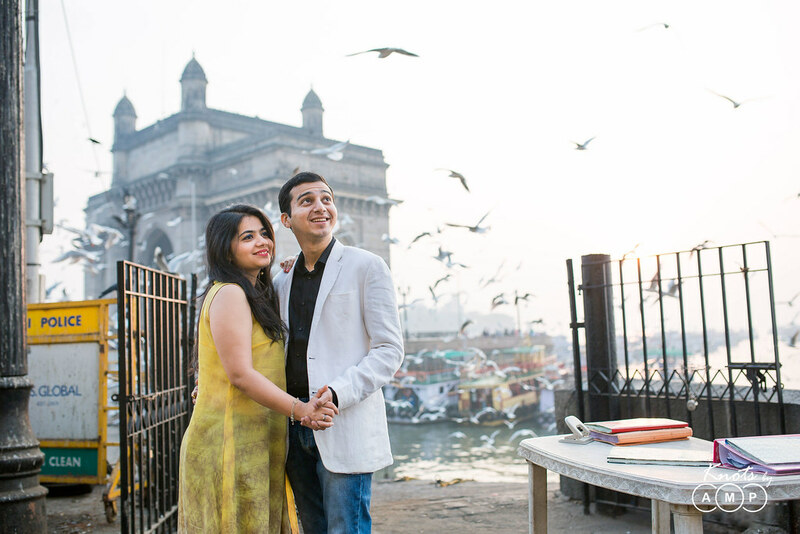 But as we warmed up, they soon started enjoying it and they truly cherished getting up in the morning for some amazing photographs. 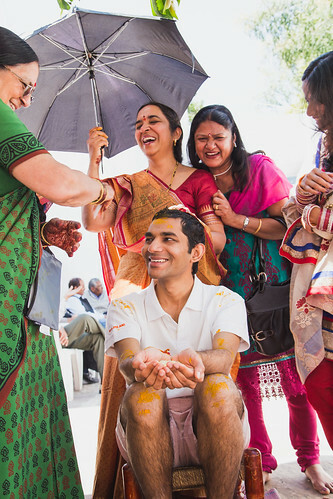 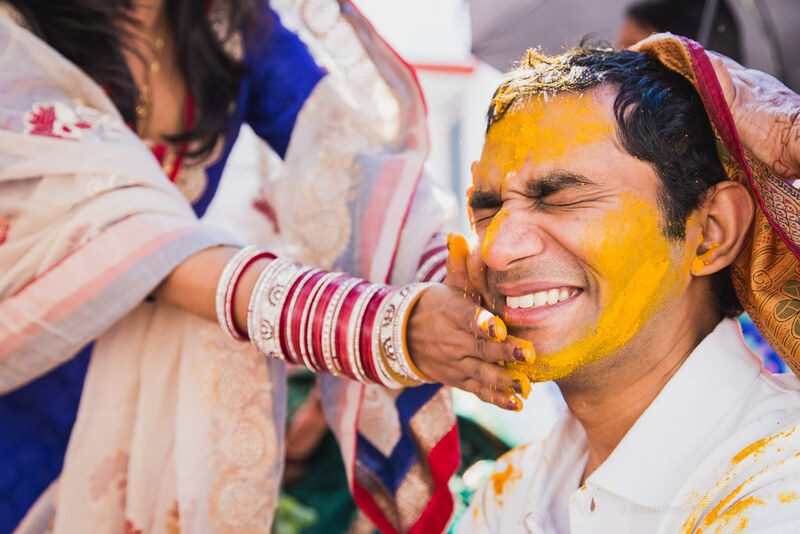 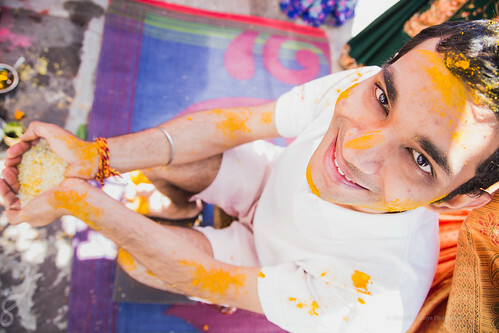 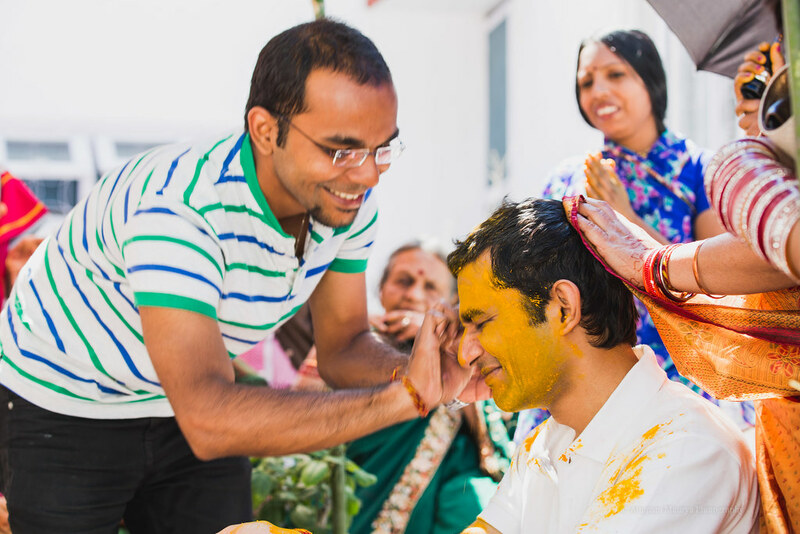 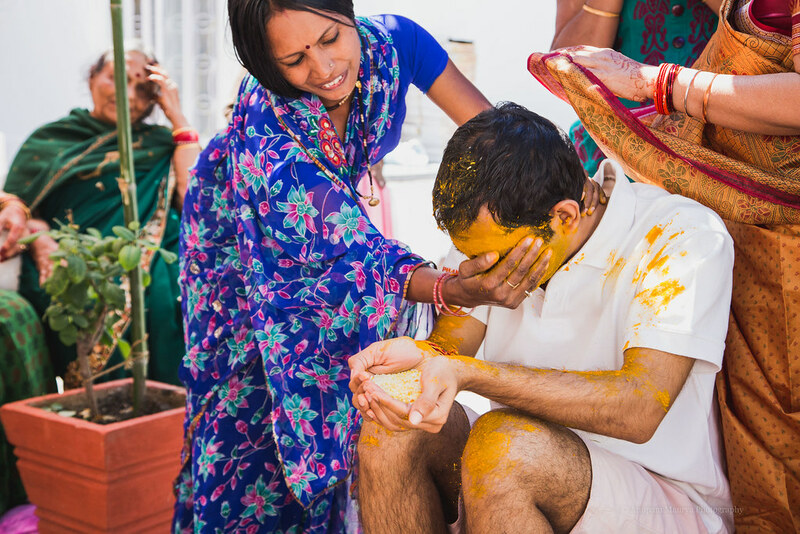 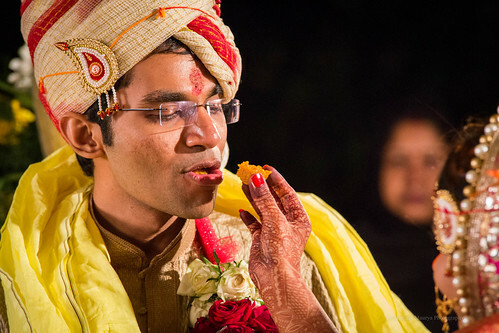 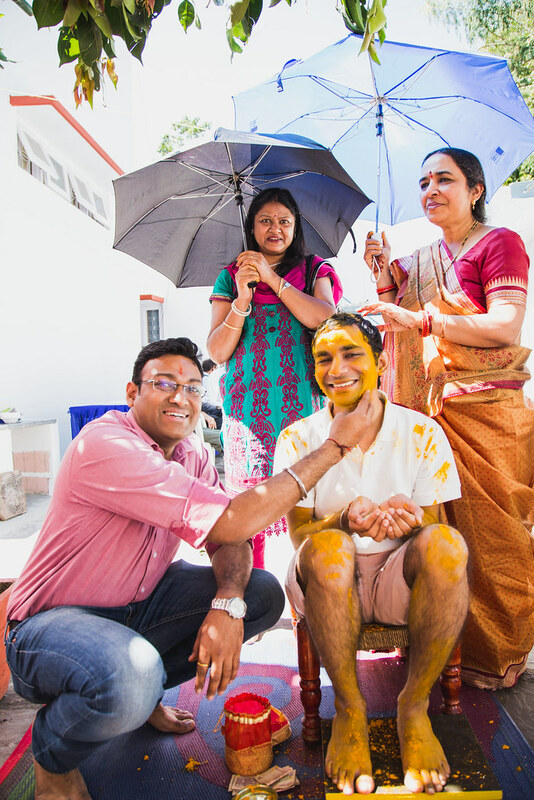 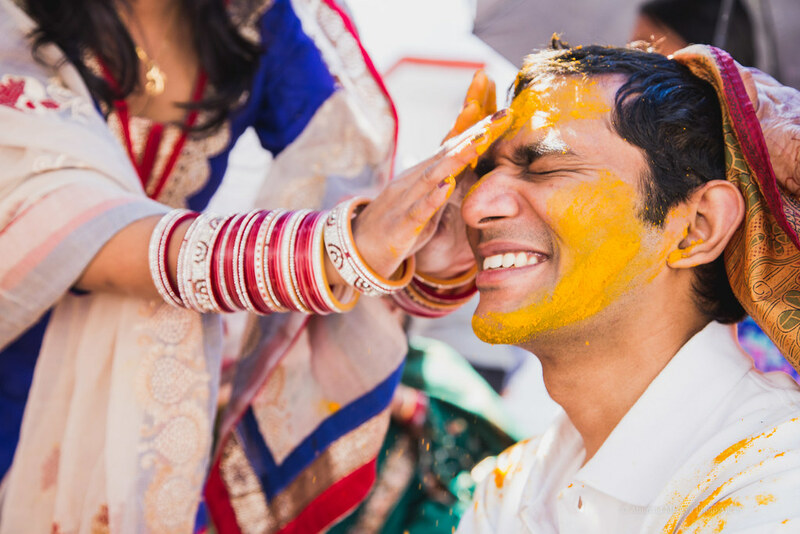 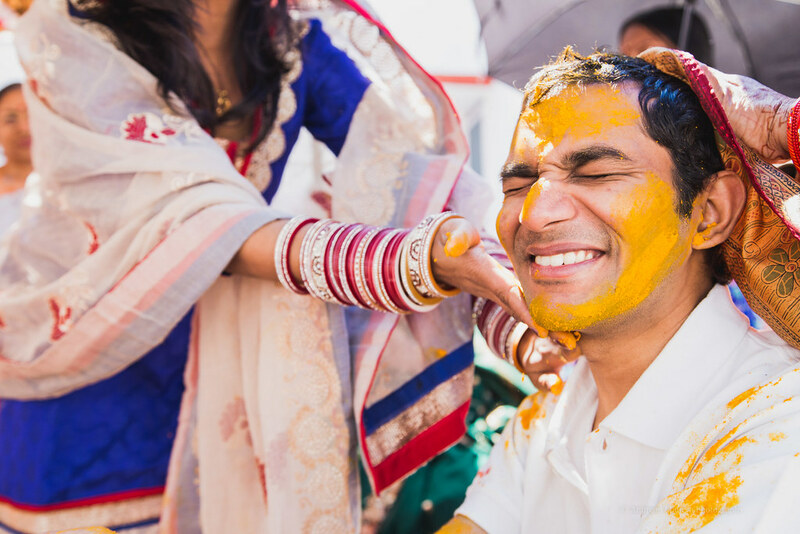 Post the shoot the groom got into whites and everyone had a gala time applying Haldi to him. 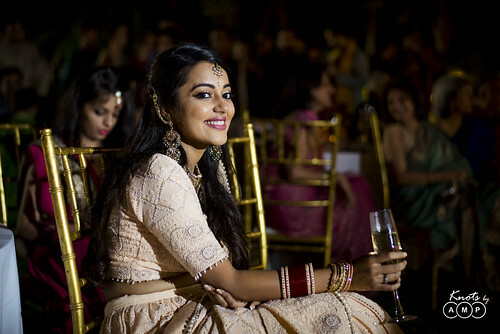 By the end of the function everyone was yellow and we were richer with so many beautiful photographs. There were only a few hours left for the evening when ‘Dulhe miya’ will ride the ‘ghodi’ and ride to his beautiful destiny which awaited him. 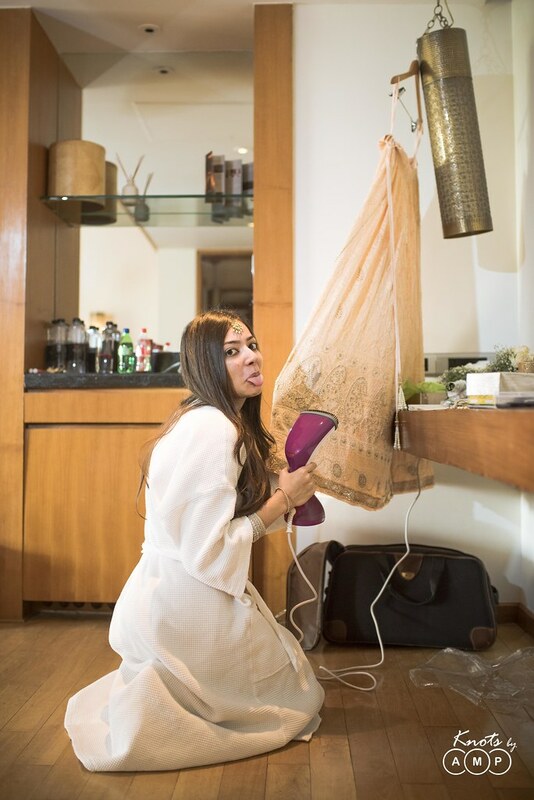 It started with groom getting ready which was followed by ‘Sehra-bandi’. 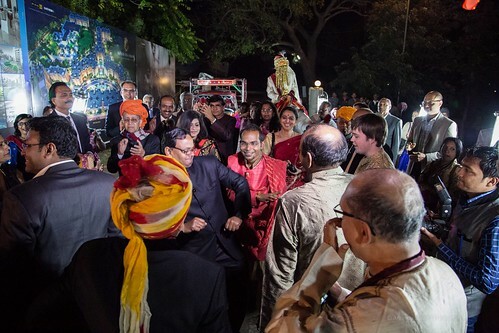 After that the band and entire party left for Noor-us-Sabah where they stopped just out side the gates and gathered for the baraat. 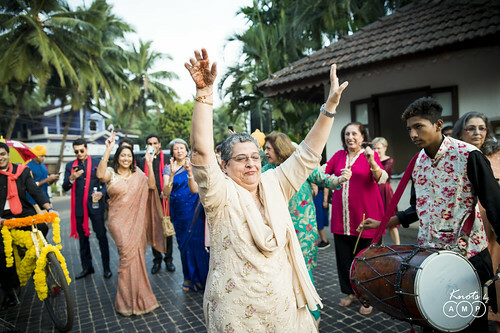 After quick refreshments the banjo, the saxophone and trumpet all glared and friends and family danced in the cacophony of sounds till they arrived at the door-step where they were welcomed by the bride’s family. The garden was laid with beautiful arrangement of the stage for reception and an English sit-out setup in the high-garden of Noor-us-Sabah. 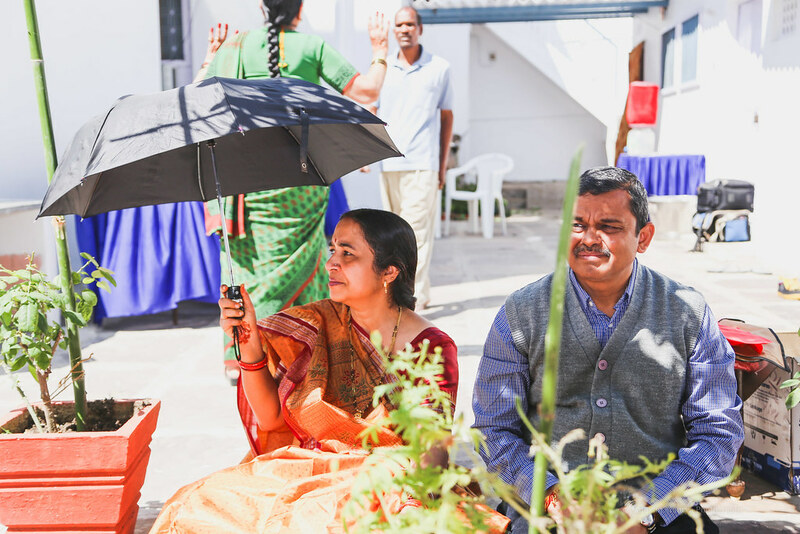 After the reception the ceremonies of the wedding started in a beautiful flower Mandap by the pool. 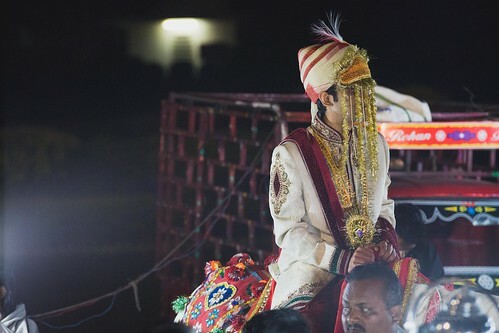 A beautiful setting along with the cold night of February it was a beautiful wedding and the bride and groom looked amazing in their traditional attires. 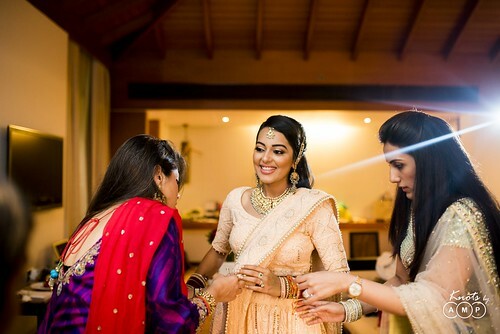 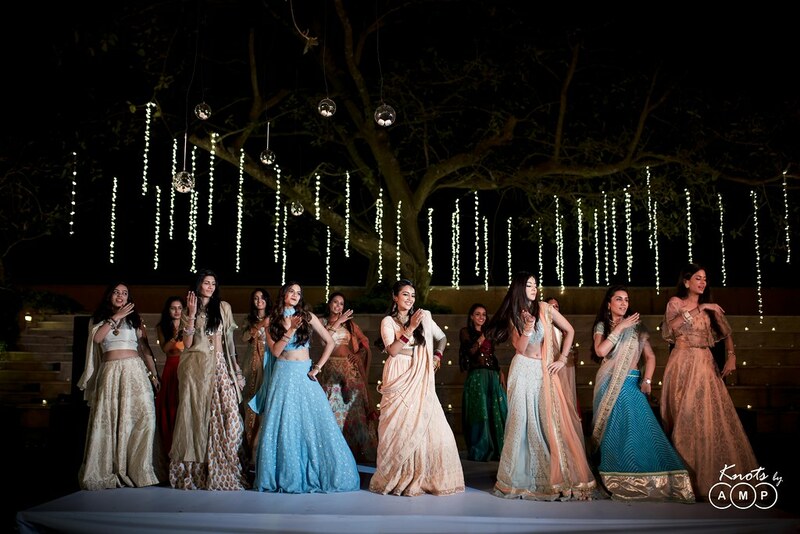 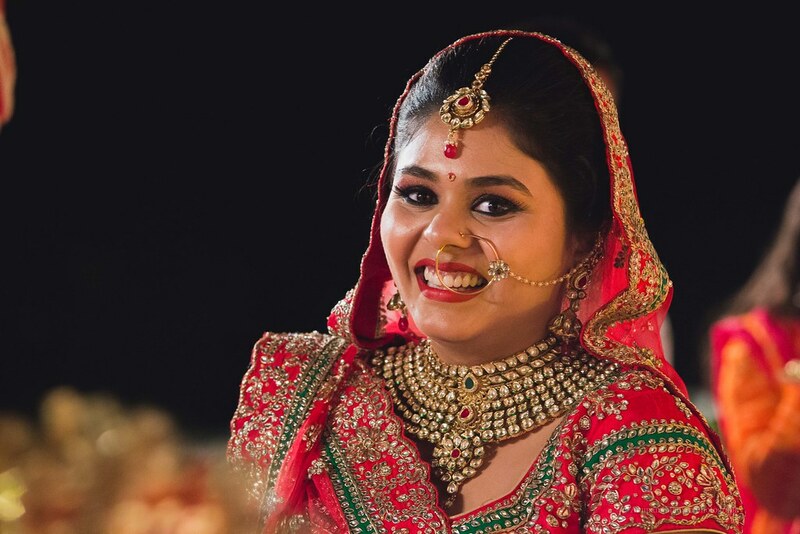 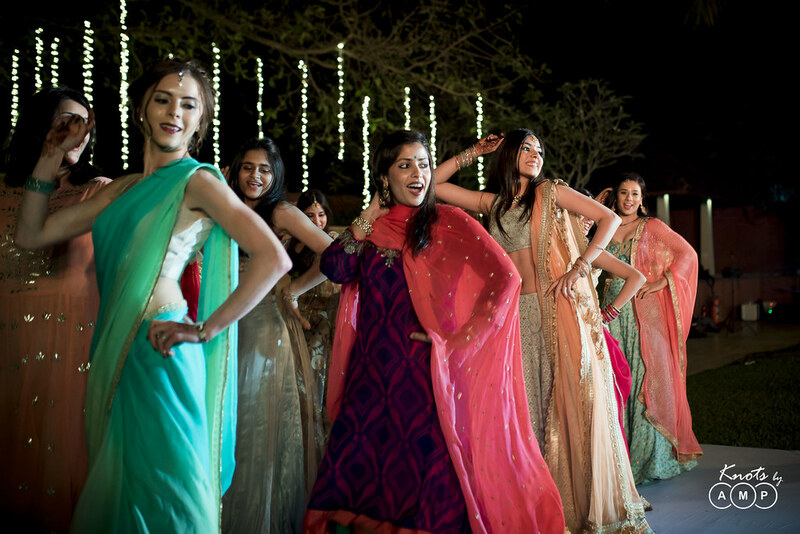 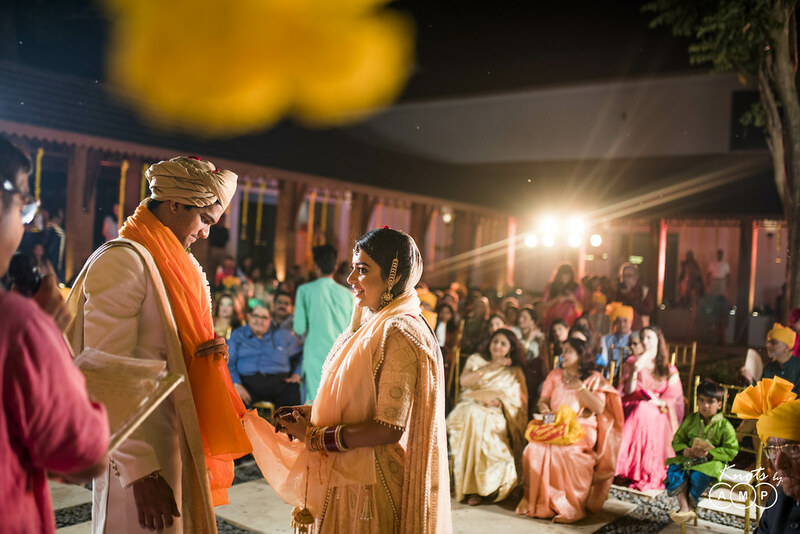 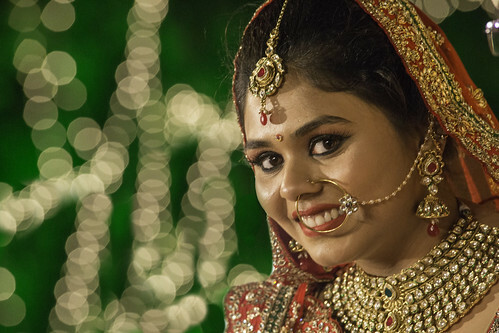 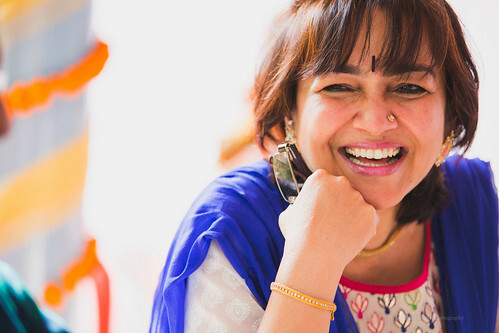 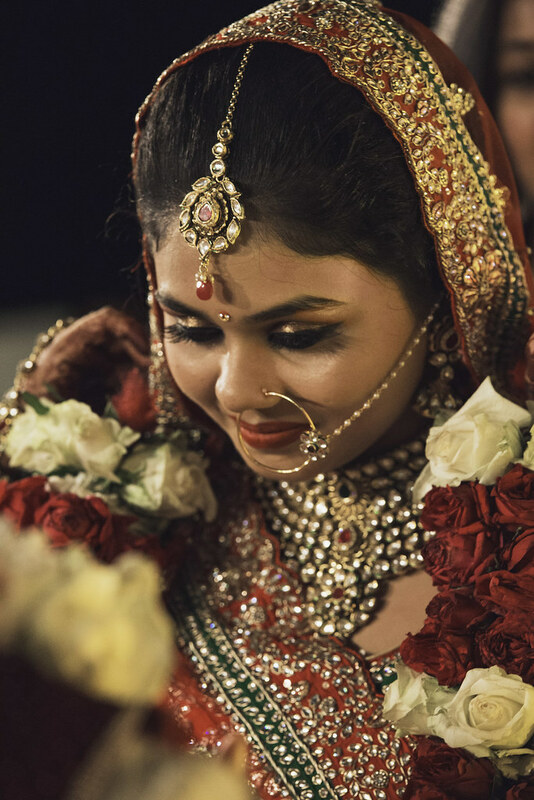 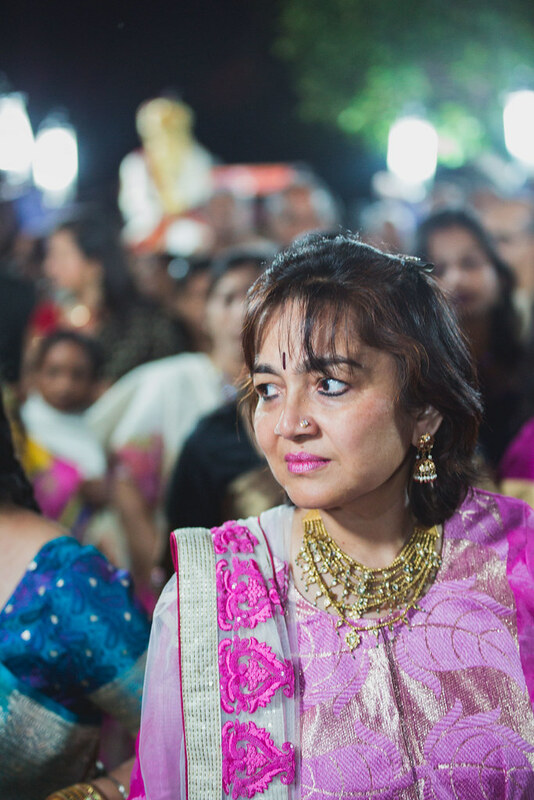 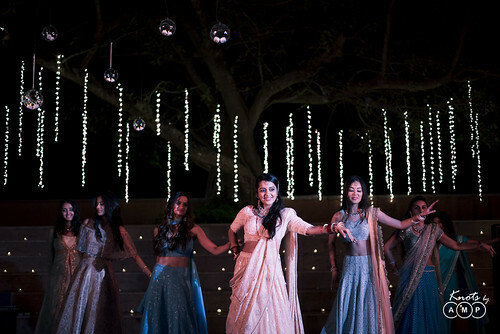 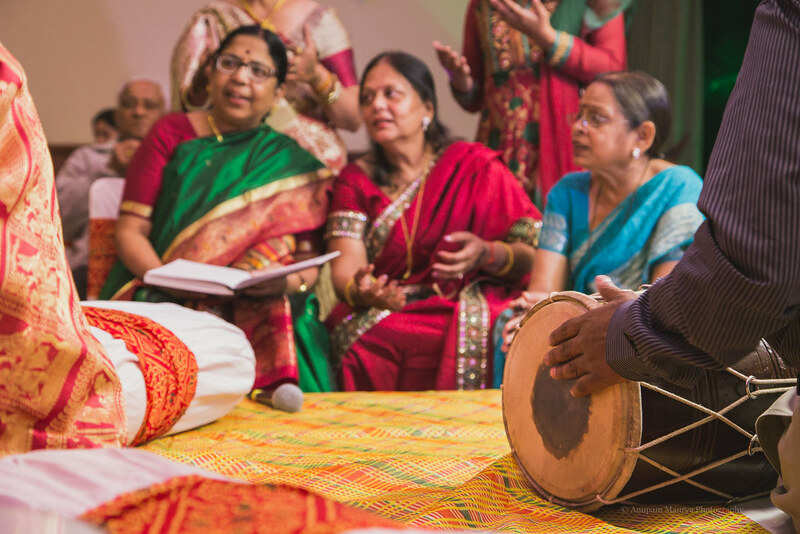 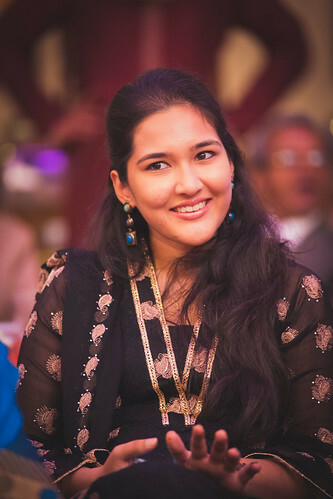 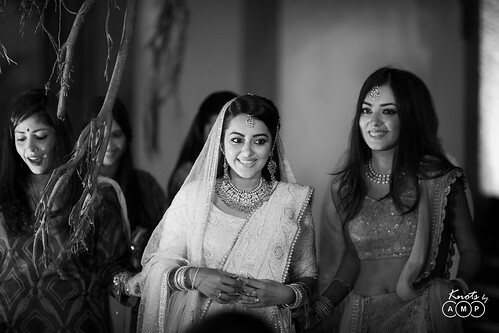 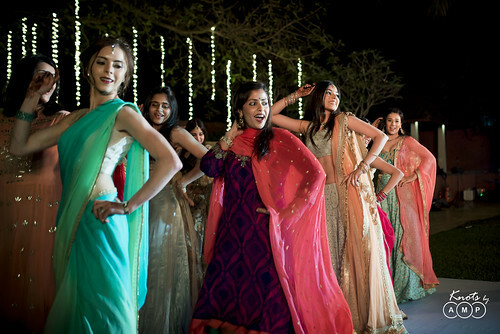 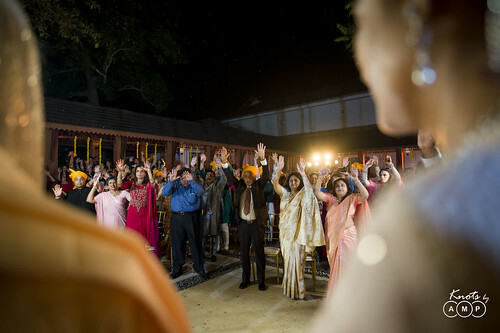 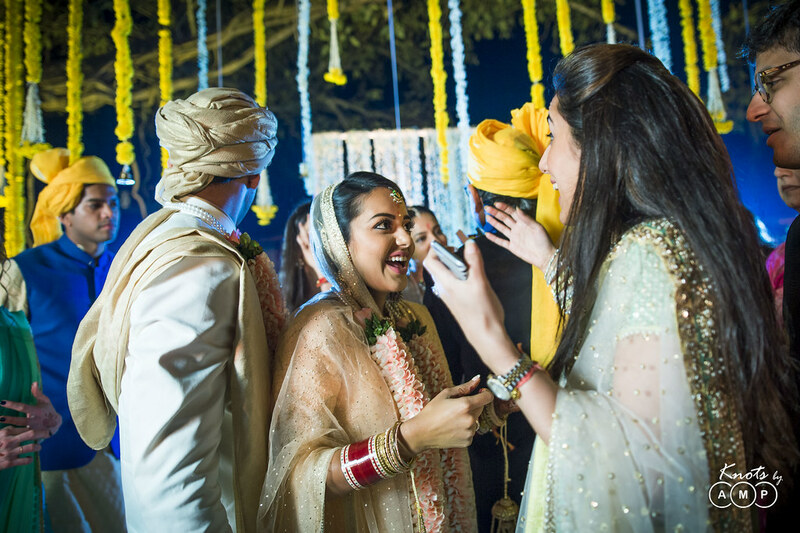 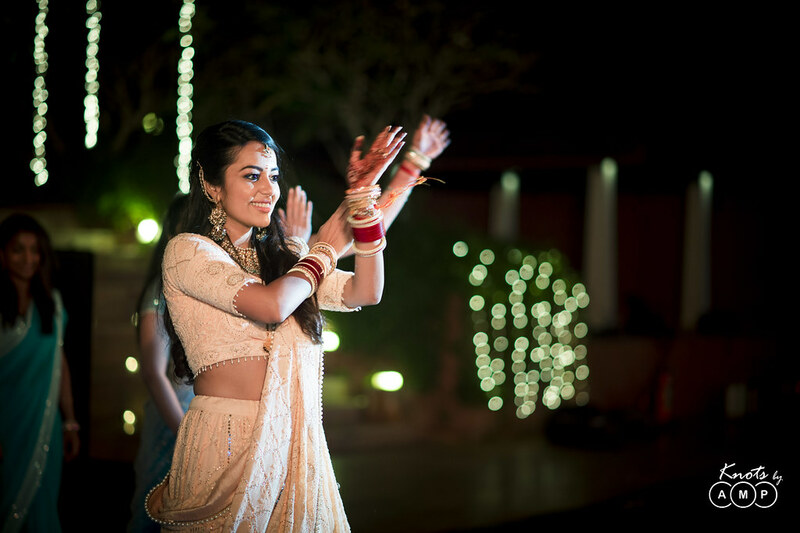 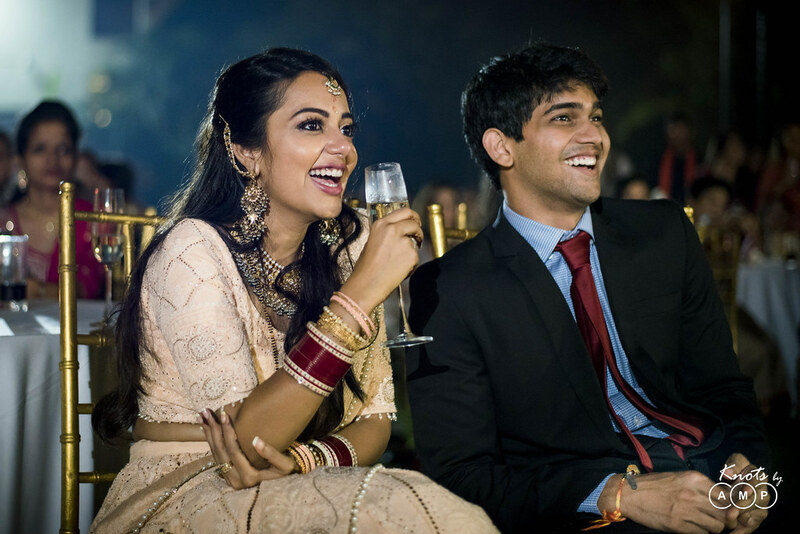 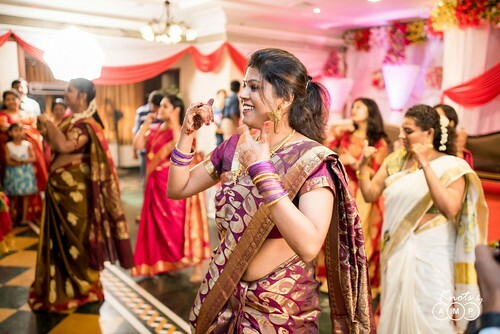 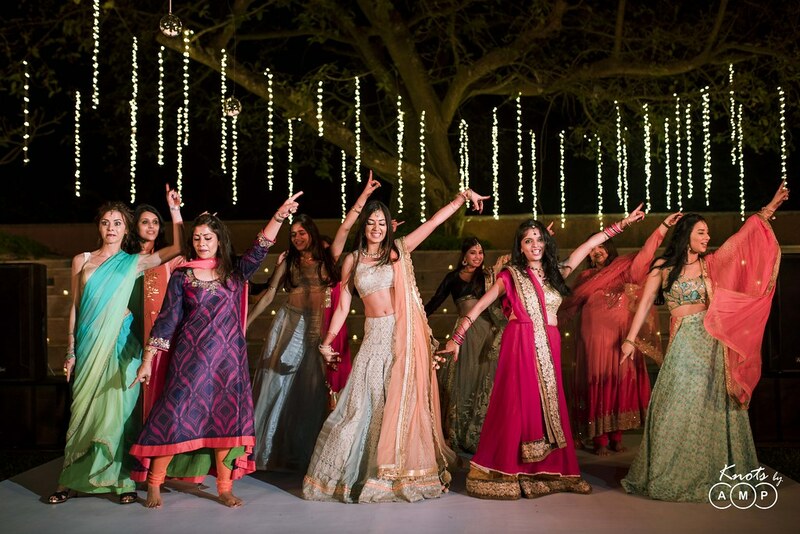 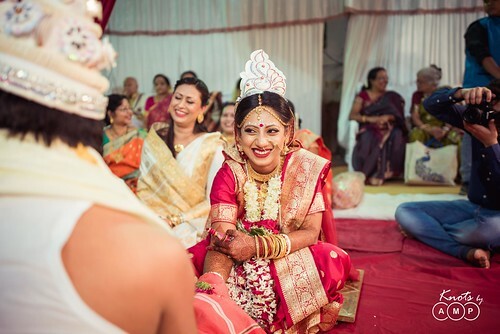 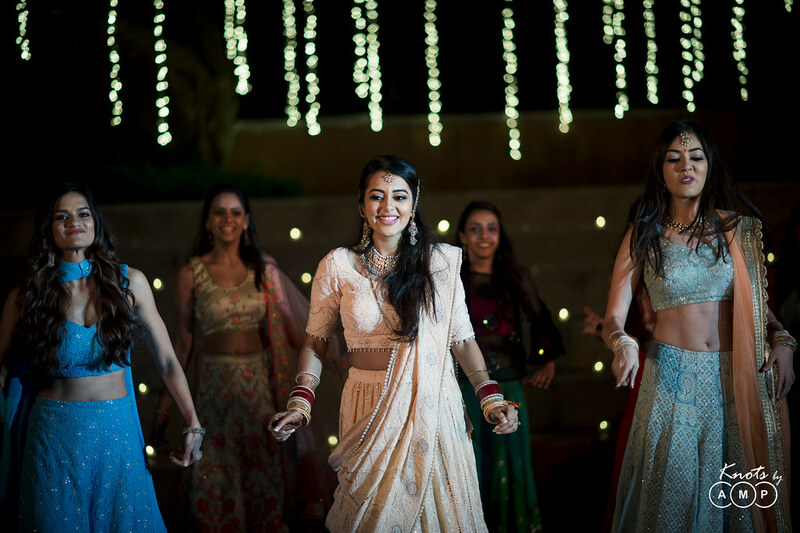 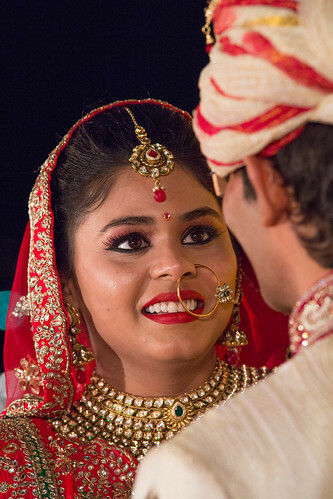 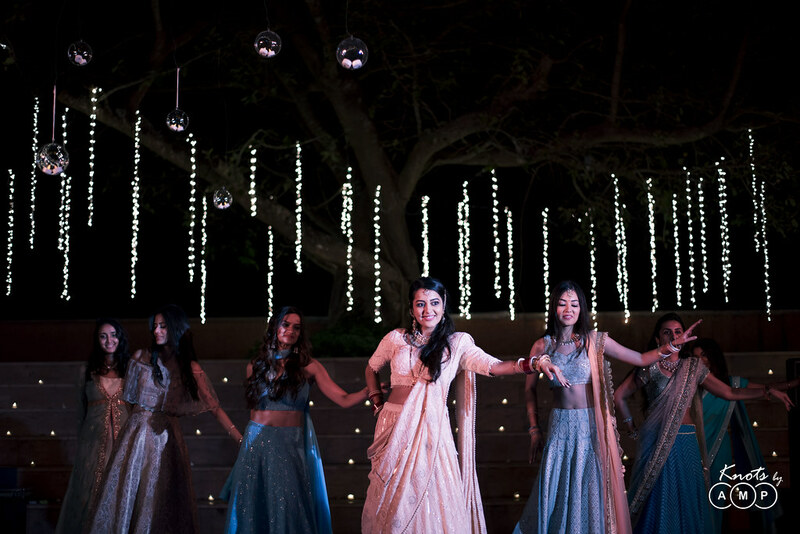 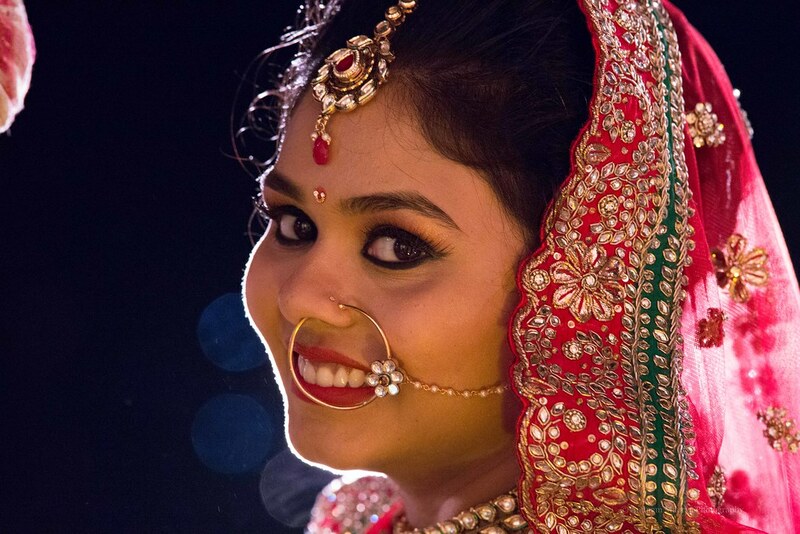 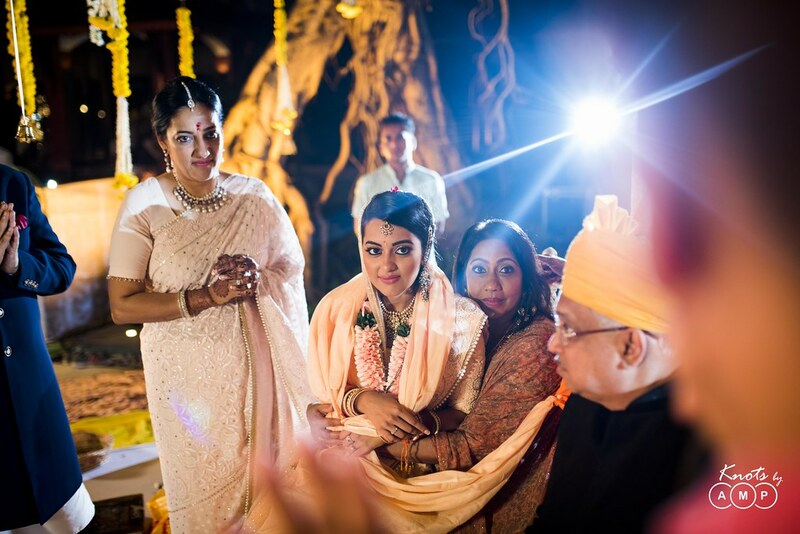 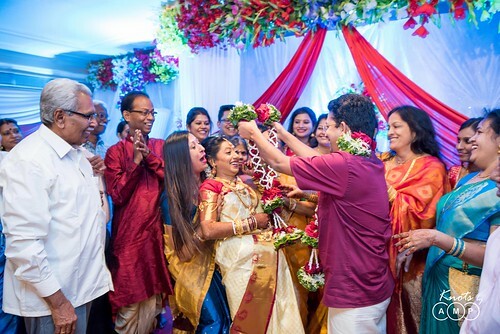 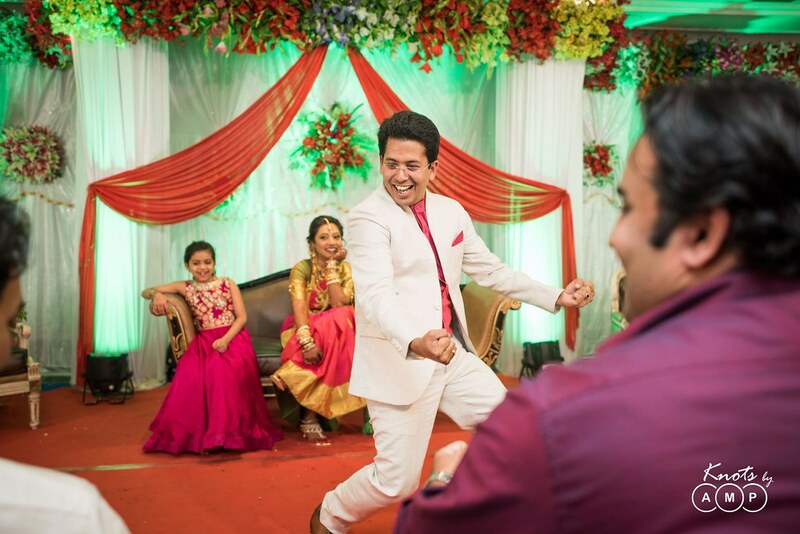 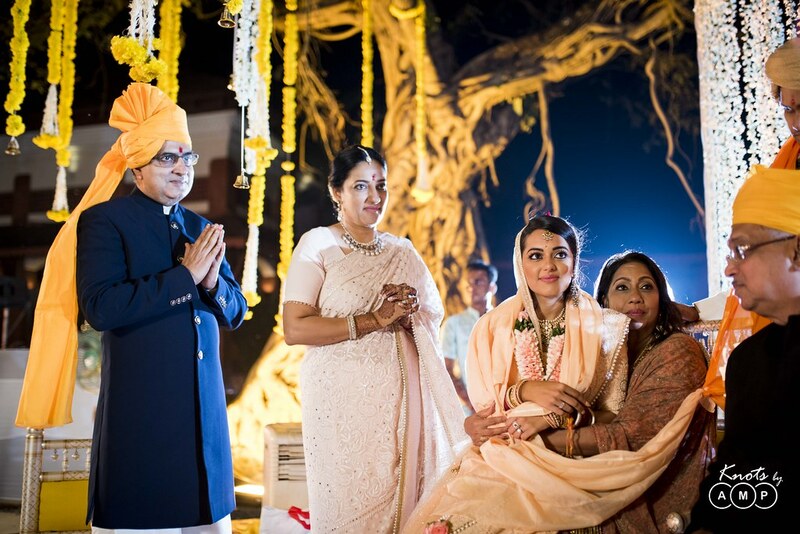 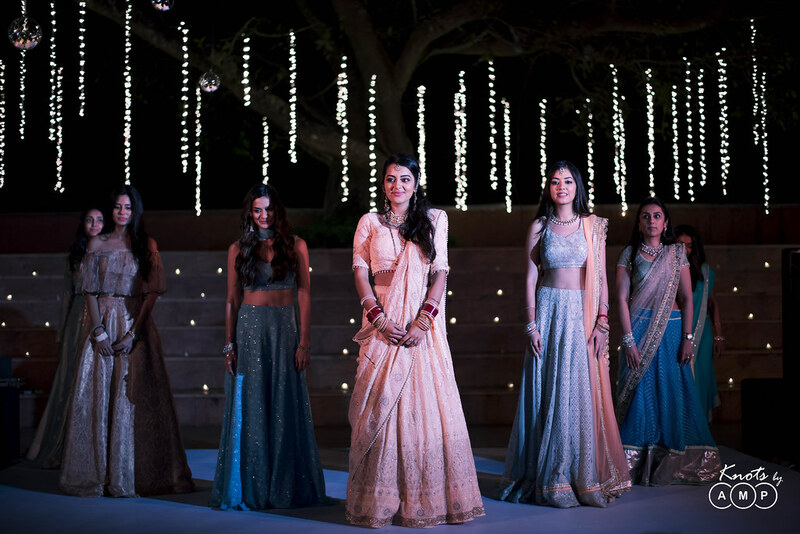 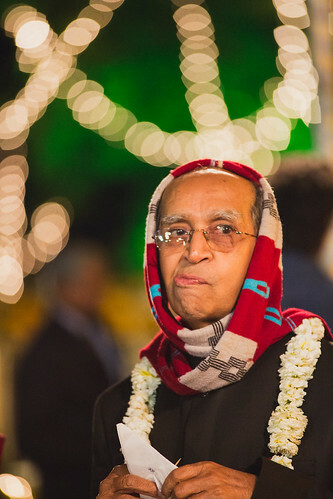 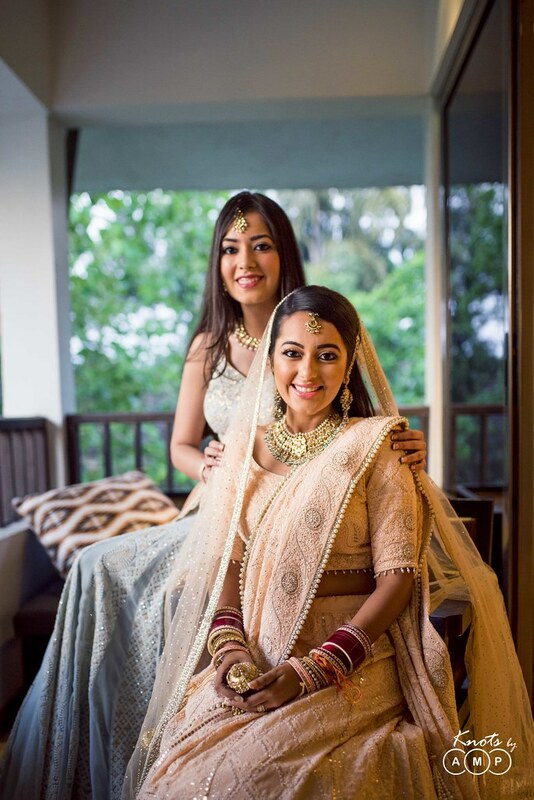 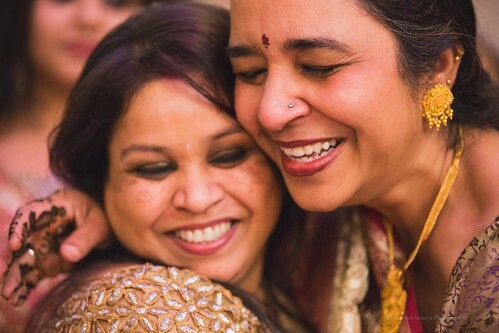 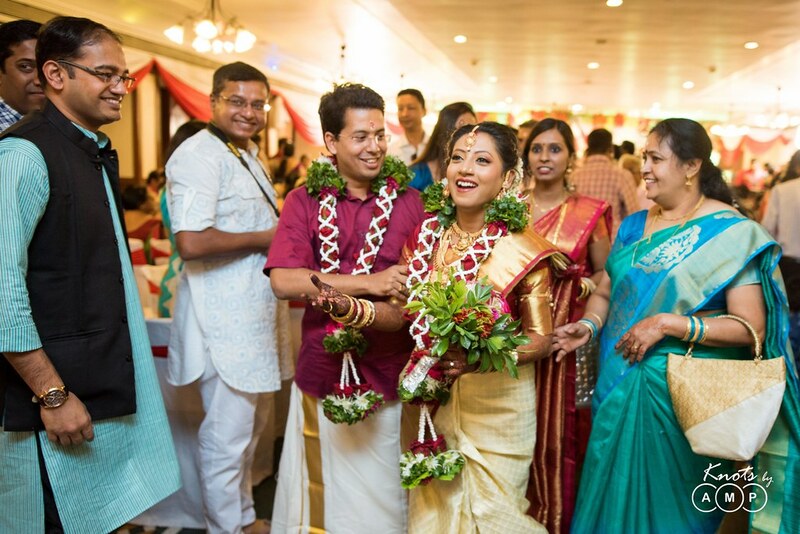 It was a late-night wedding where the women sang emotional folk-songs, hilarious self composed numbers on Bollywood music and teases which kept every one entertained throughout the wedding. 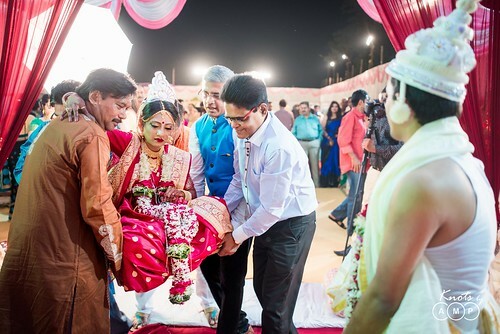 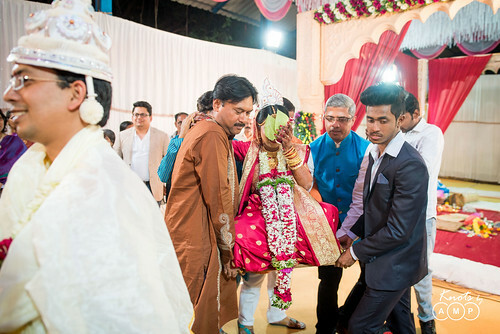 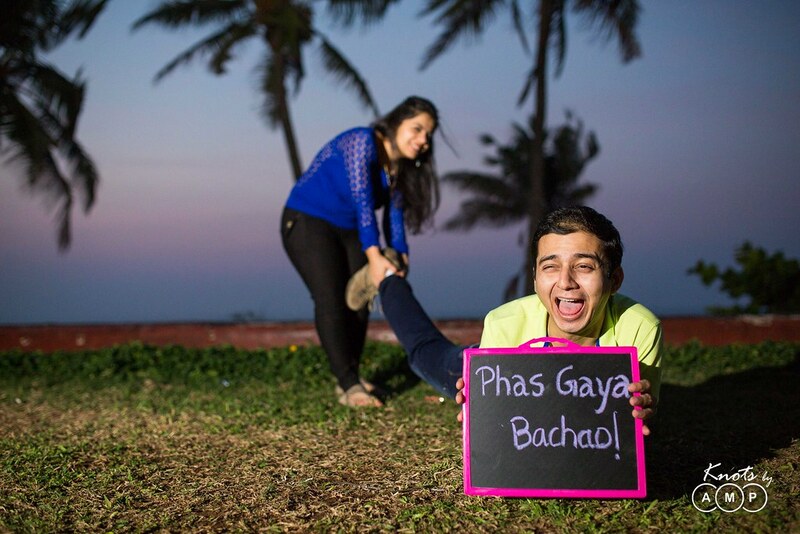 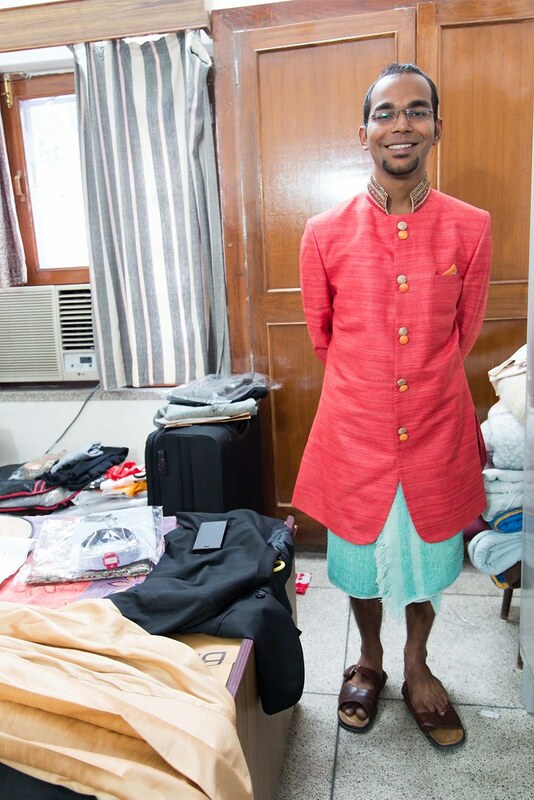 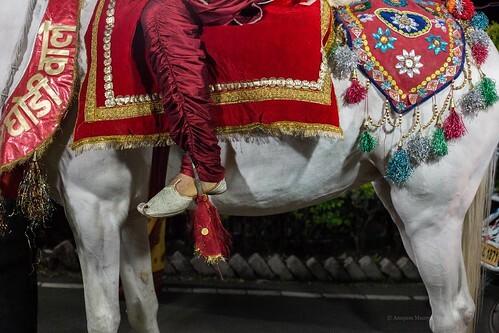 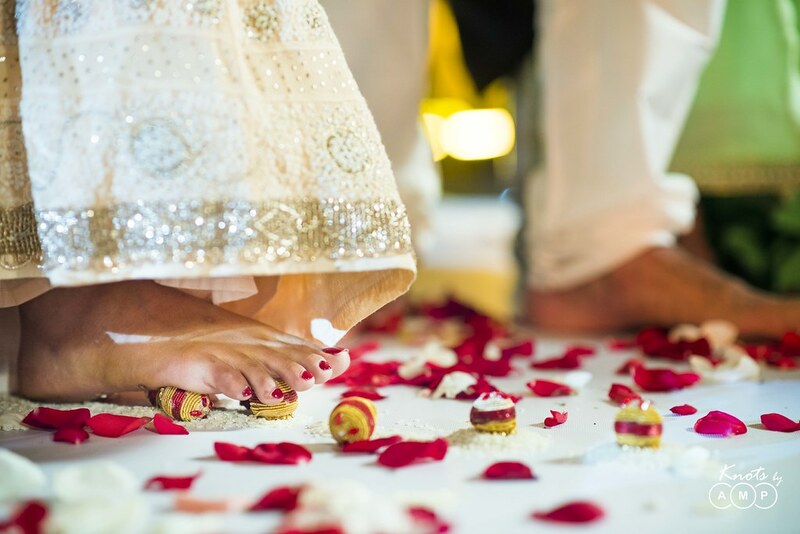 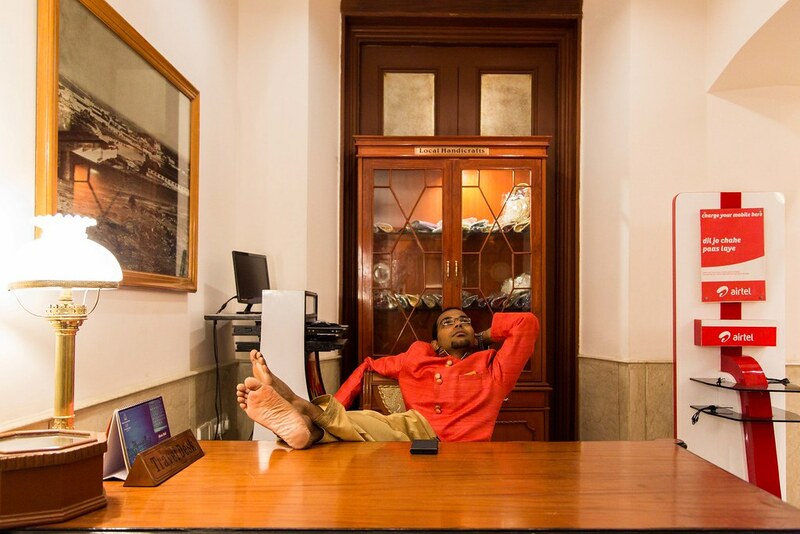 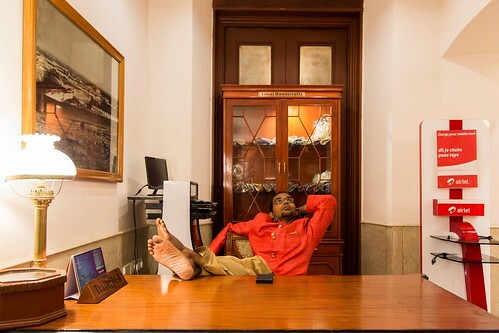 Meanwhile groom’s shoes were stolen and he had to pay the sister-in-laws their demanded price! 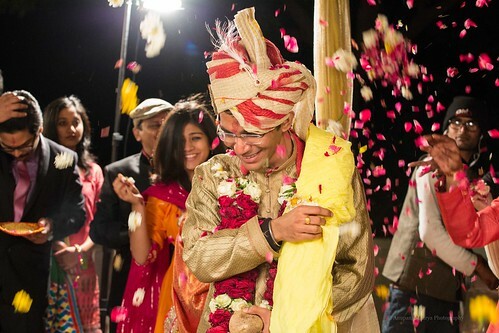 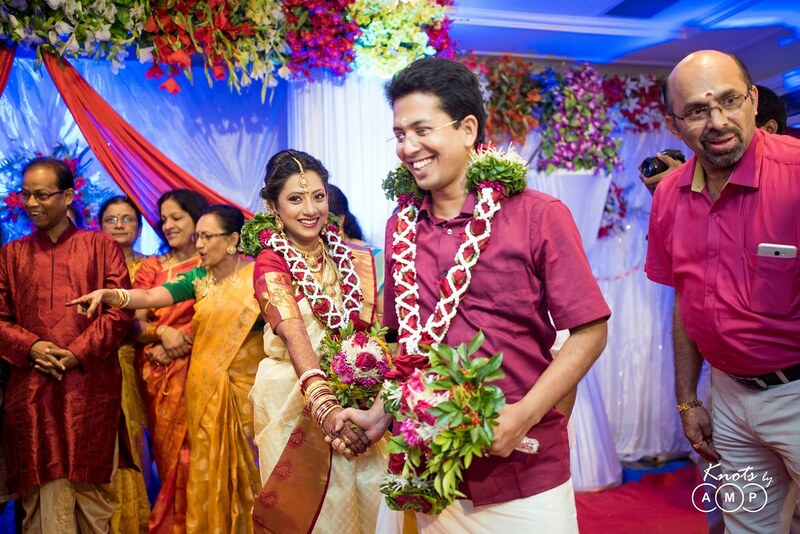 Now we will leave you with photographs to recreate the entire wedding for you. 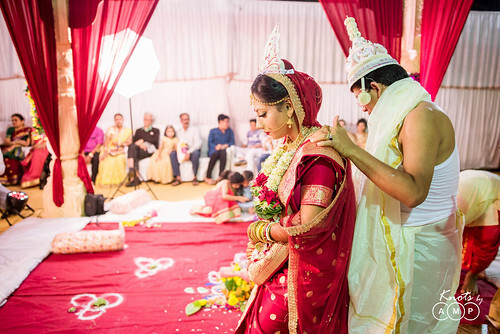 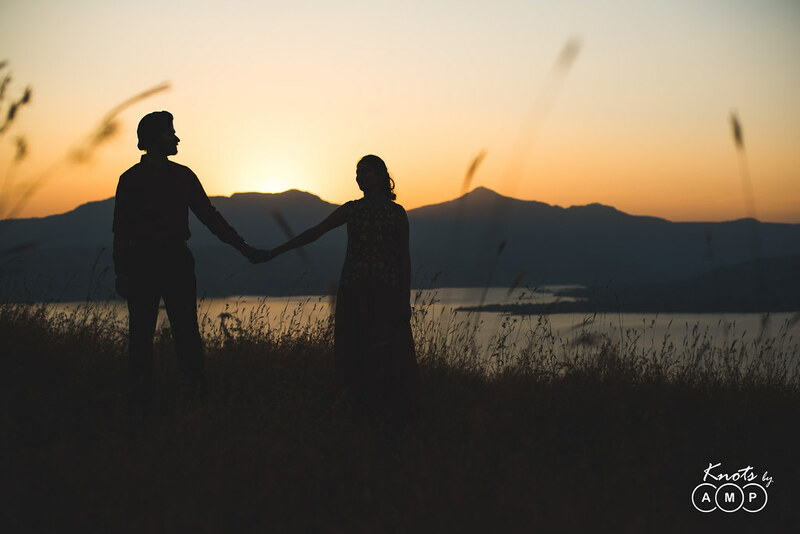 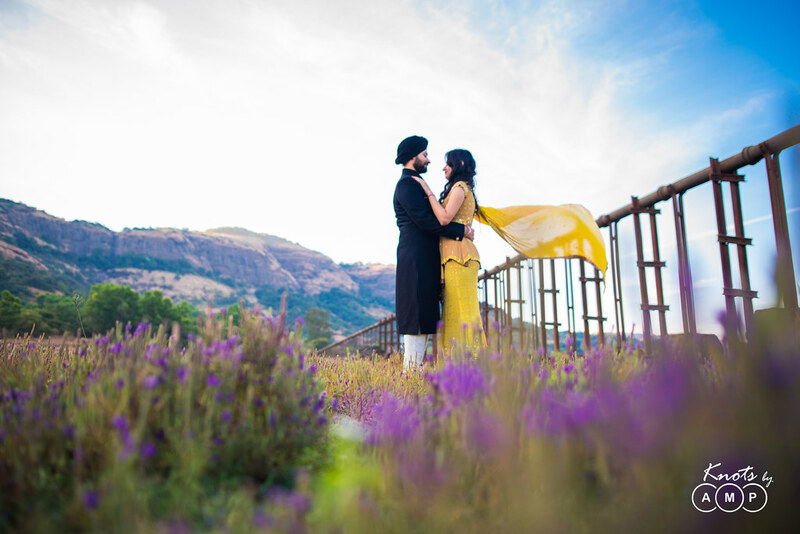 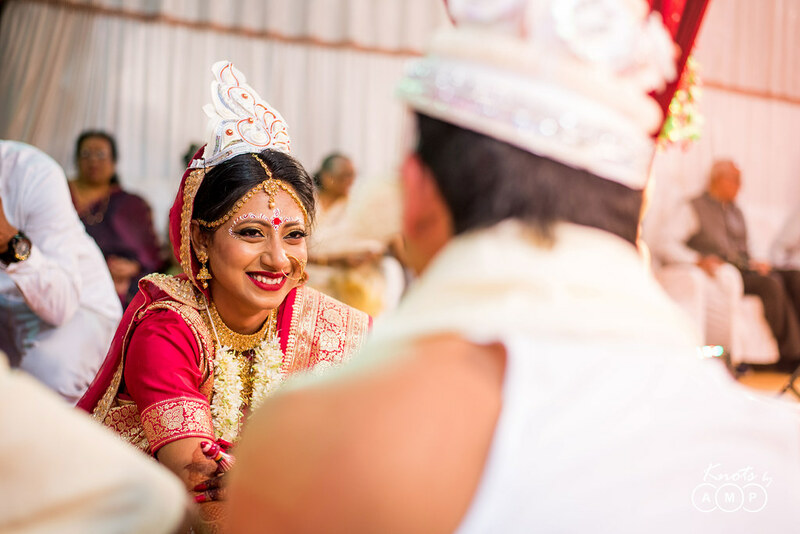 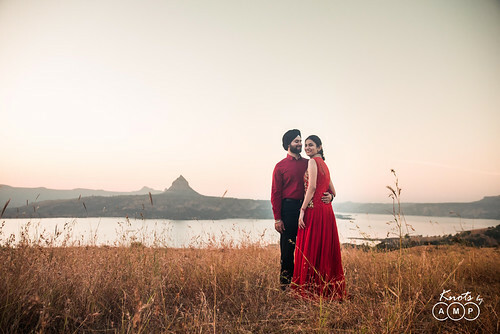 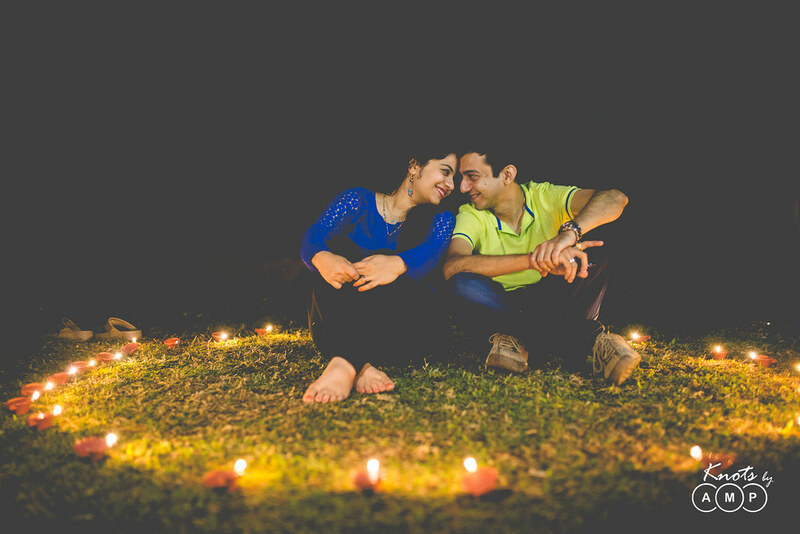 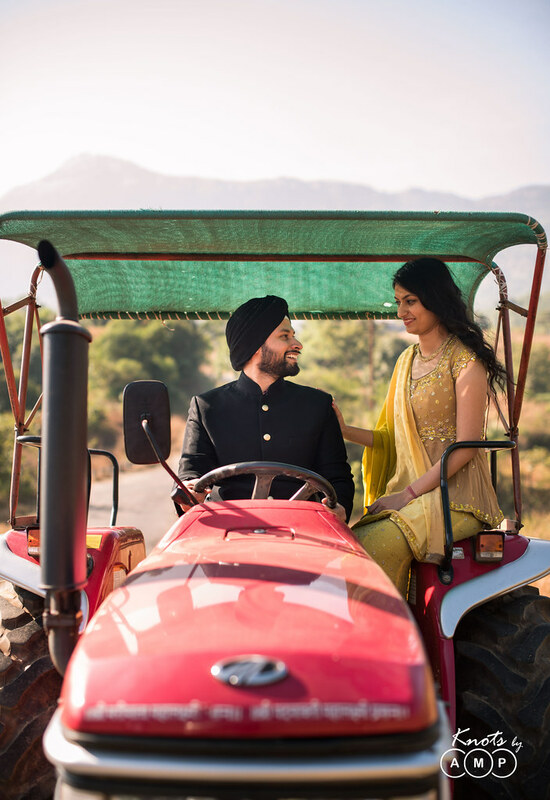 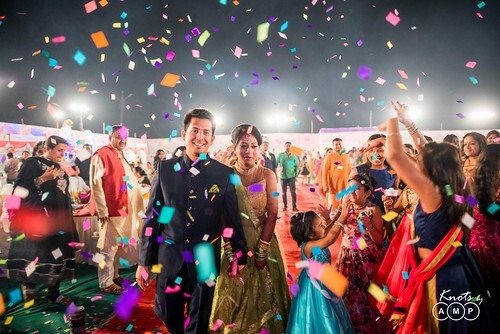 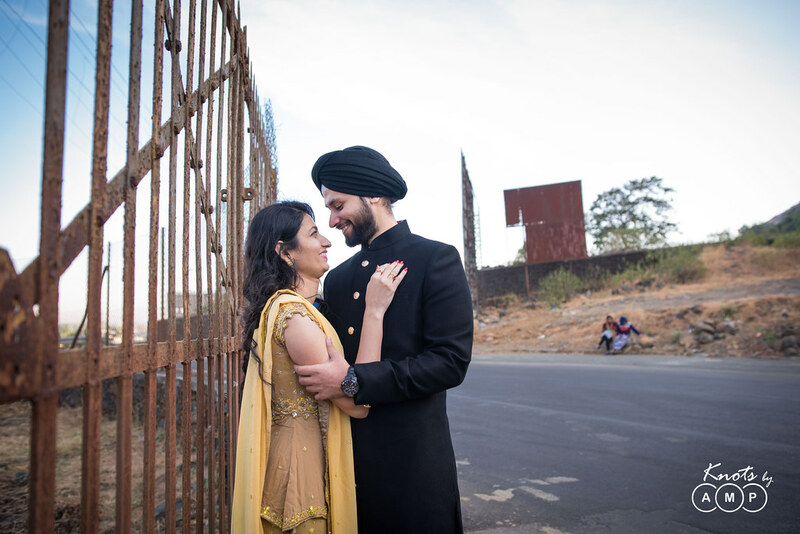 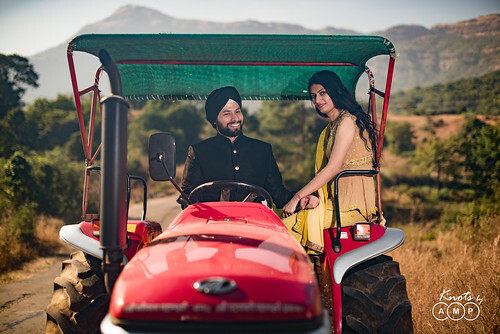 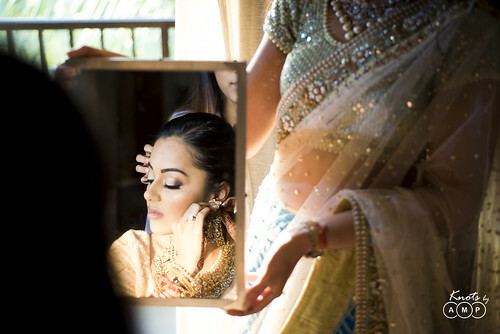 So if you are planning a wedding in Bhopal, we would love to capture it for you and give you a lifetime of beautiful picture-perfect memories!